I happened upon this building during a near-by adventure and noticed it was abandoned. 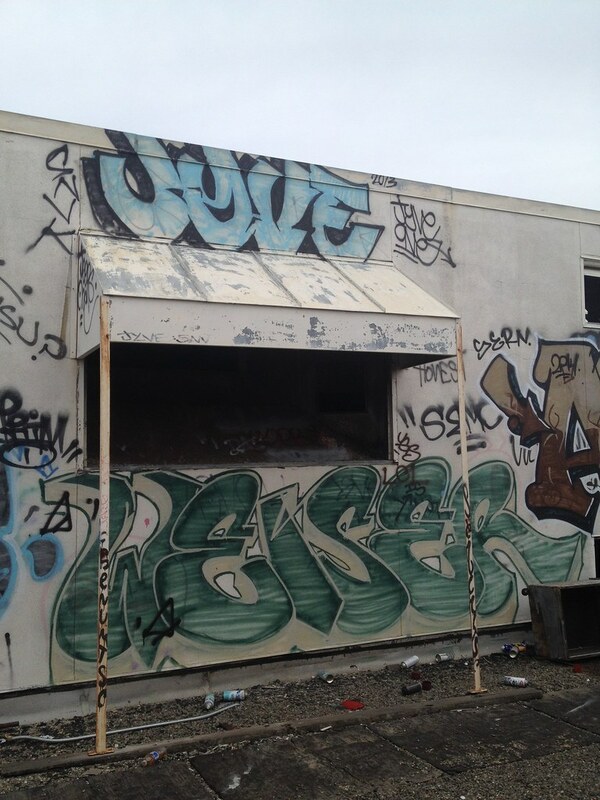 Later, when driving by I noticed hand-styles in the windows. 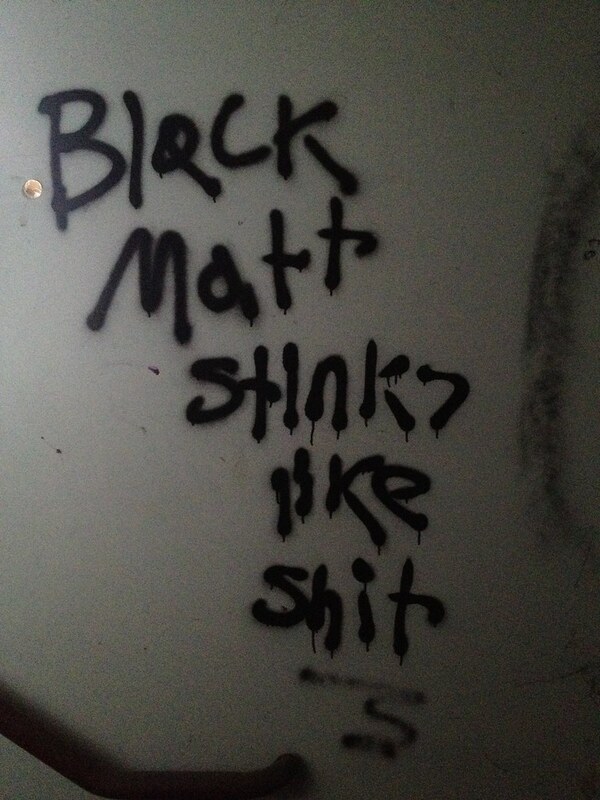 IT HAD TO BE DONE. 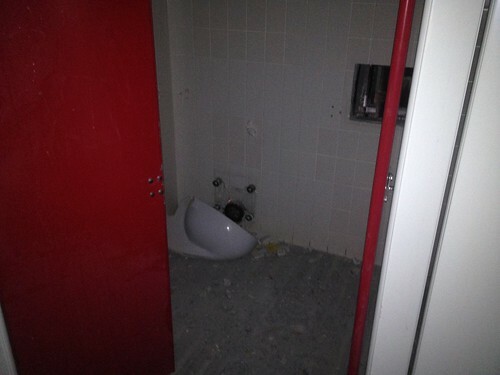 Unfortunately it was locked super-tight when we arrived to check it out. 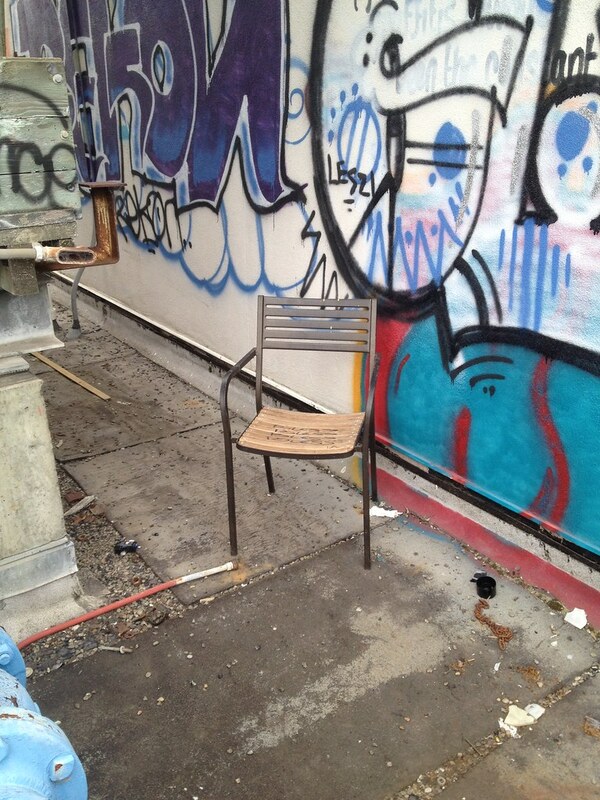 I don’t like breaking and entering, so this one had to wait. Finally, I caught word that it was wide open so I could shoot what was inside. 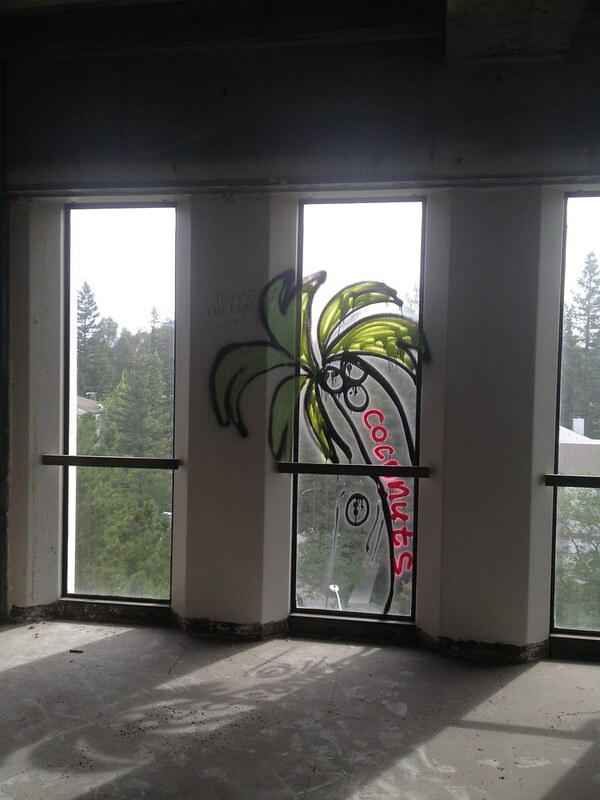 It was really refreshing to do an awesome building like this. 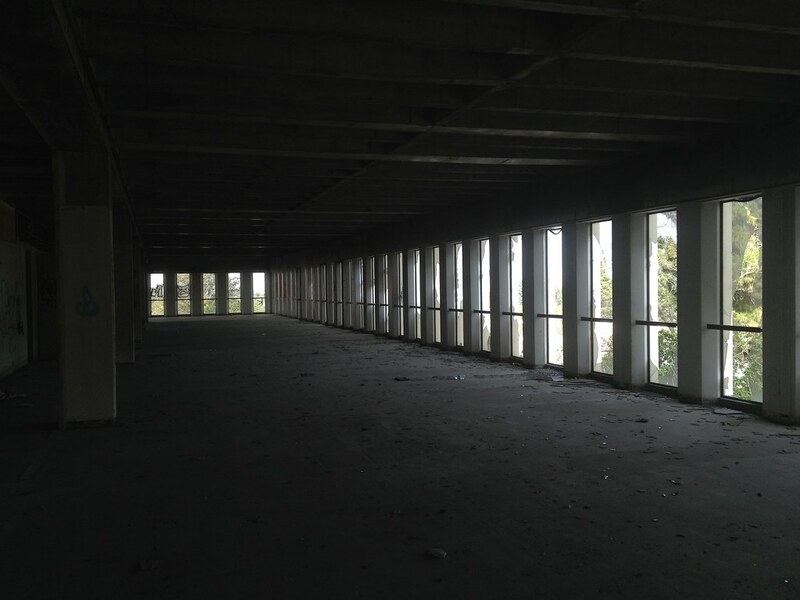 Though my friends think it’s debatable, I think this would count as a sky scraper, making this the tallest proper building I’ve explored. 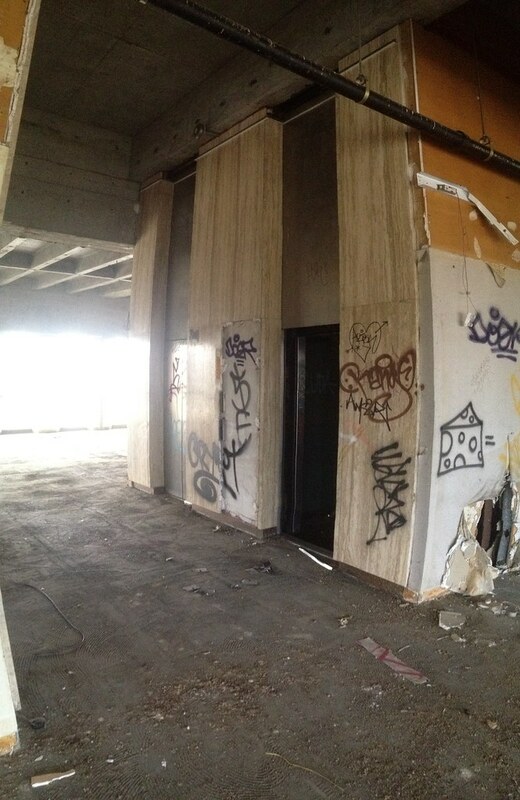 (Though the Silos may have been taller, they weren’t exactly a normal building). 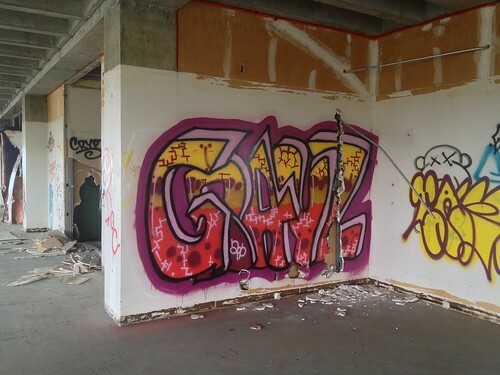 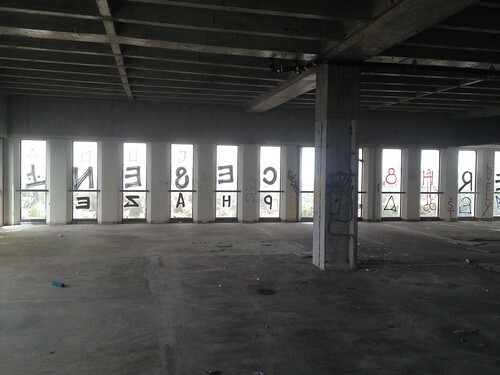 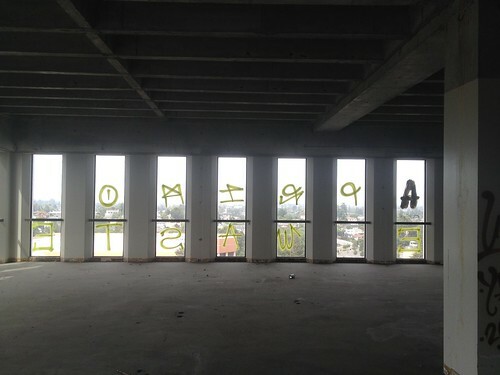 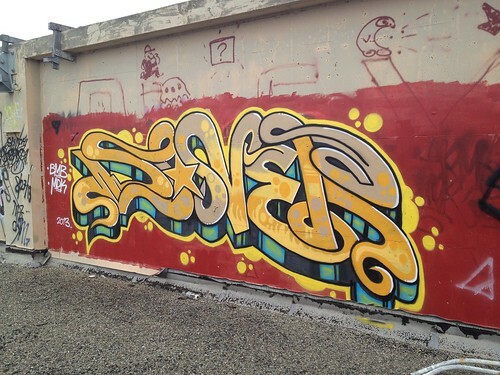 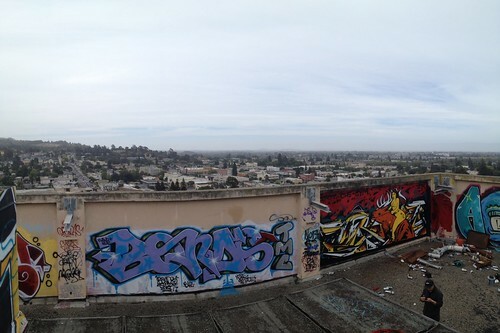 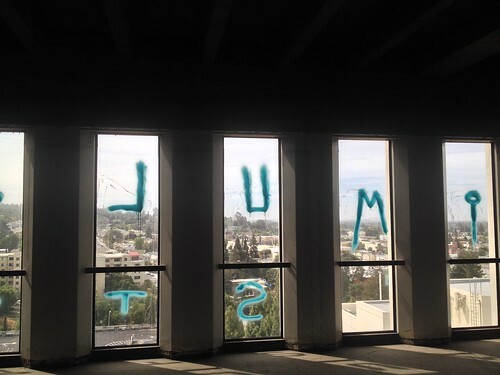 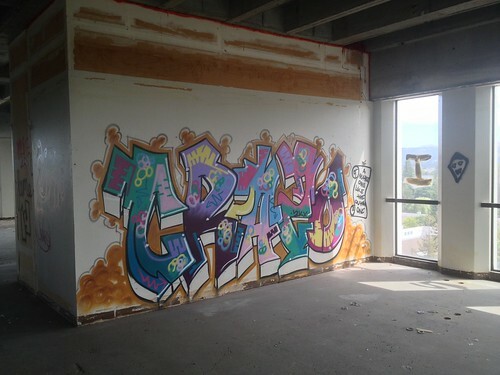 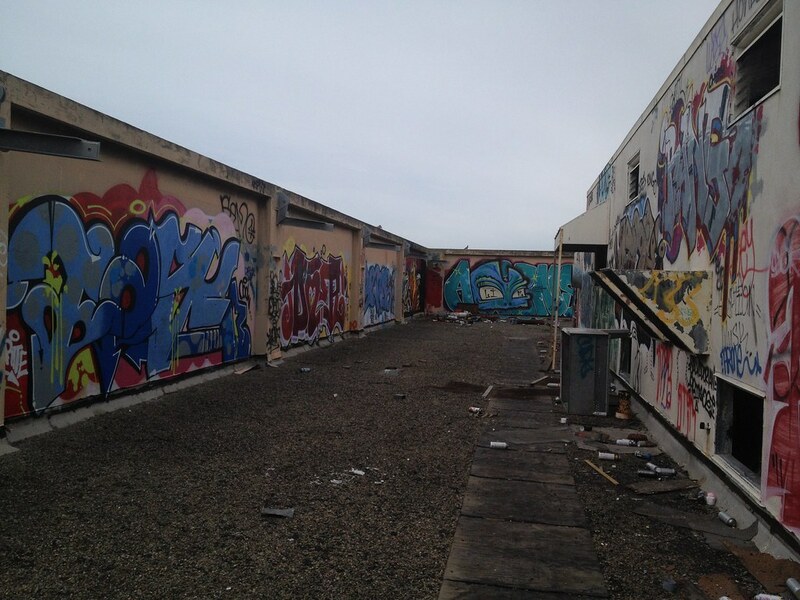 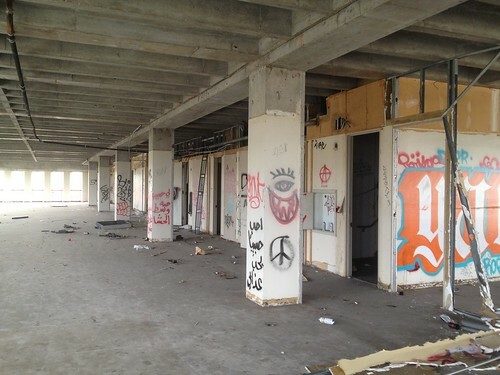 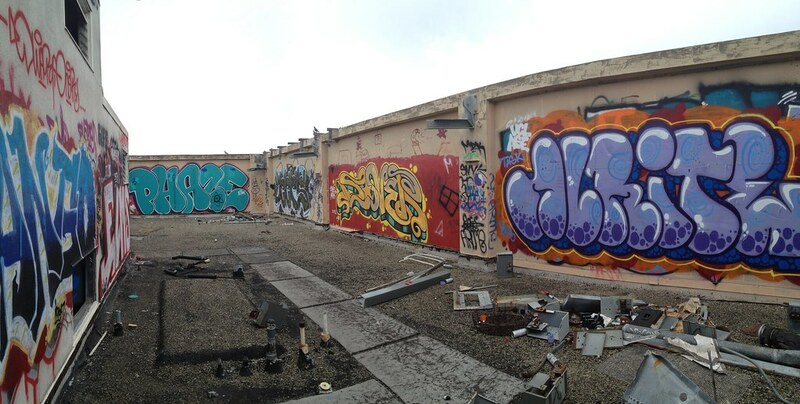 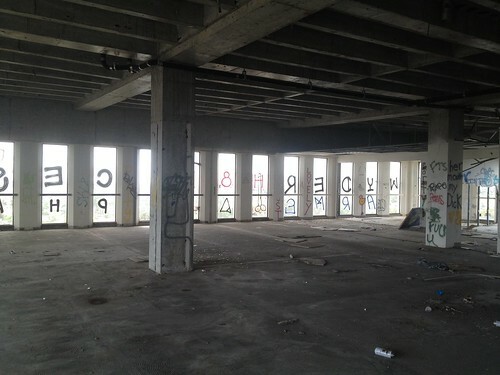 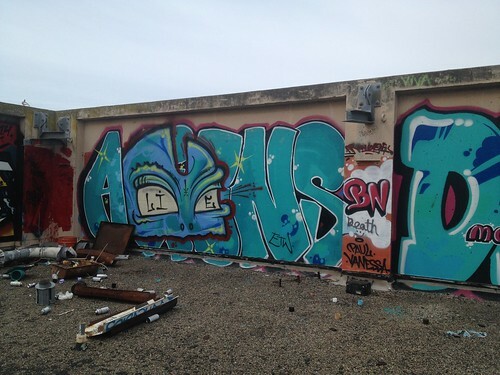 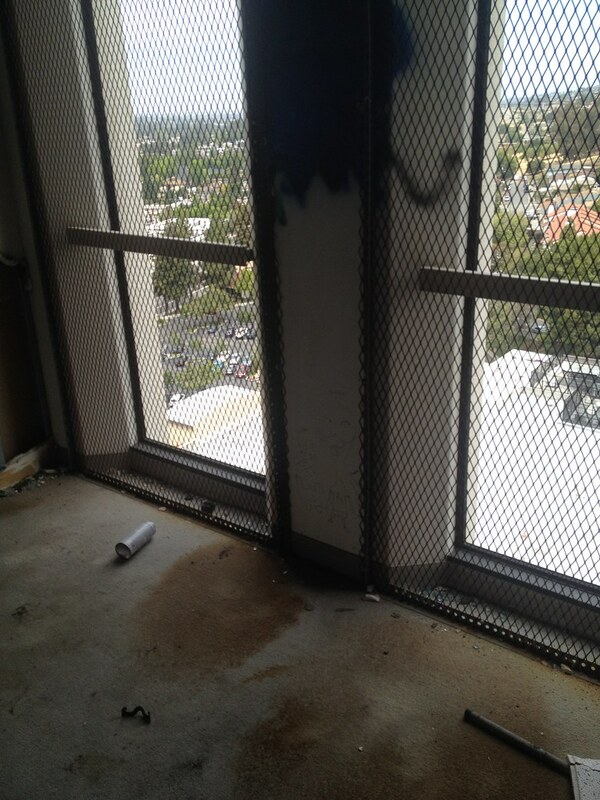 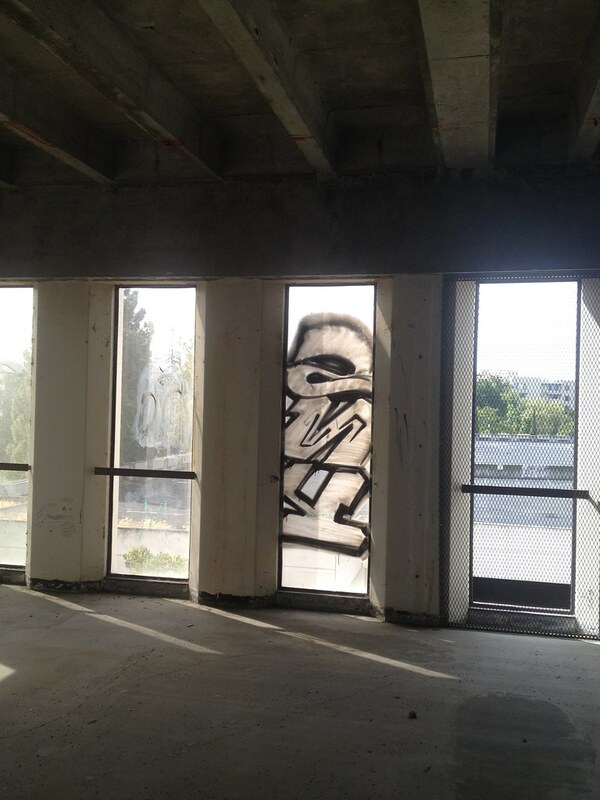 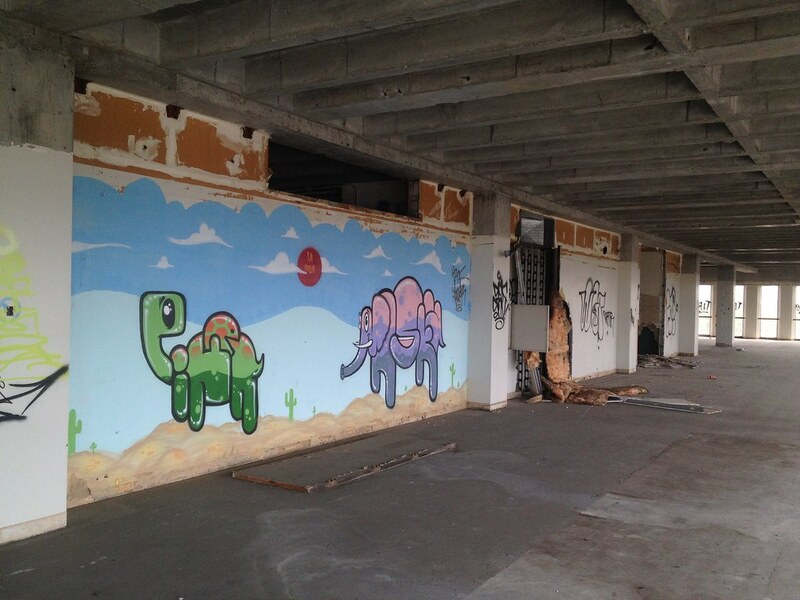 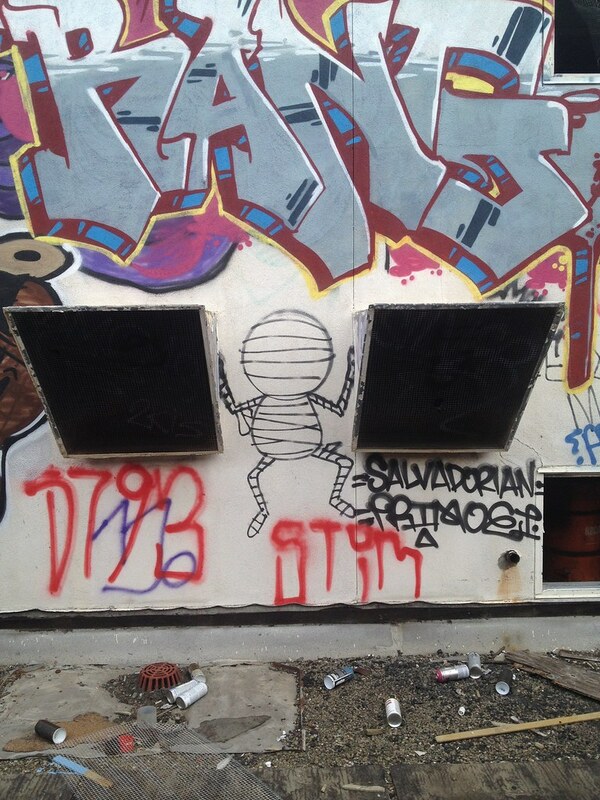 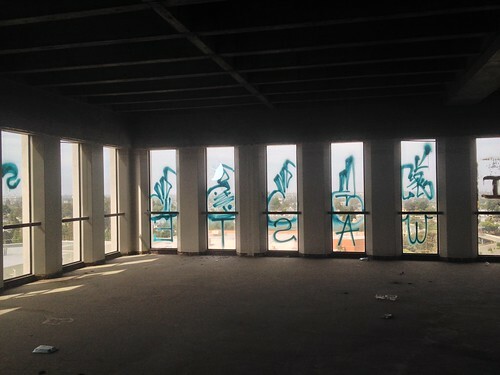 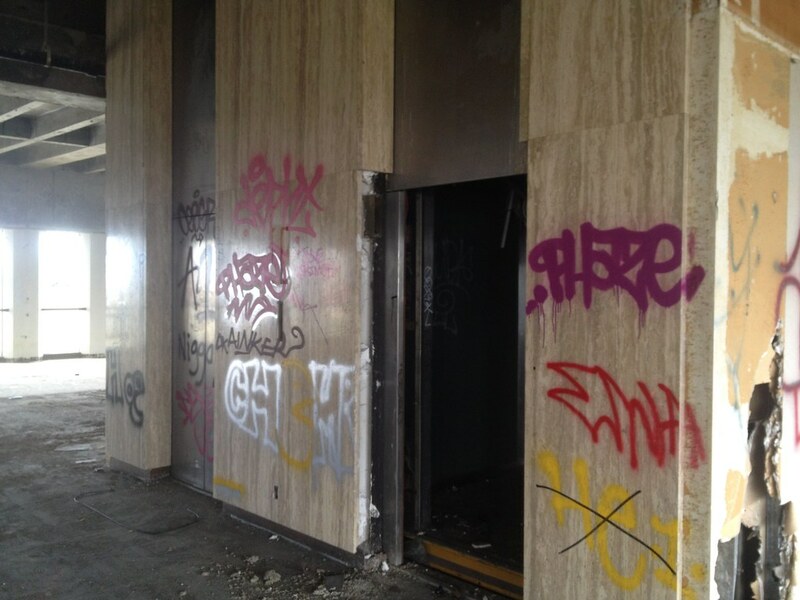 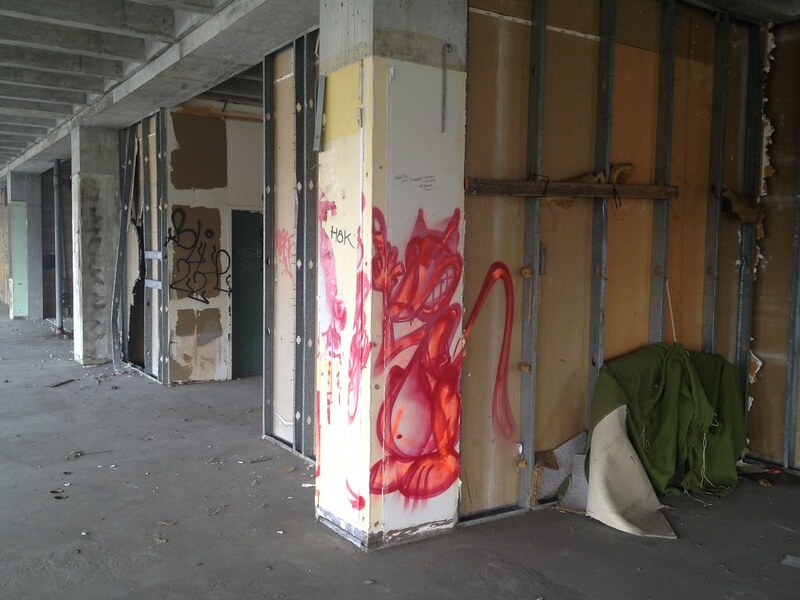 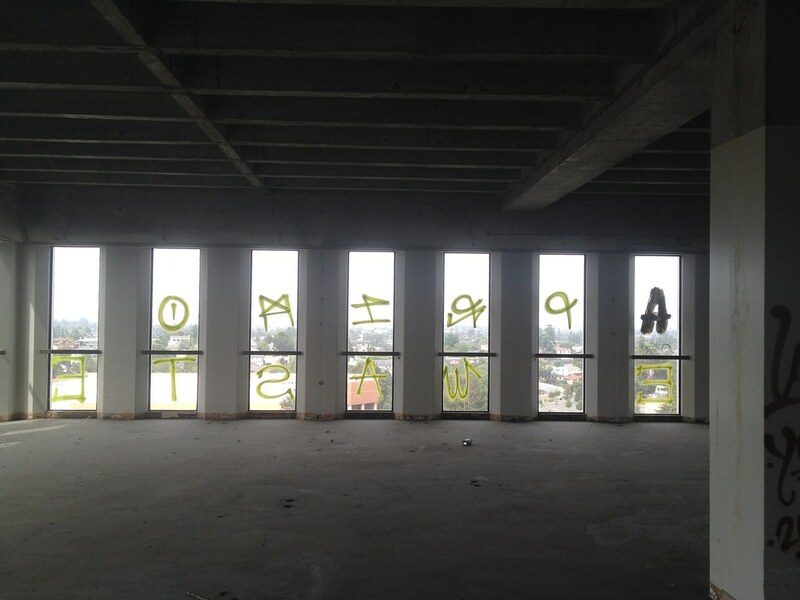 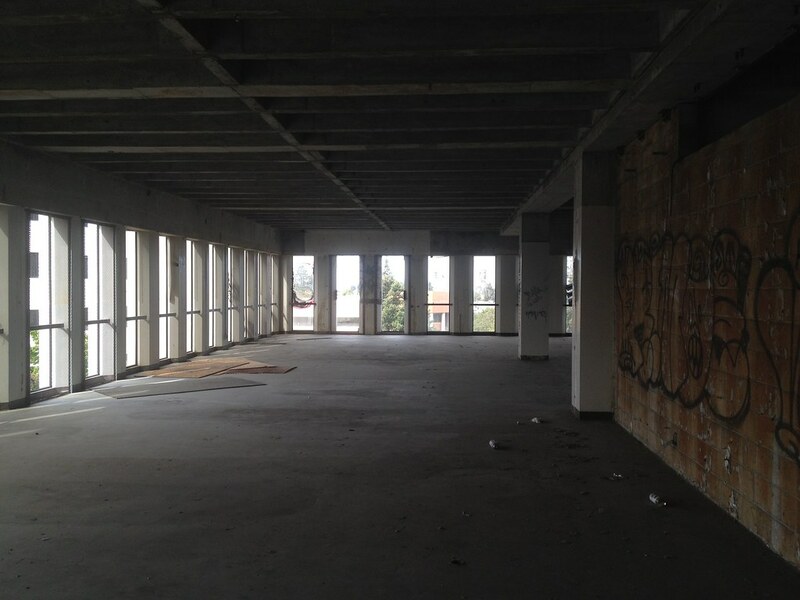 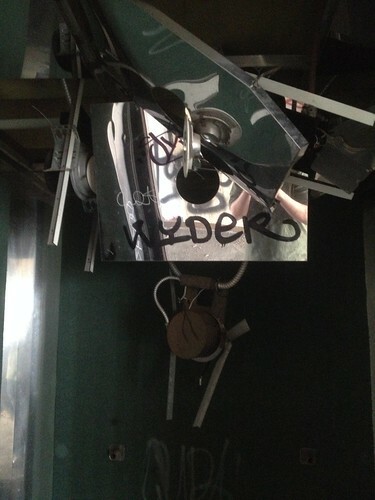 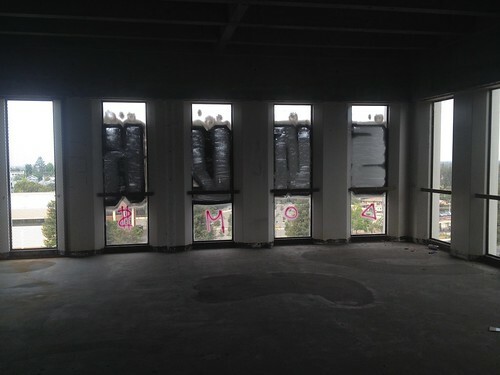 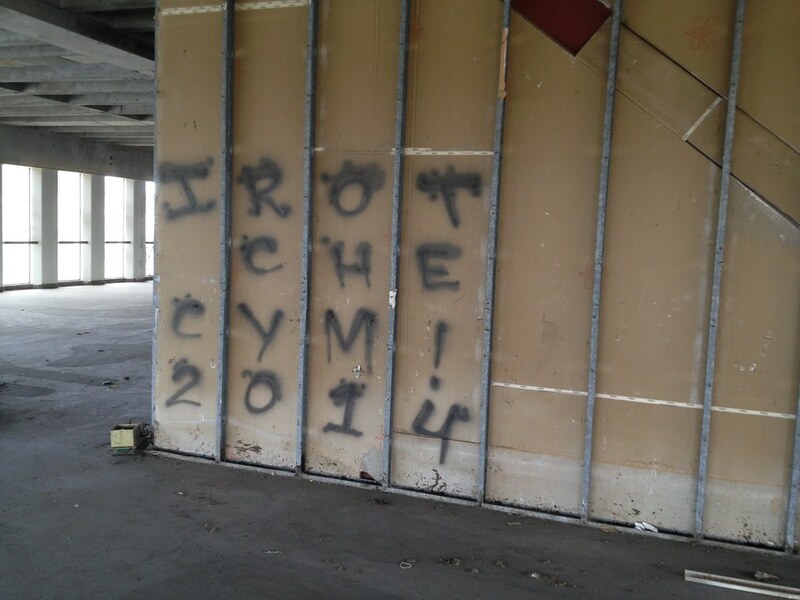 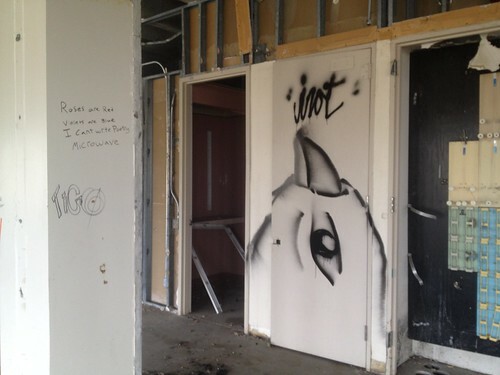 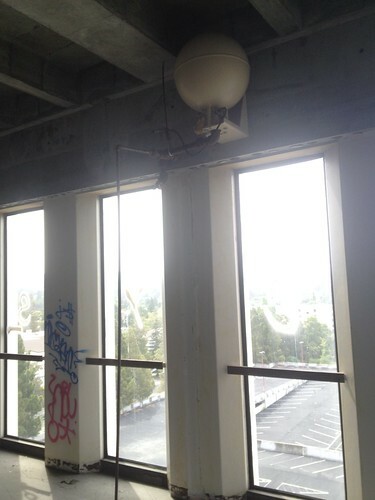 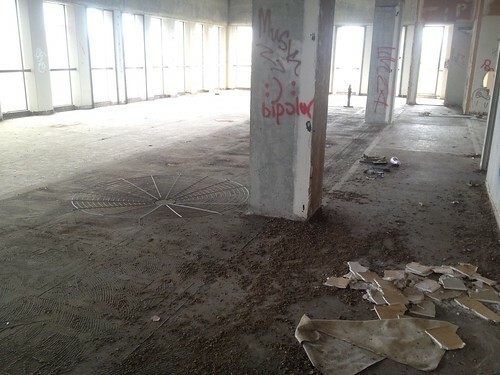 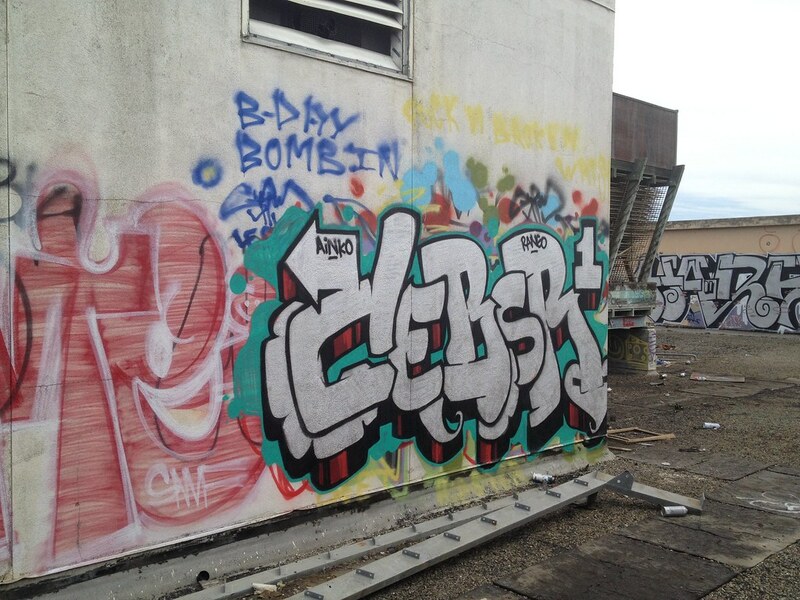 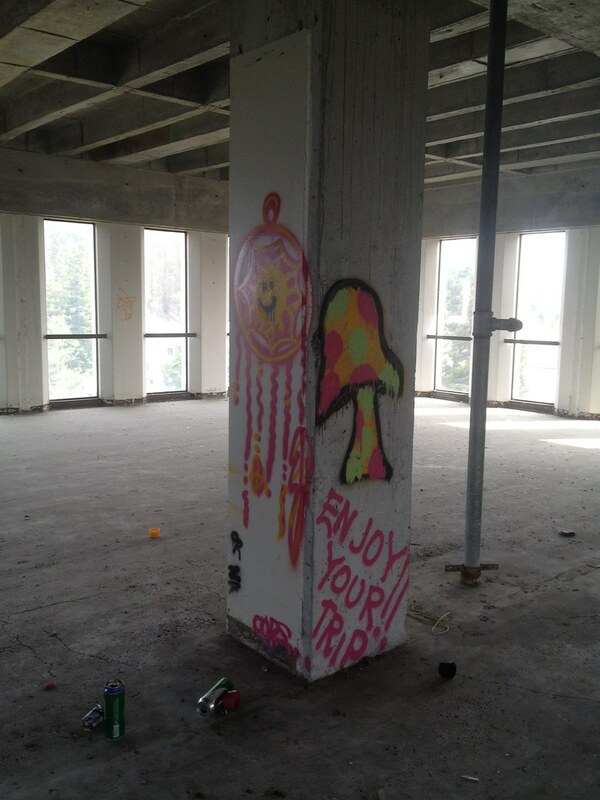 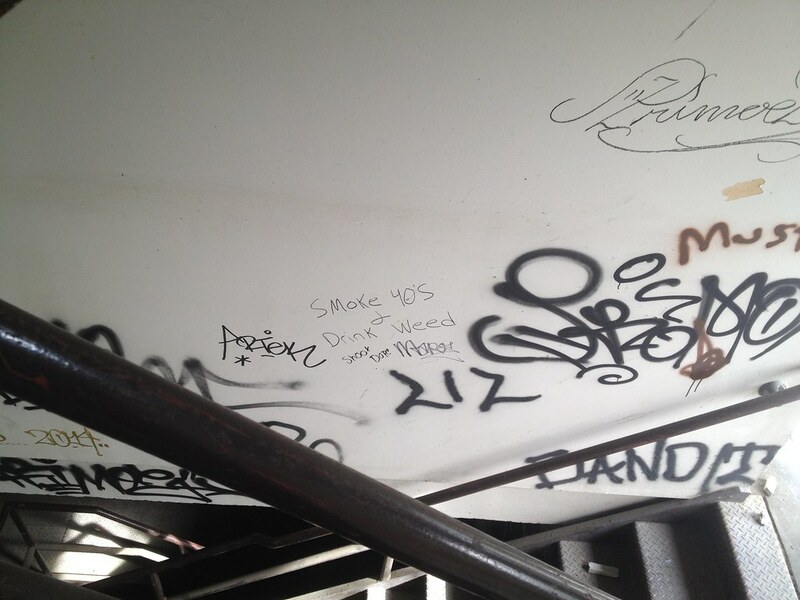 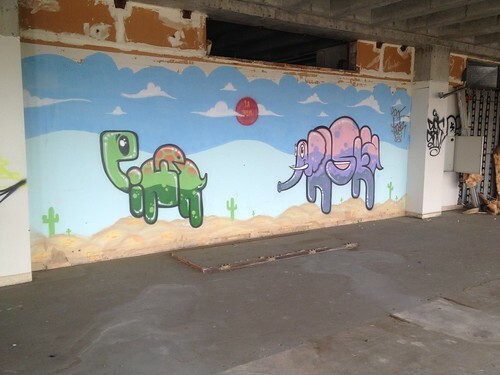 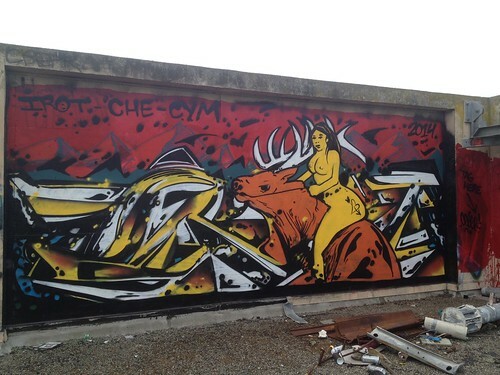 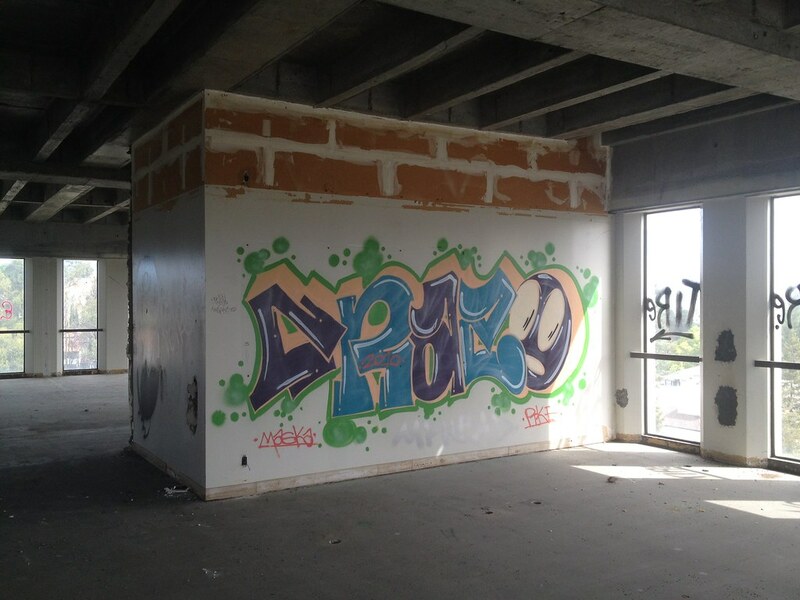 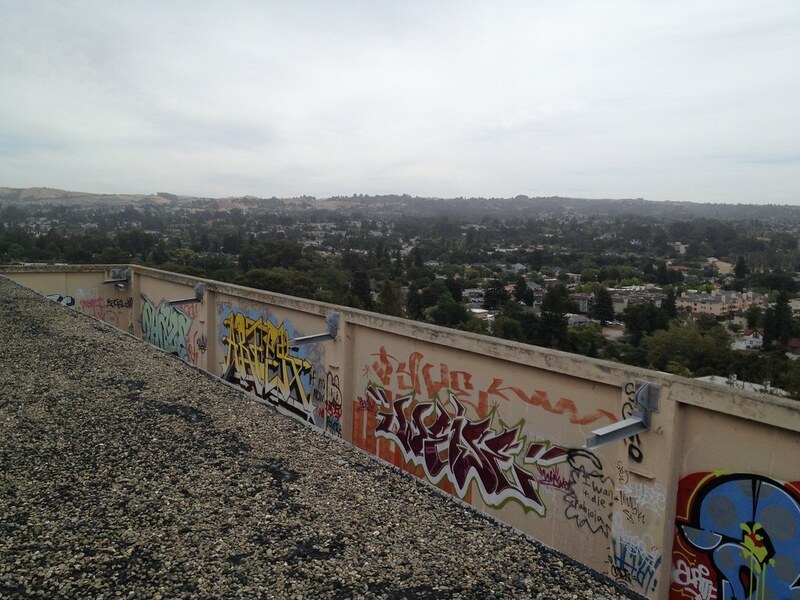 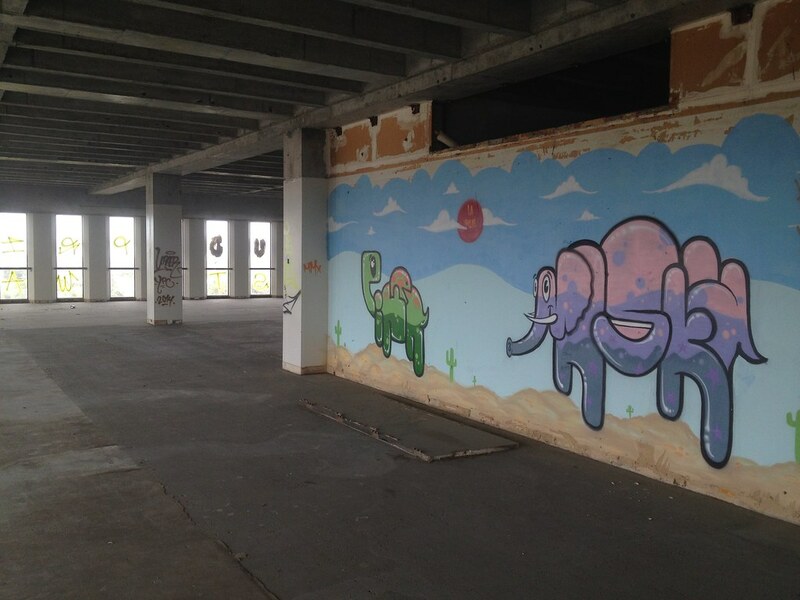 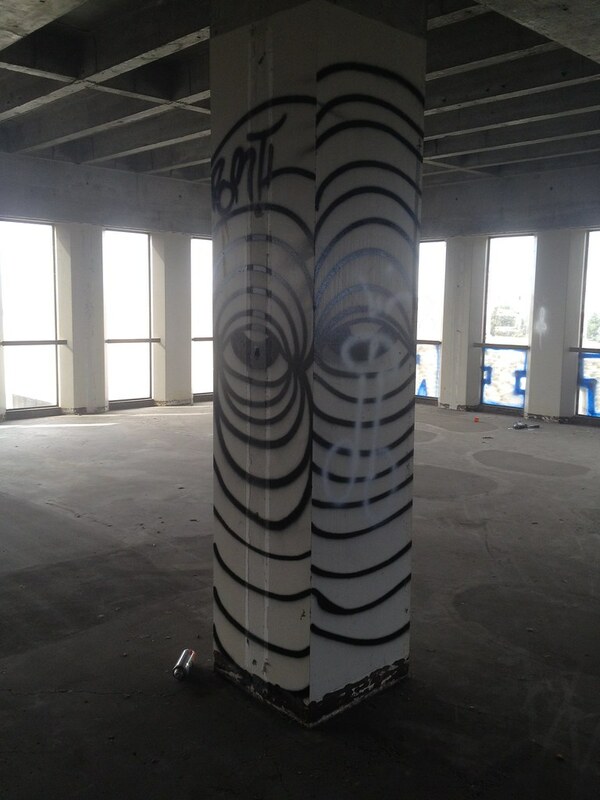 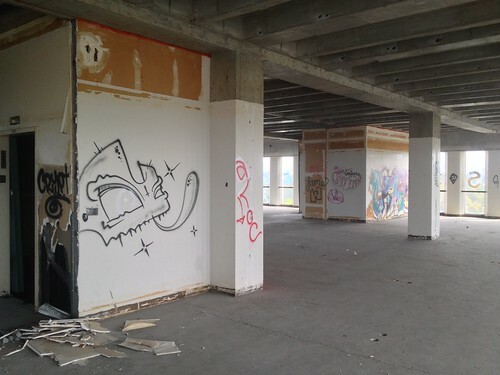 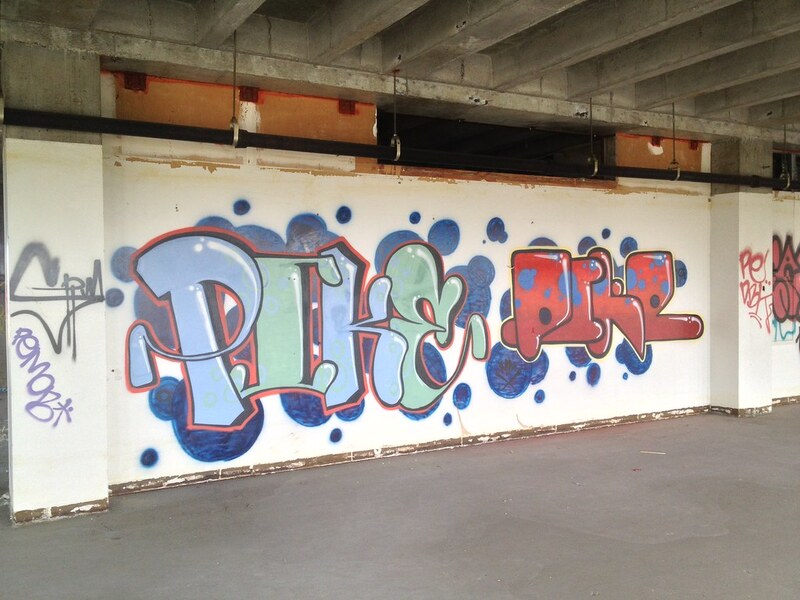 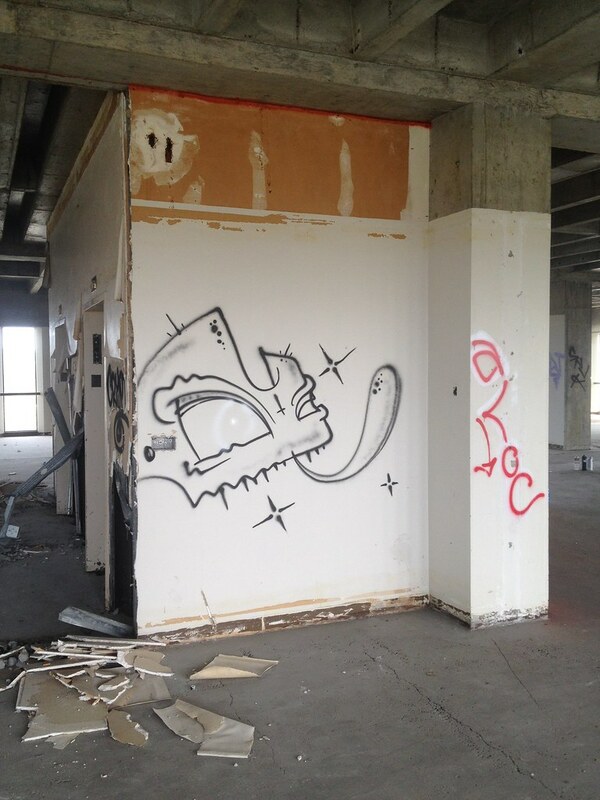 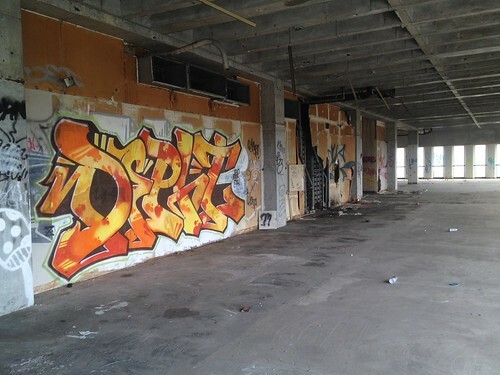 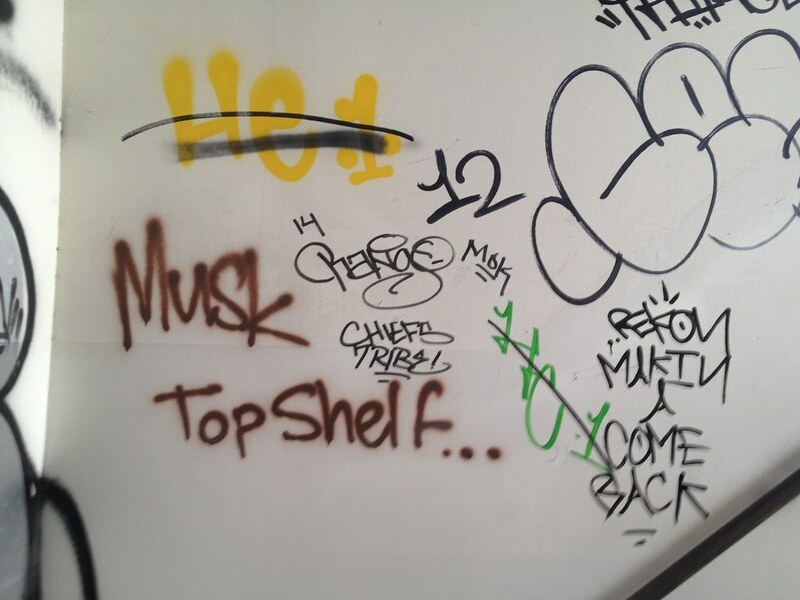 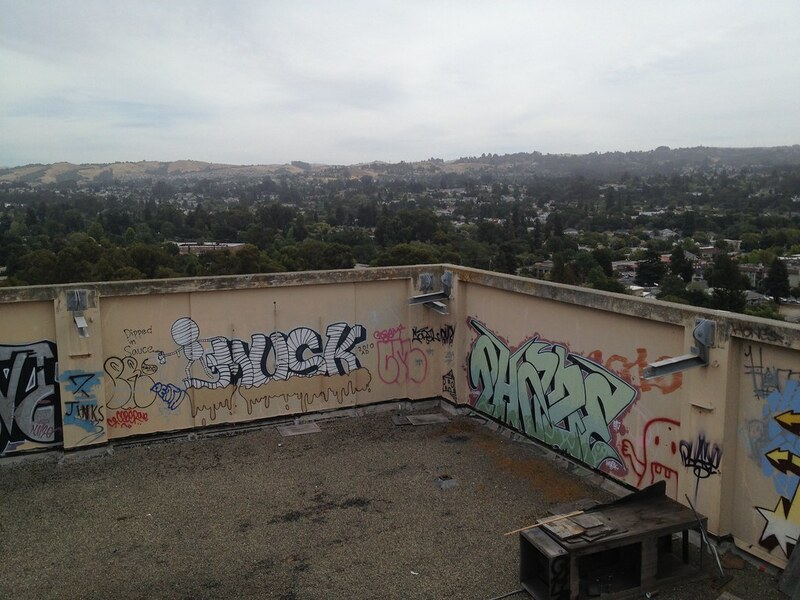 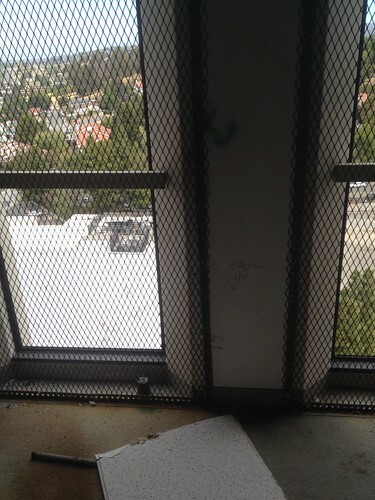 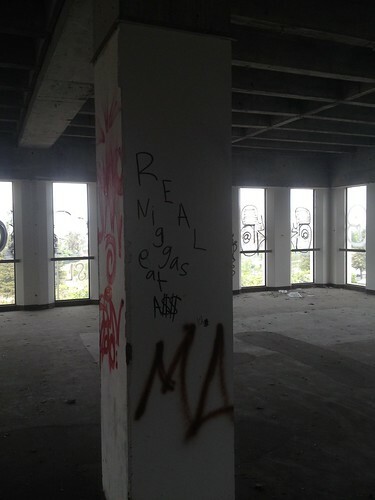 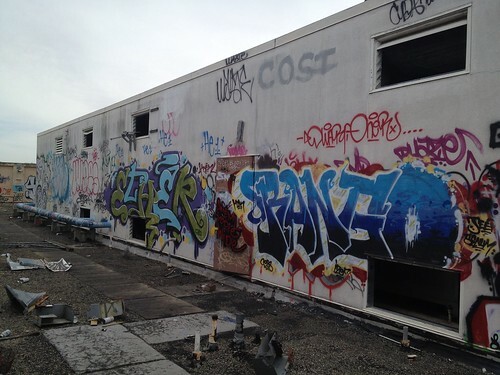 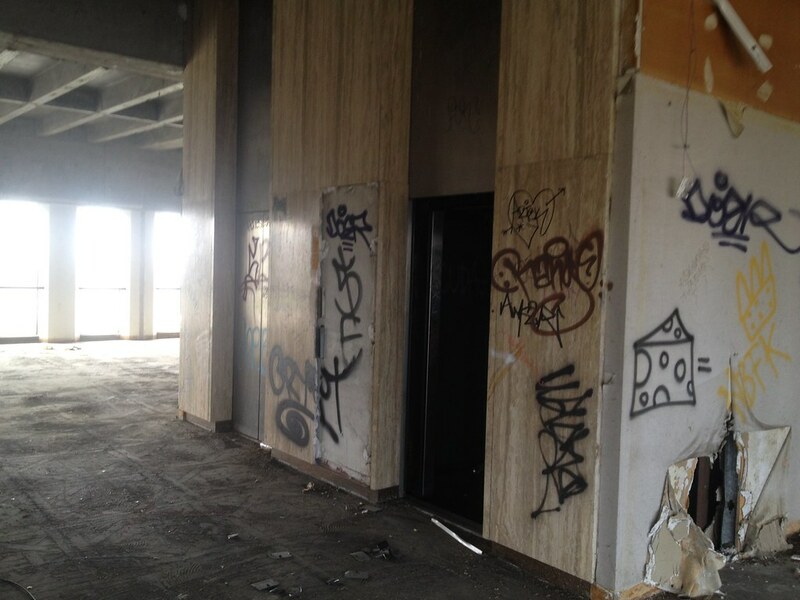 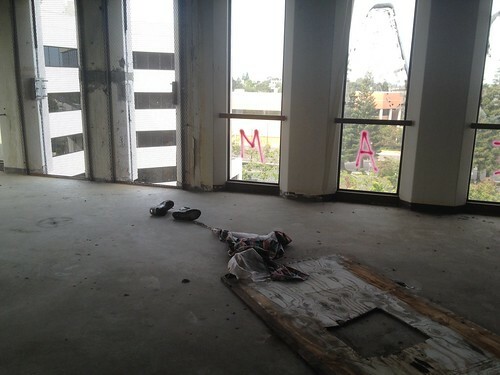 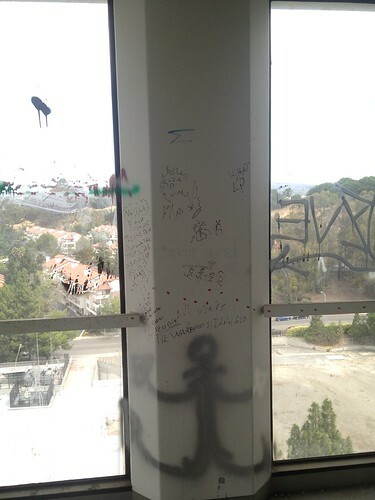 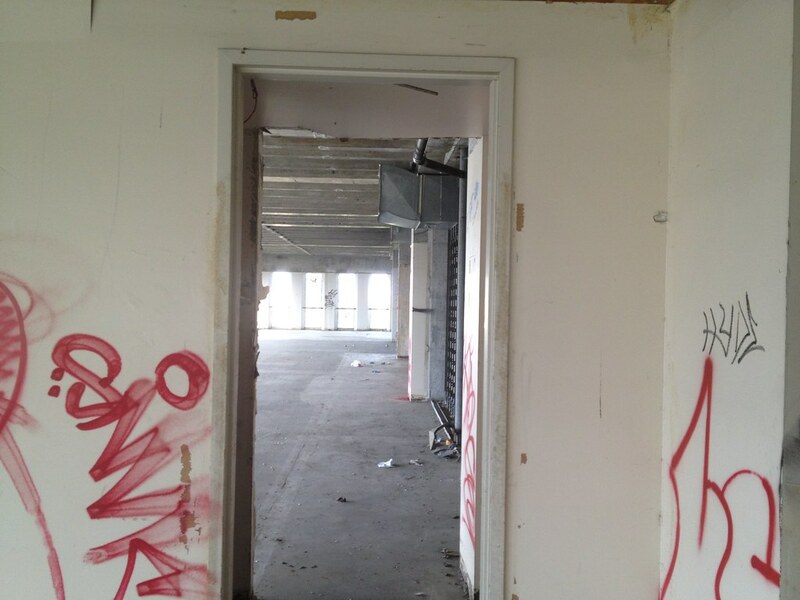 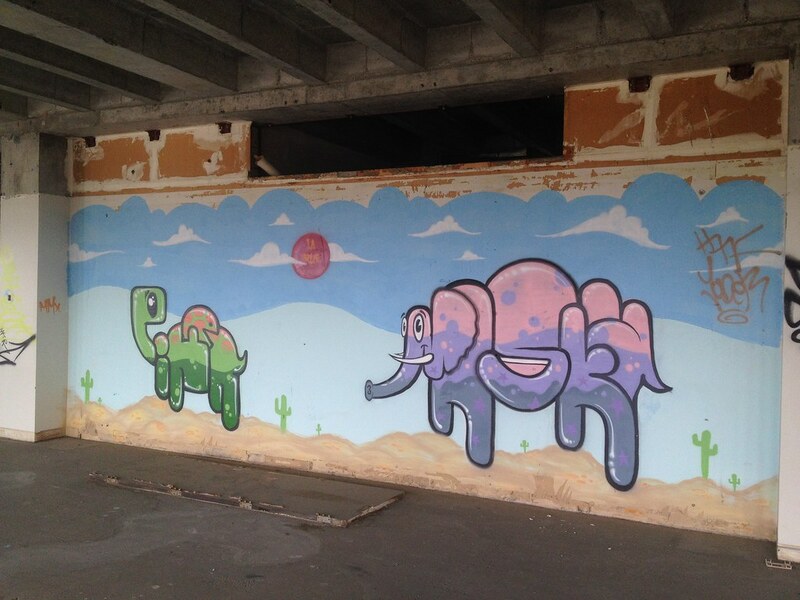 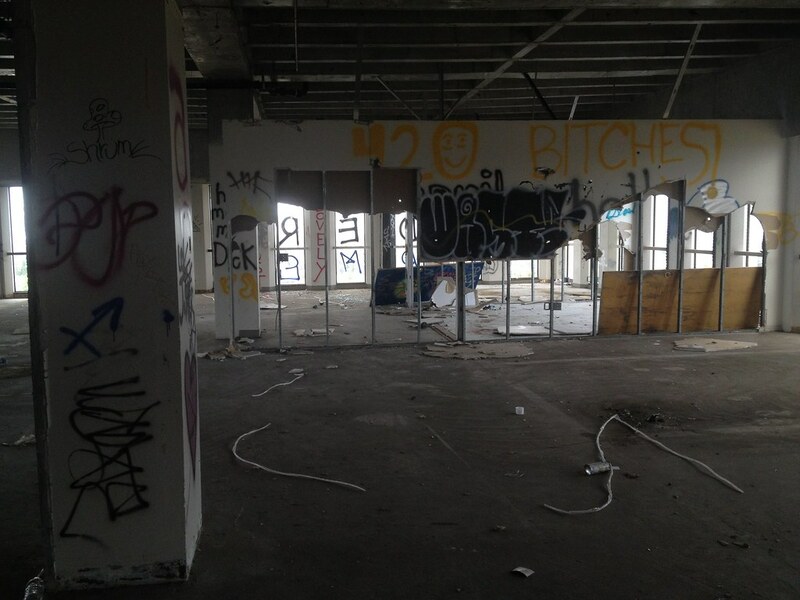 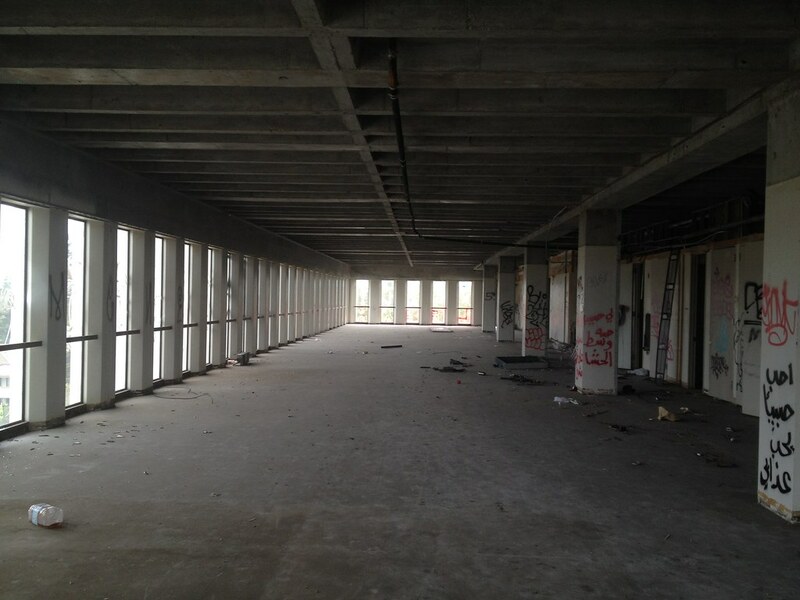 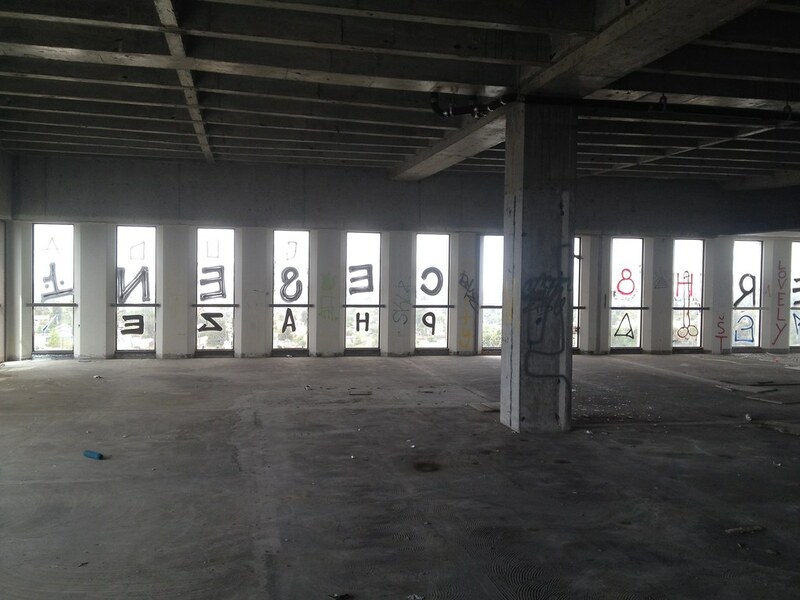 The graffiti on the roof was amazing, and a really nice treat for climbing 12 floors. 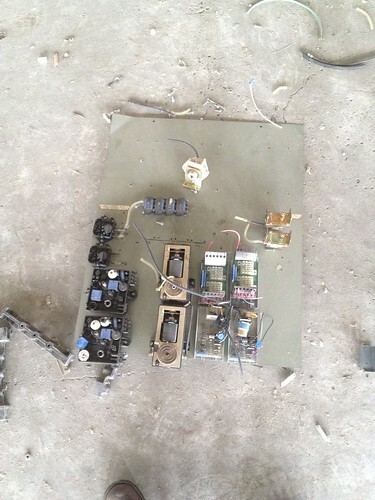 The scary part was when I noticed a bunch of oddly placed steal i-beams and realized what they were for. 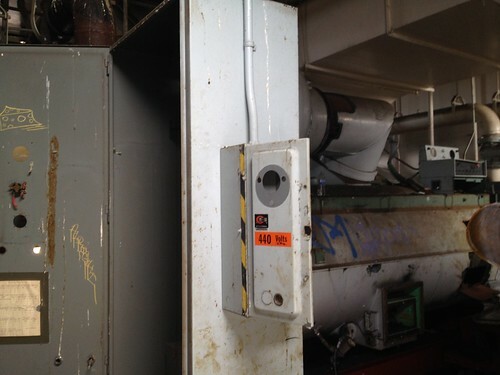 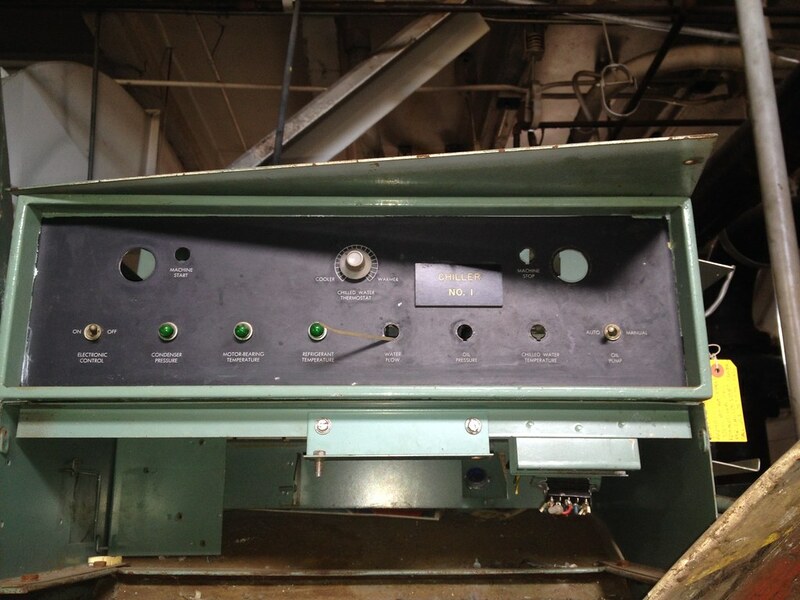 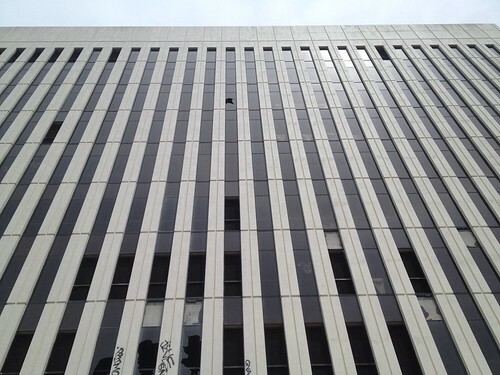 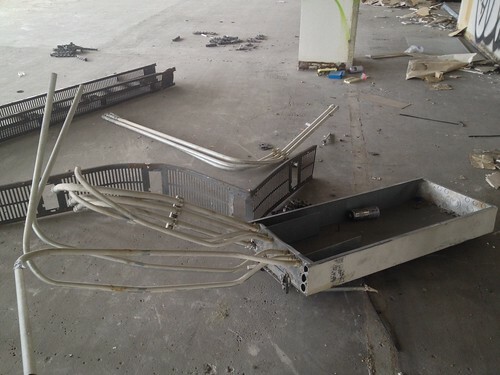 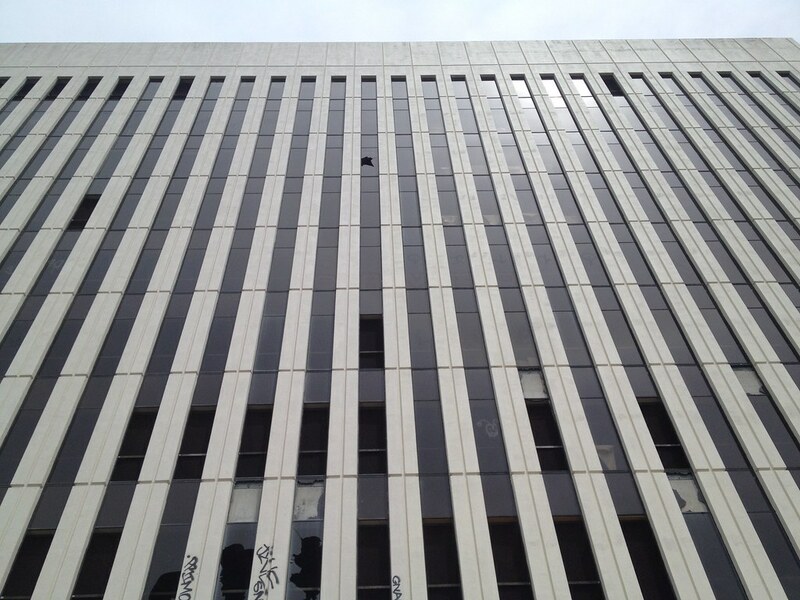 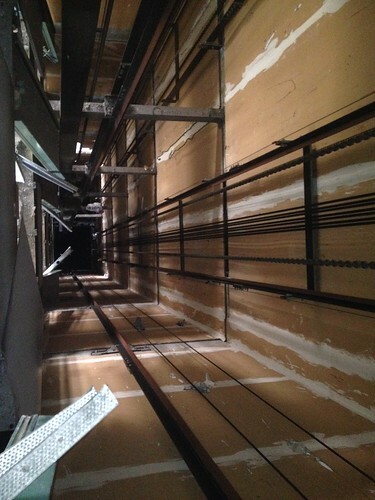 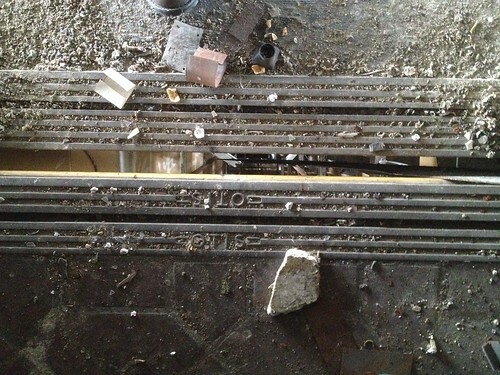 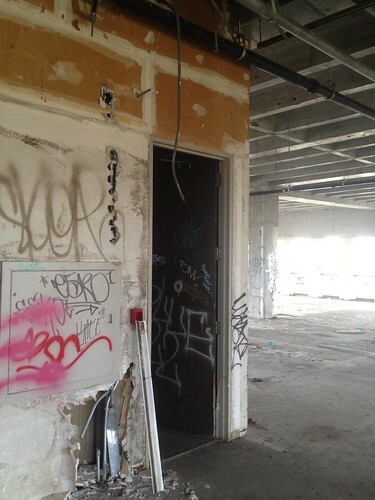 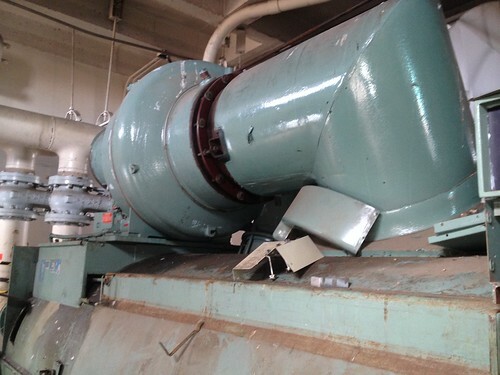 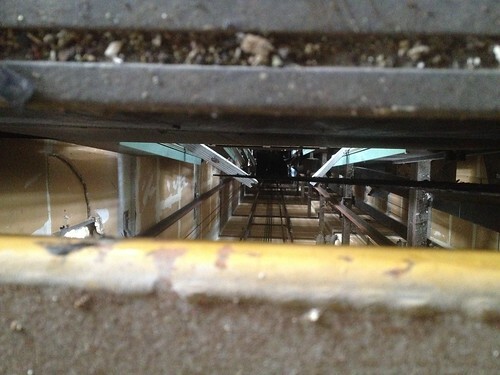 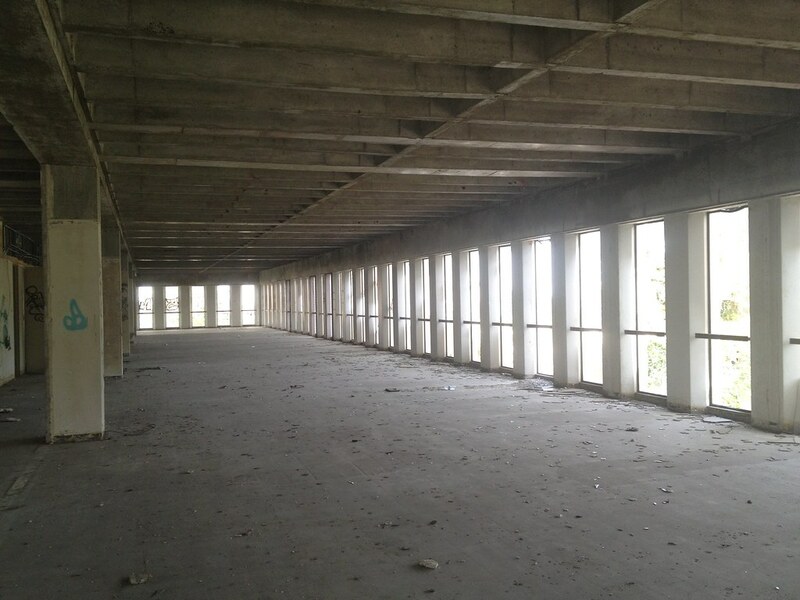 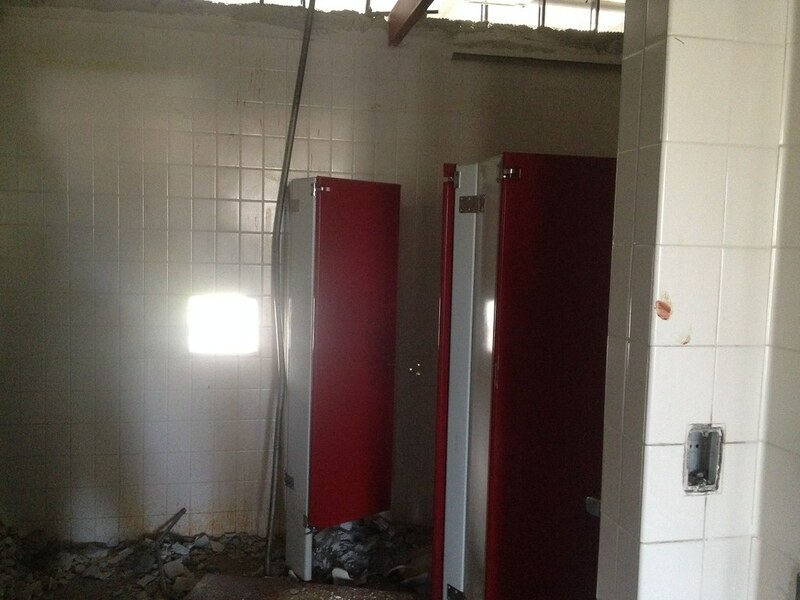 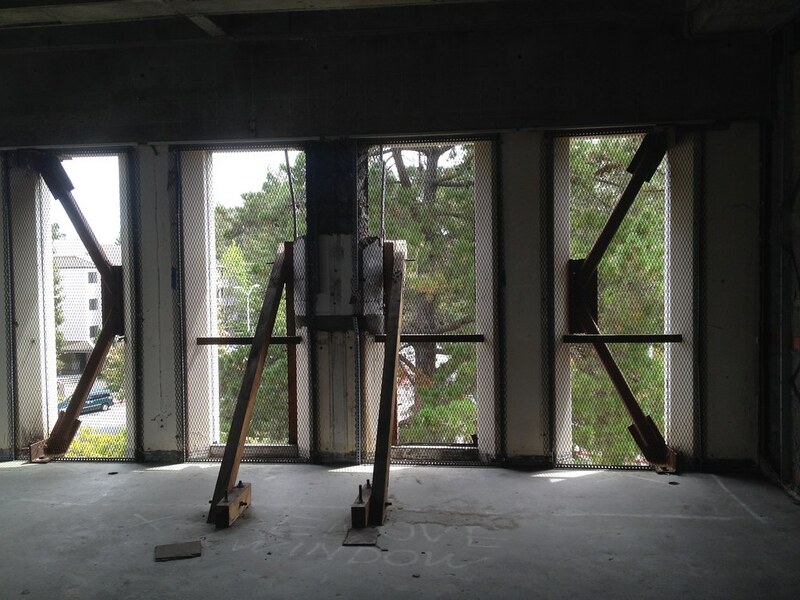 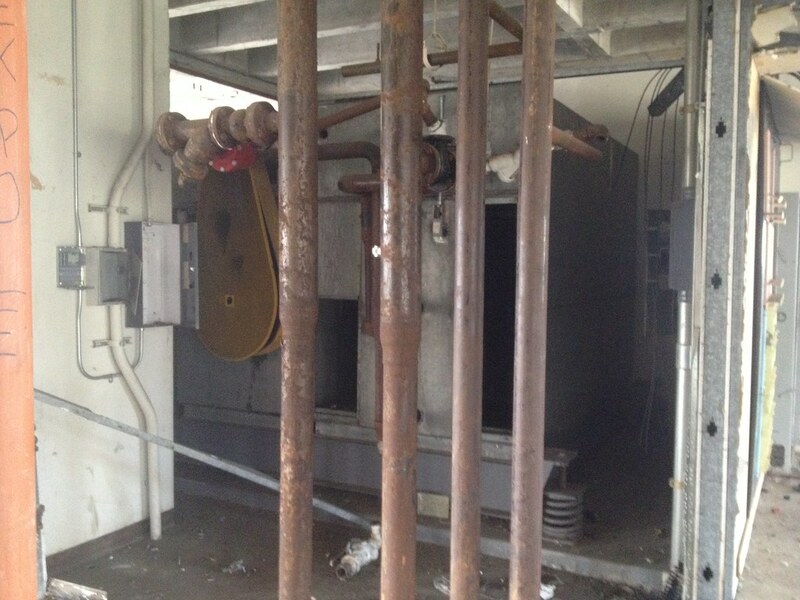 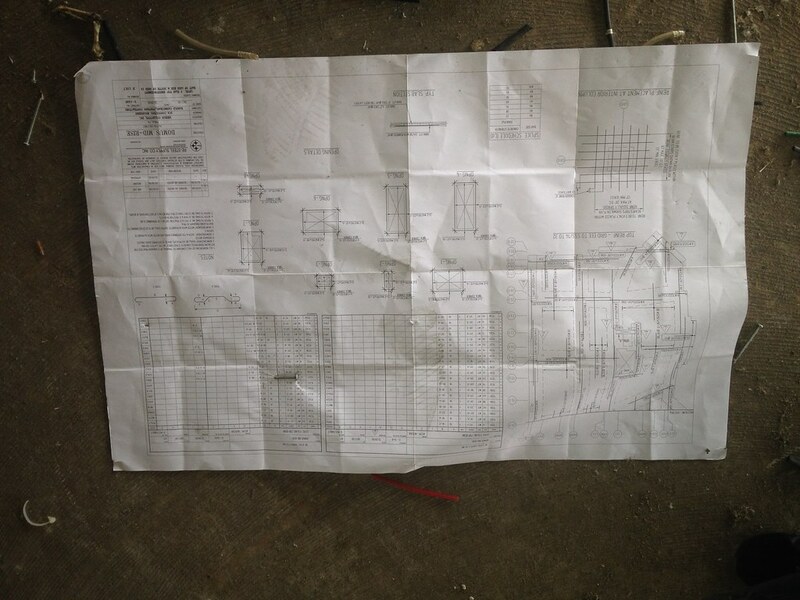 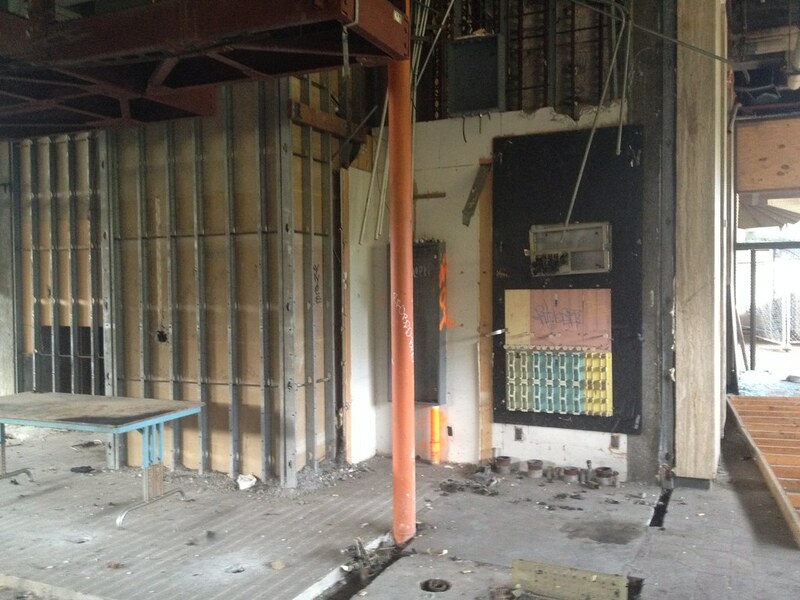 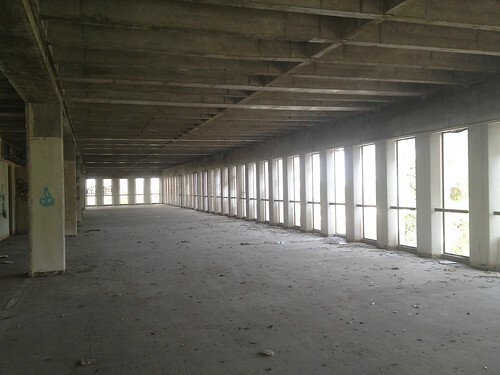 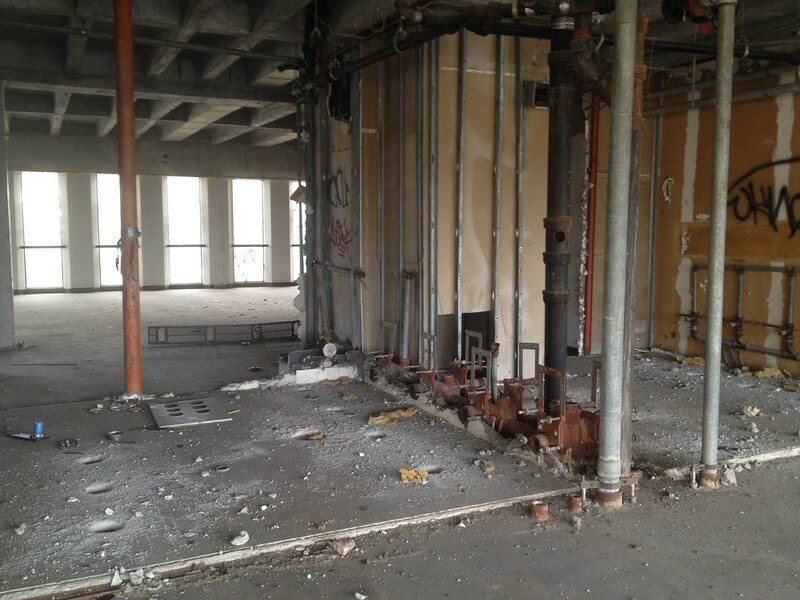 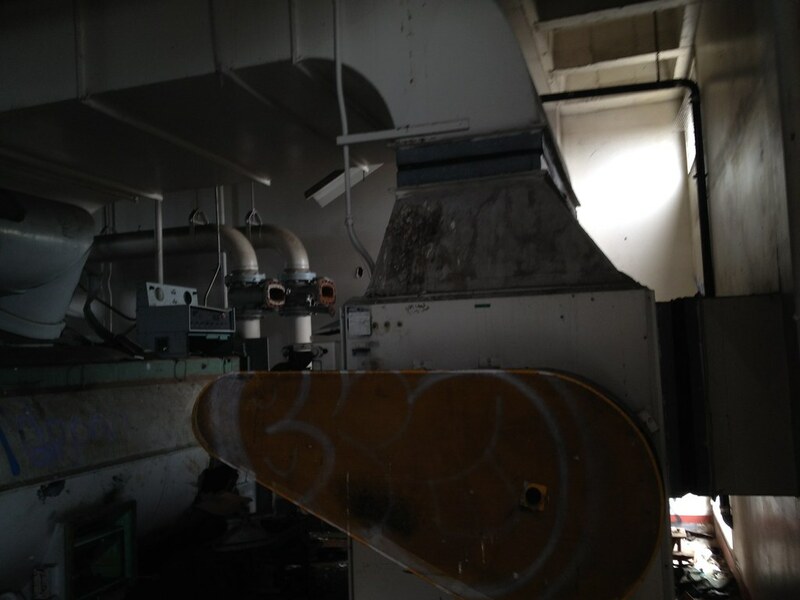 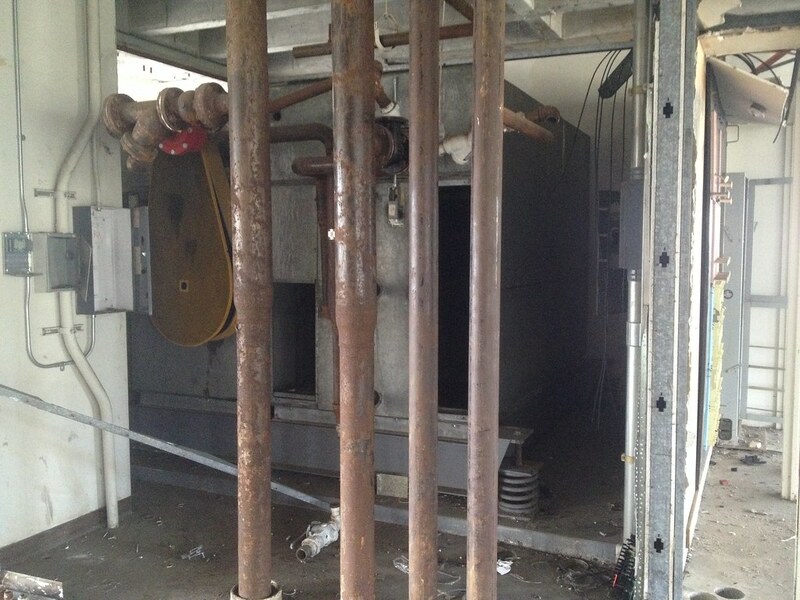 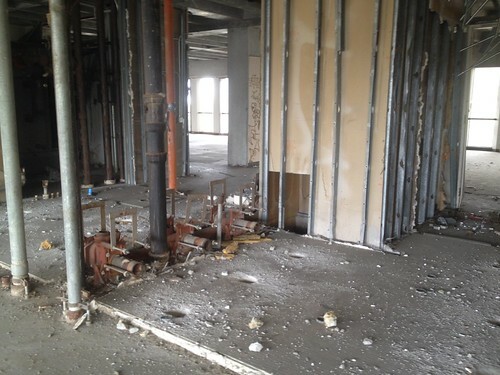 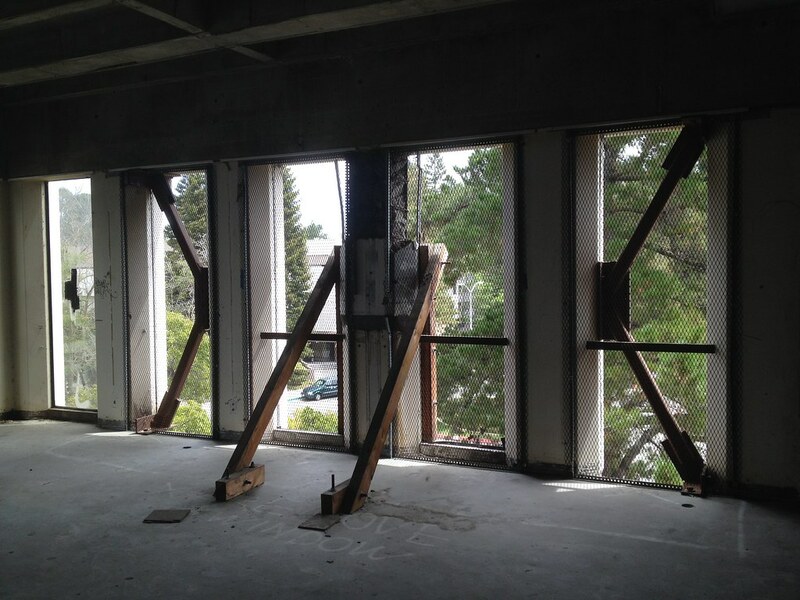 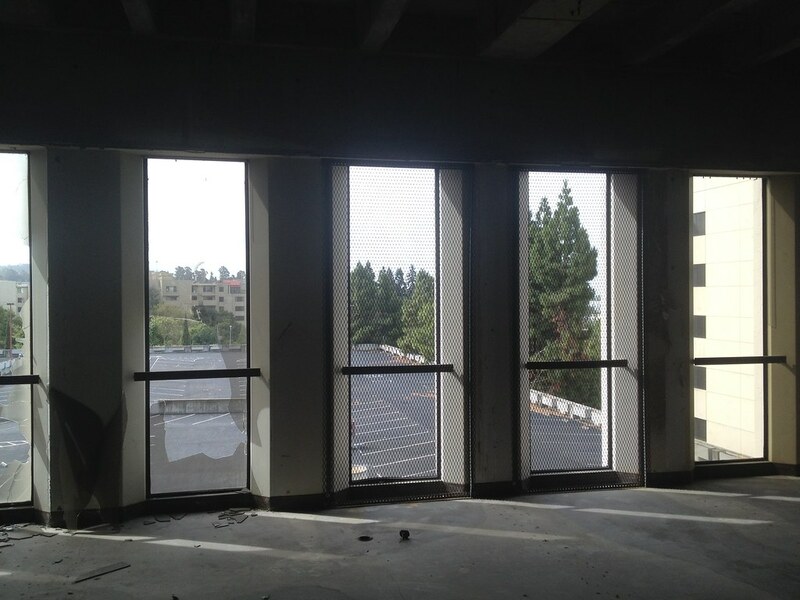 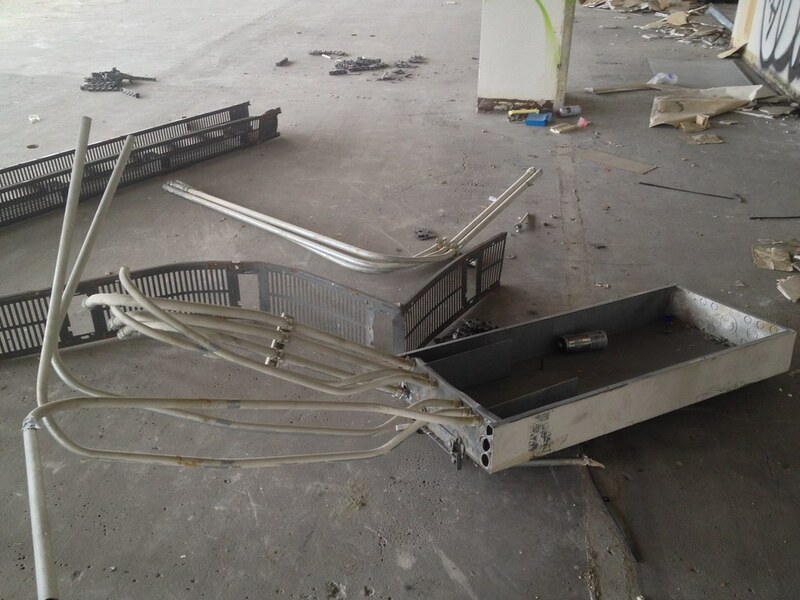 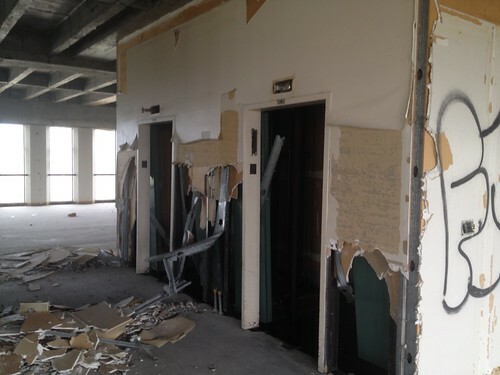 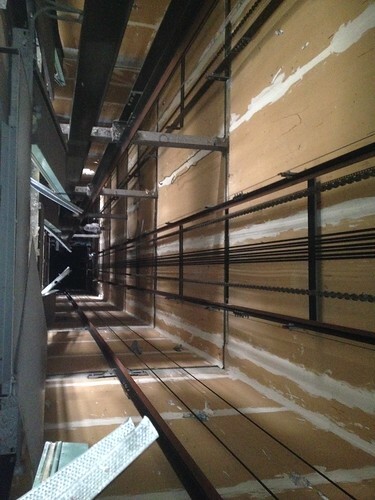 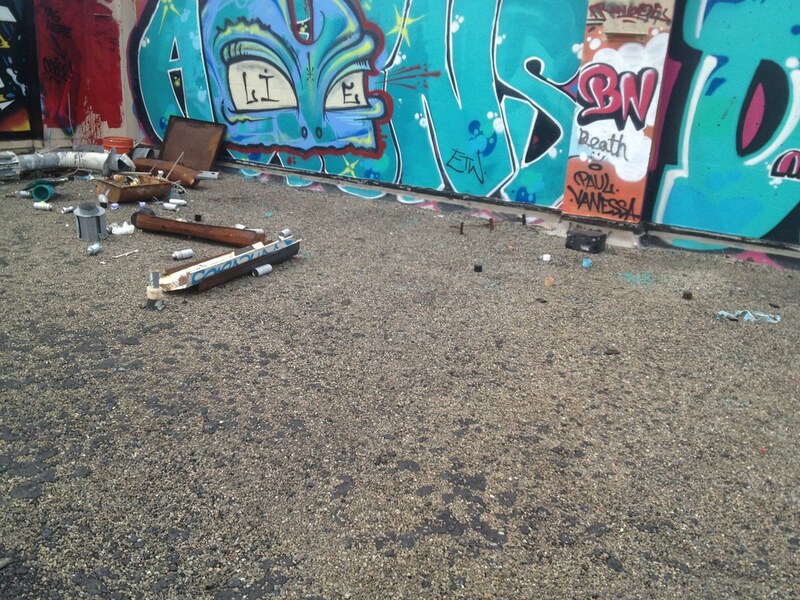 One of the load baring columns for the building was damanged and not actually holding the building together. 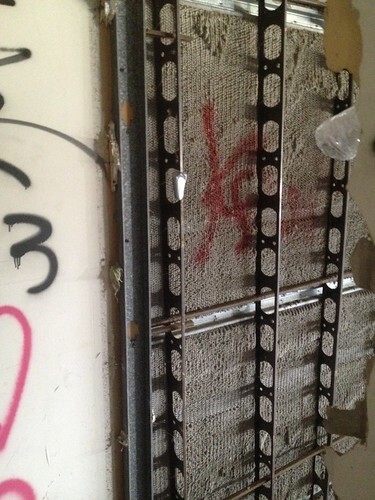 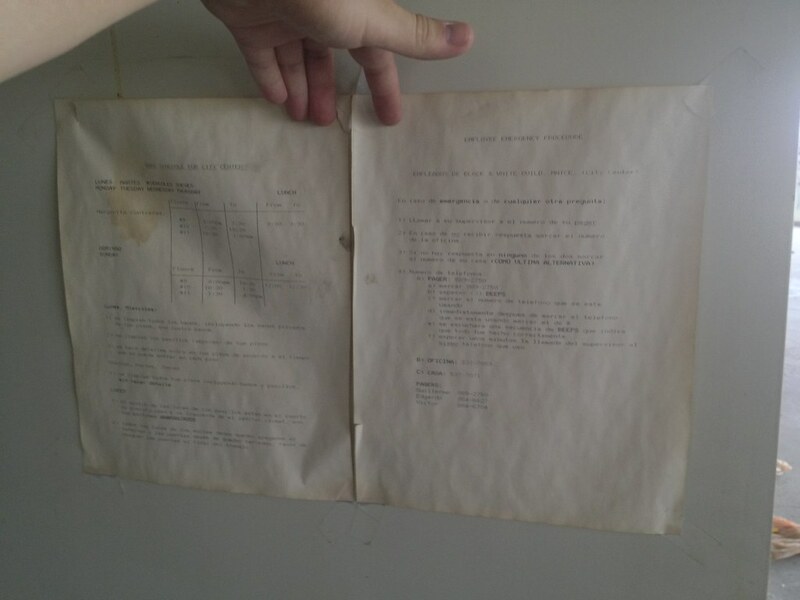 A make-shift hack was applied like a band-aid. 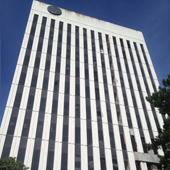 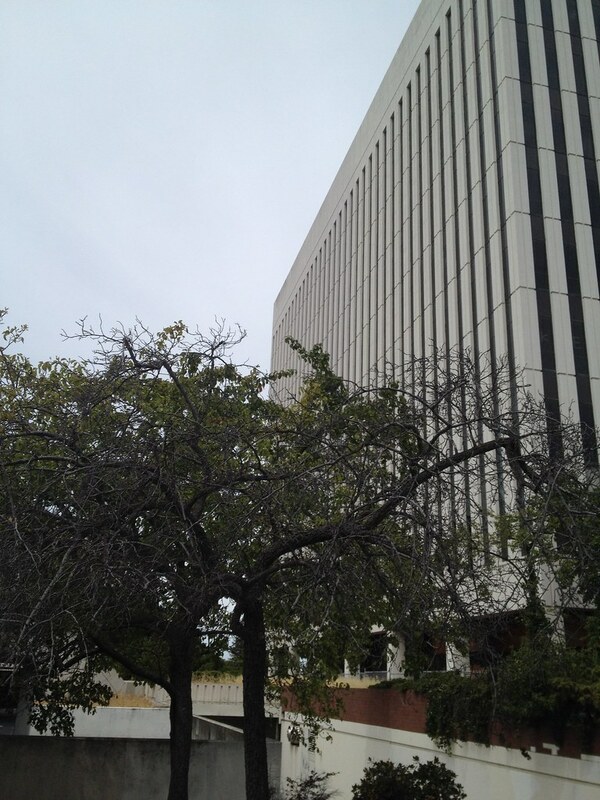 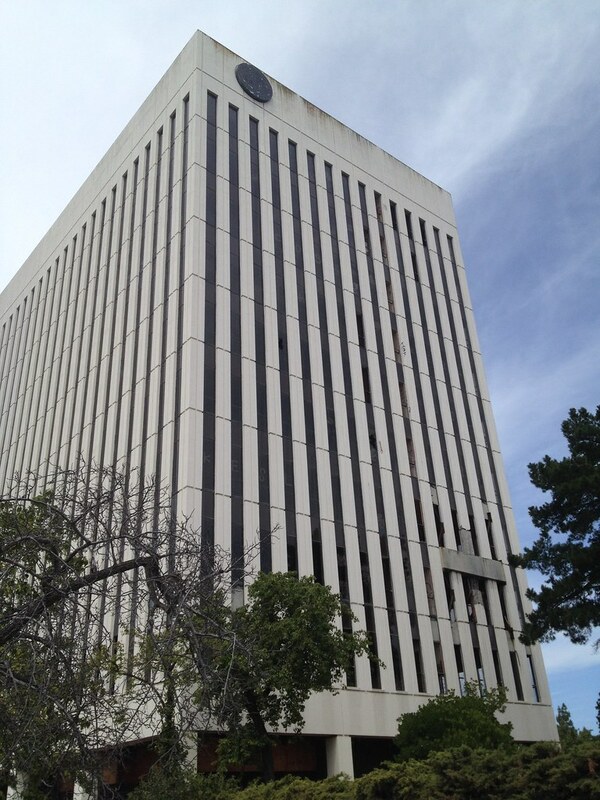 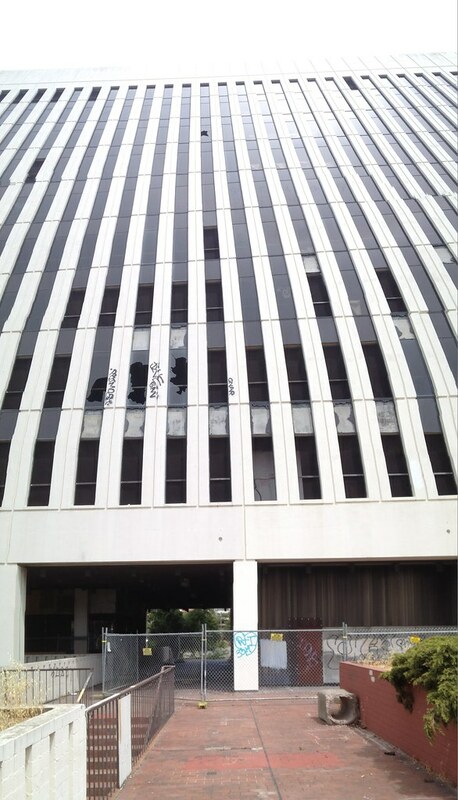 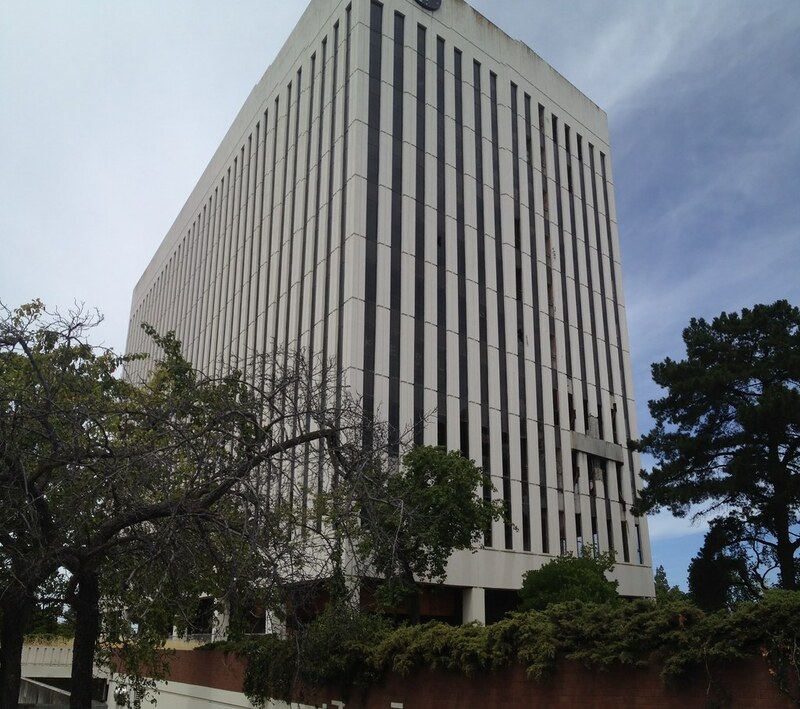 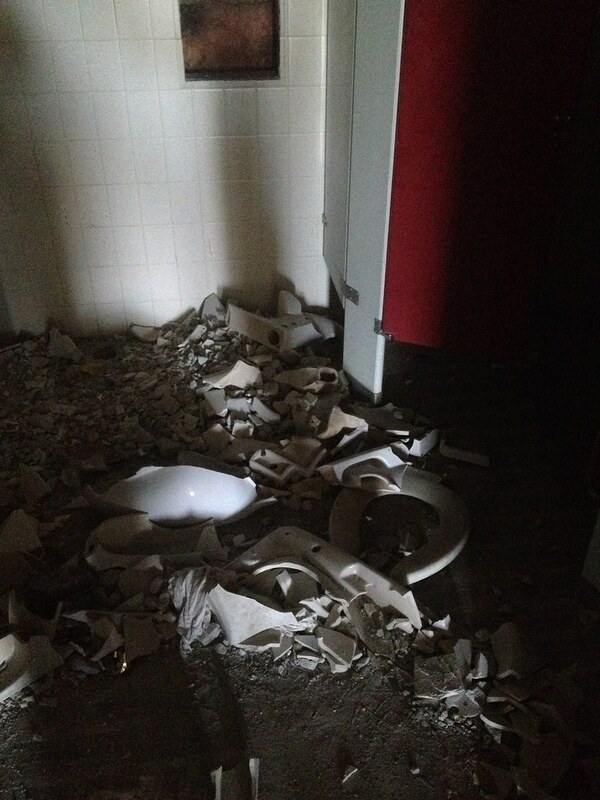 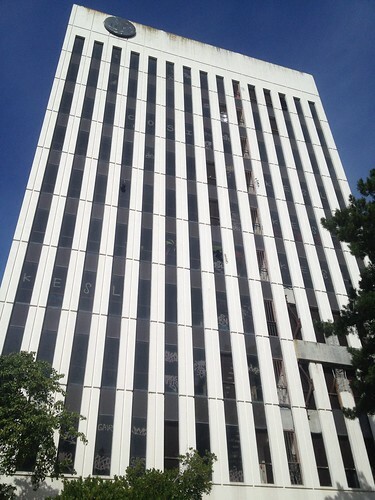 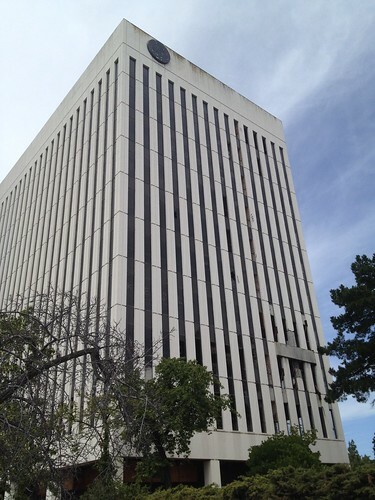 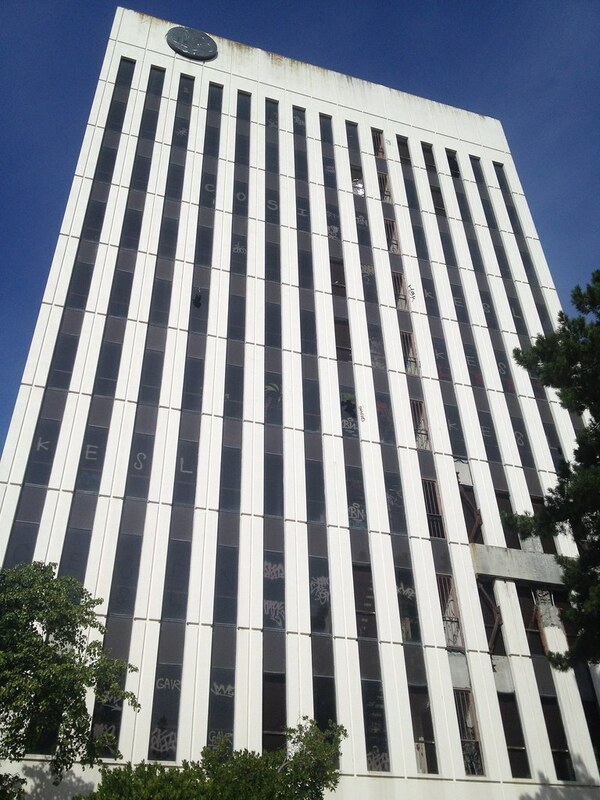 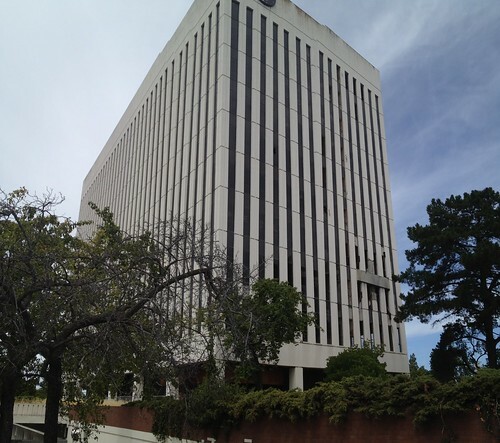 History says the building suffered damage in an earthquake. Luckily there were none on the day I visited. 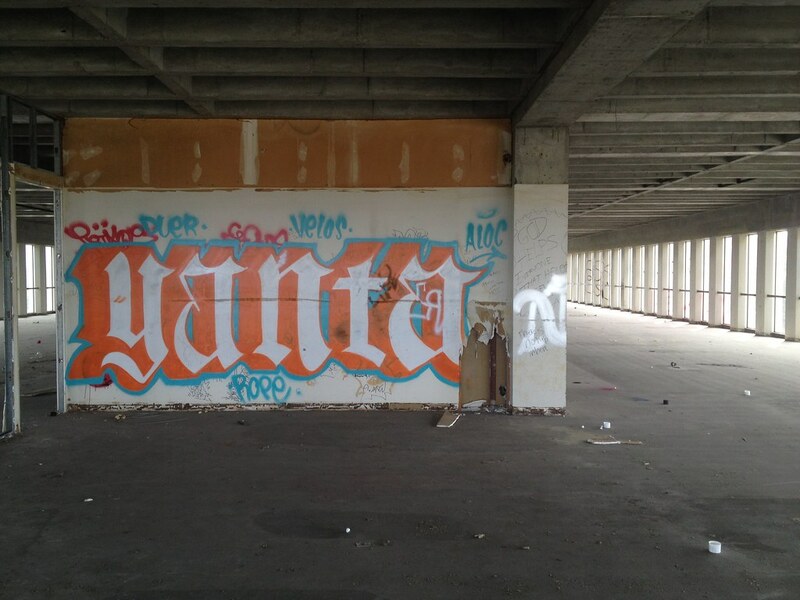 this spot looks amazing! 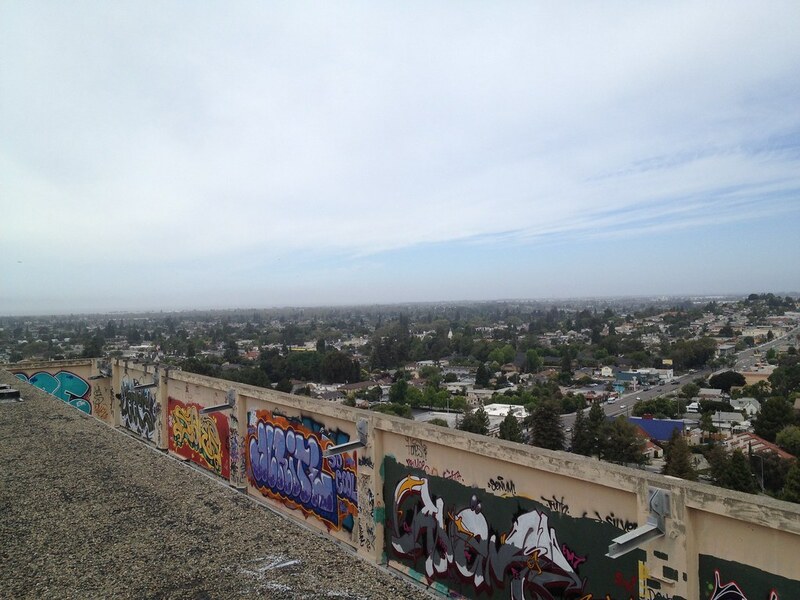 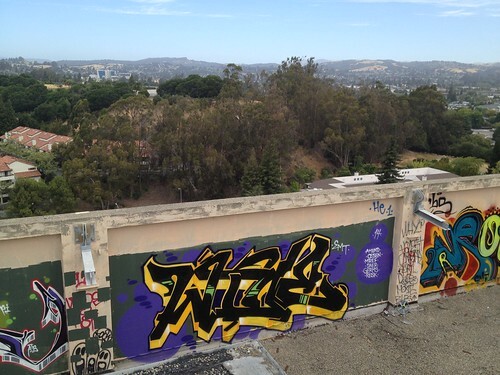 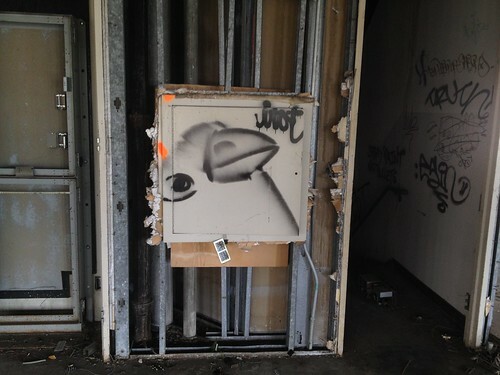 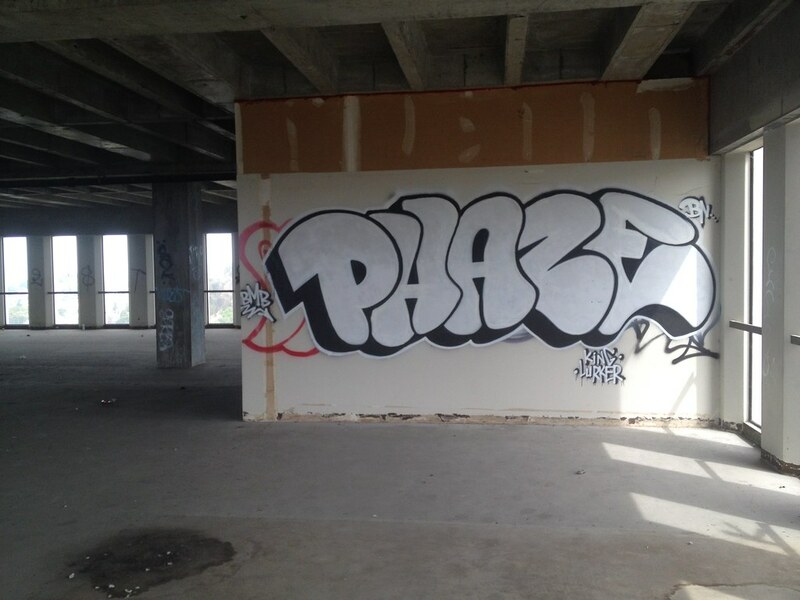 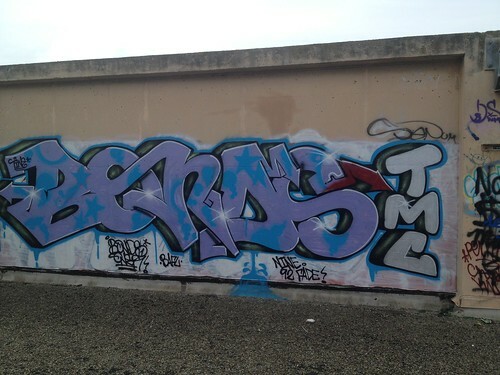 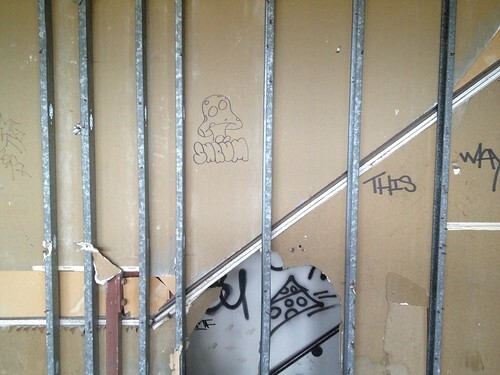 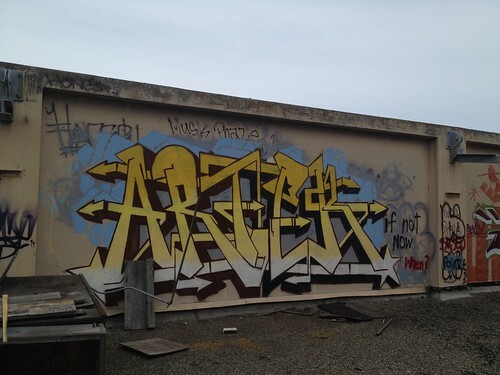 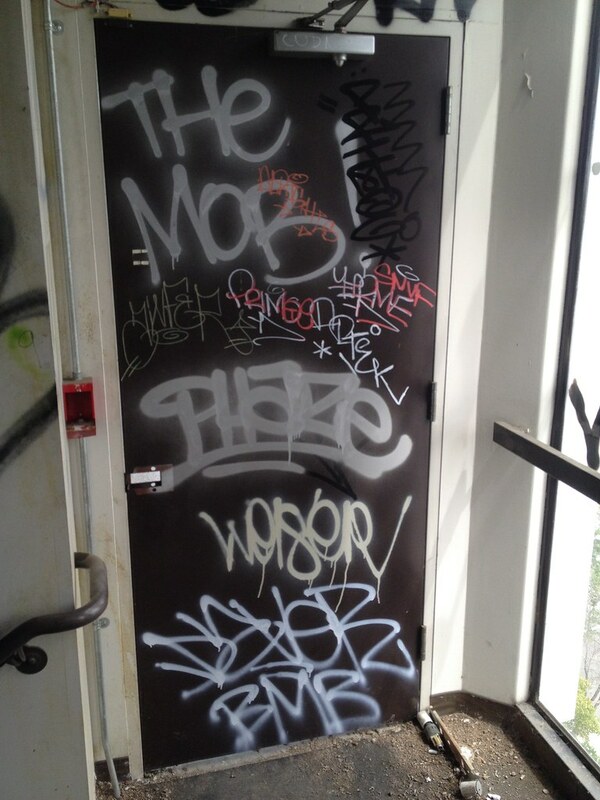 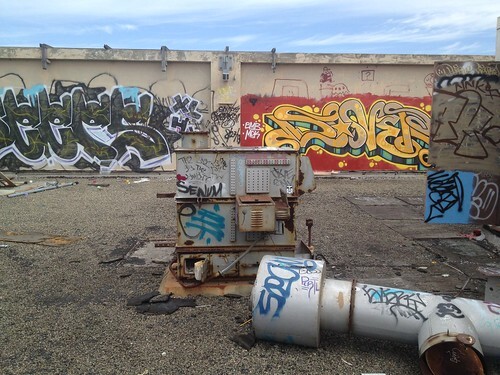 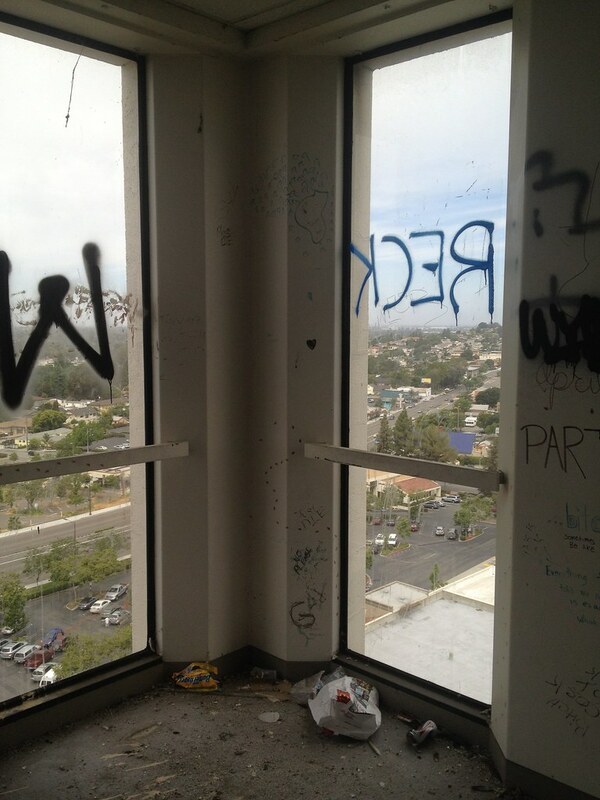 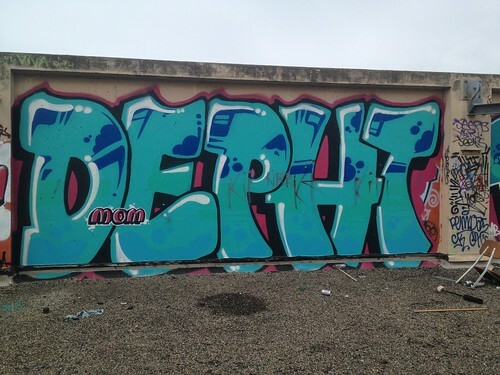 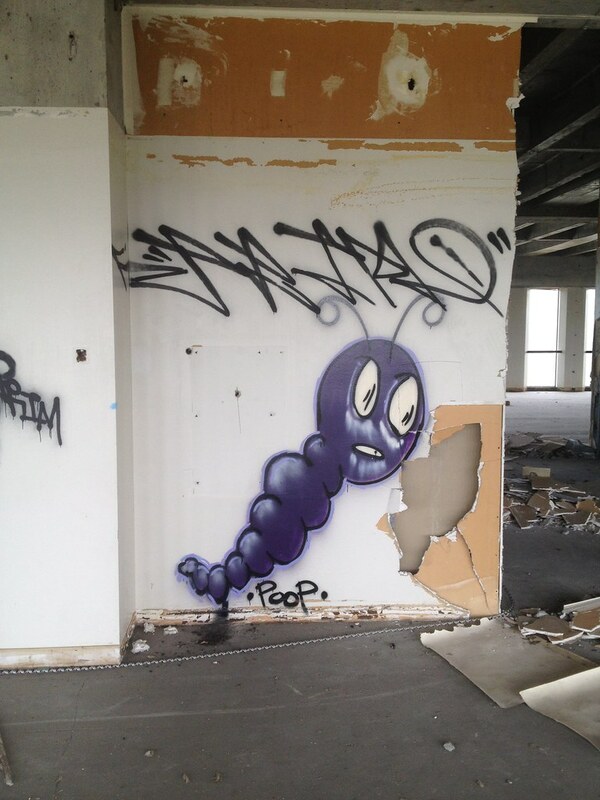 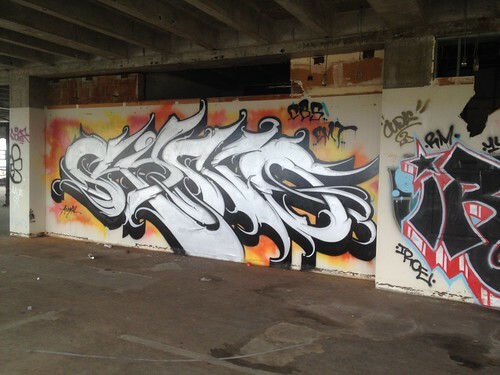 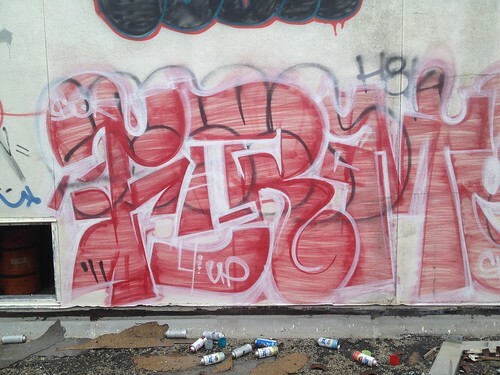 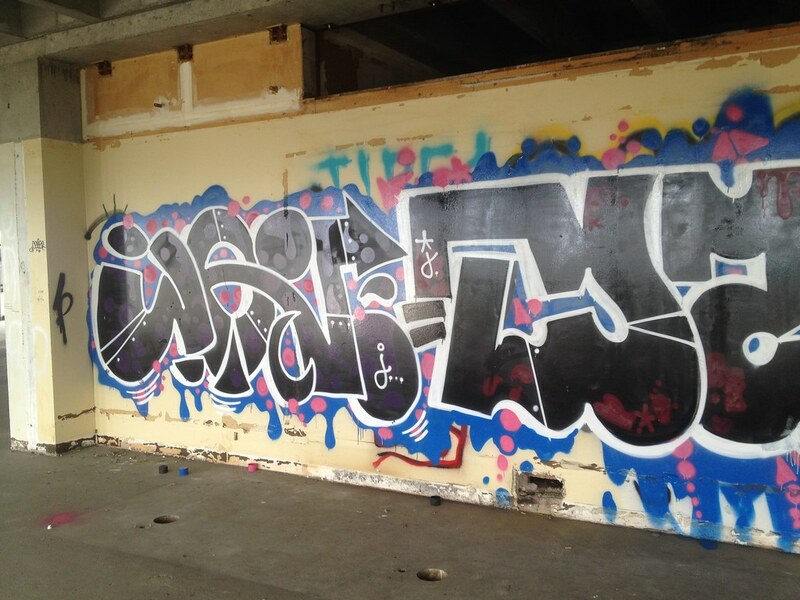 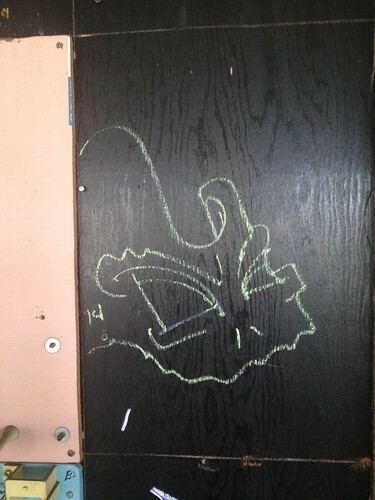 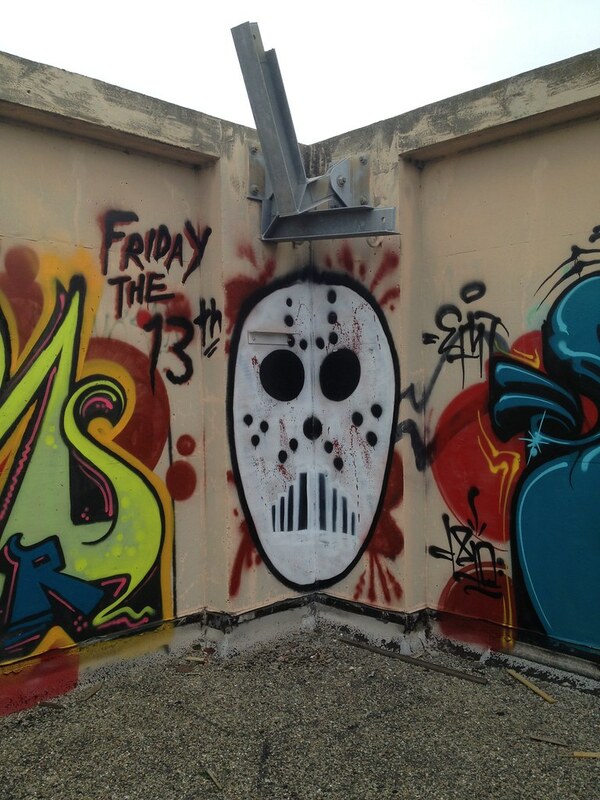 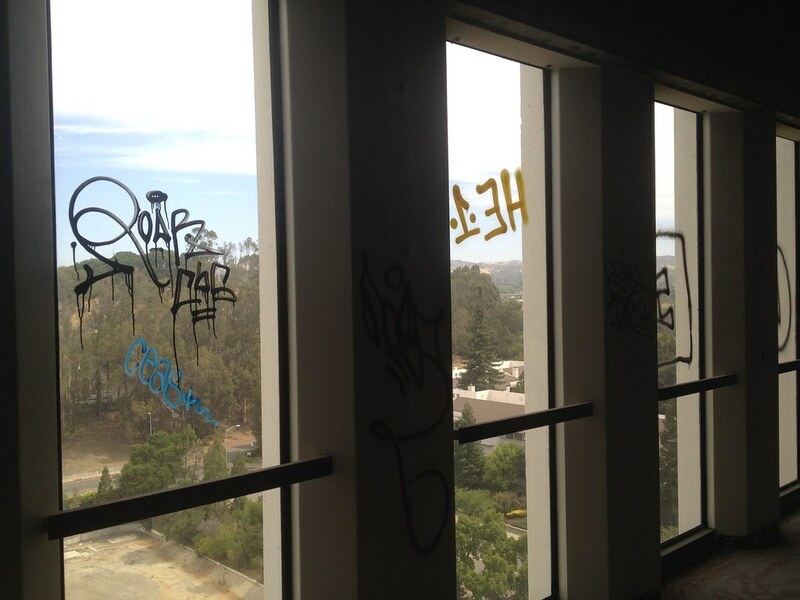 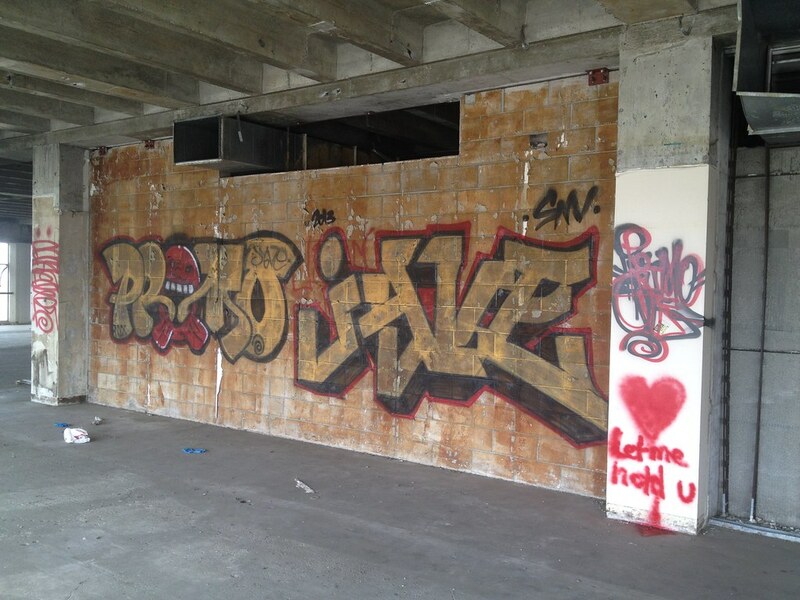 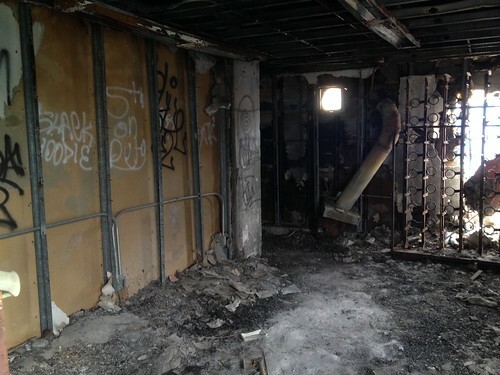 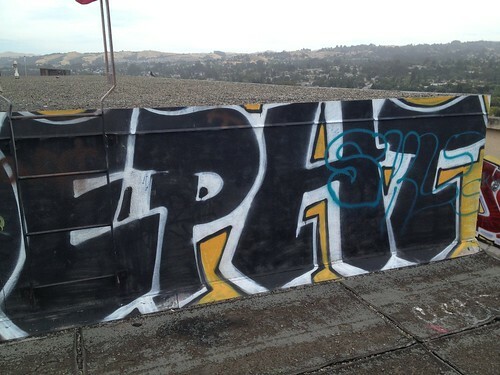 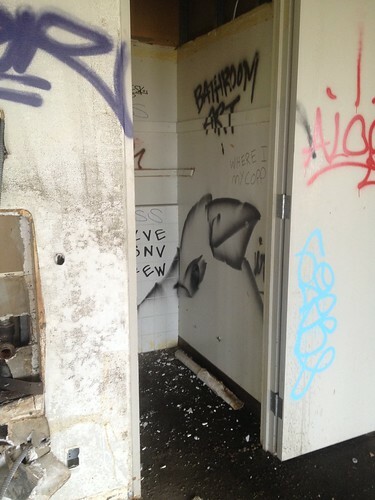 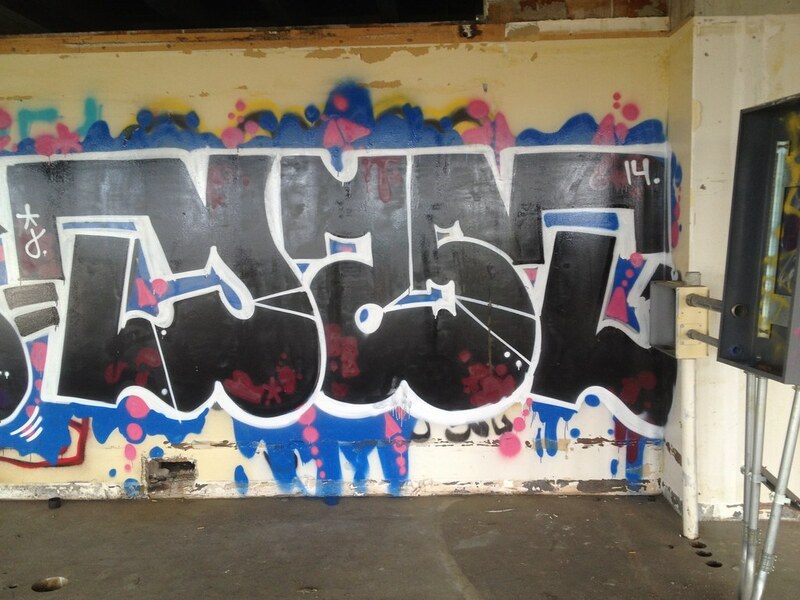 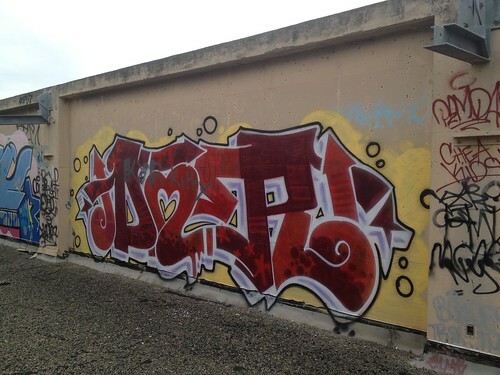 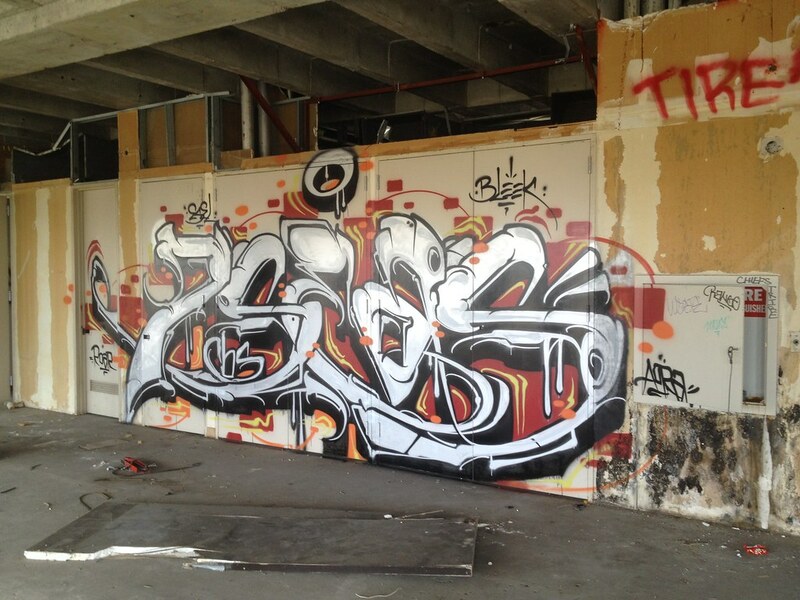 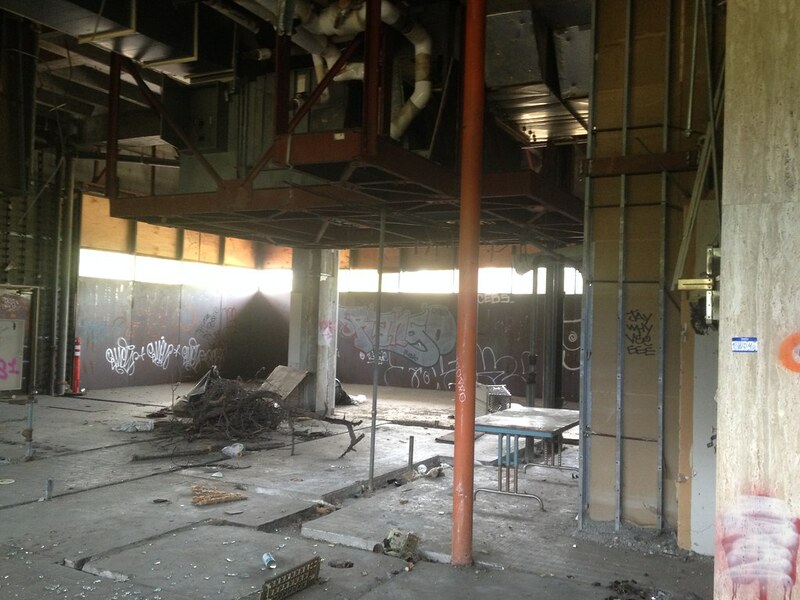 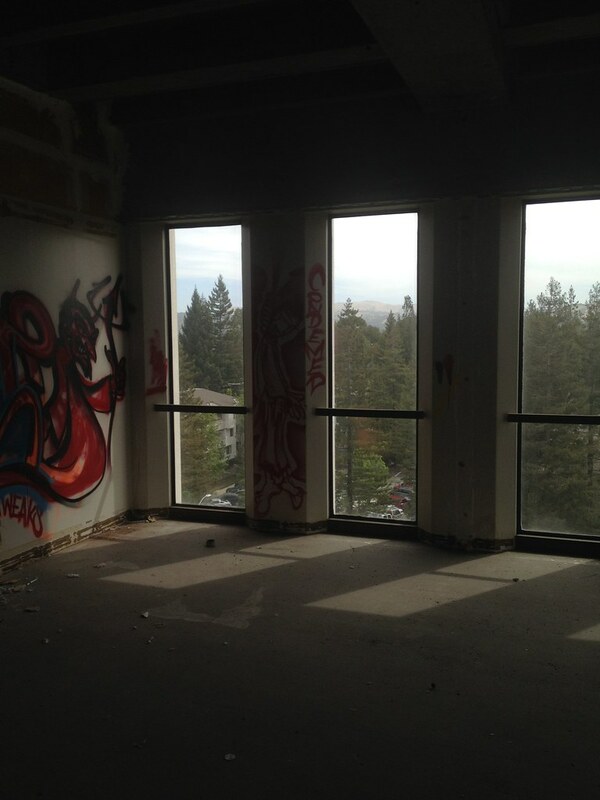 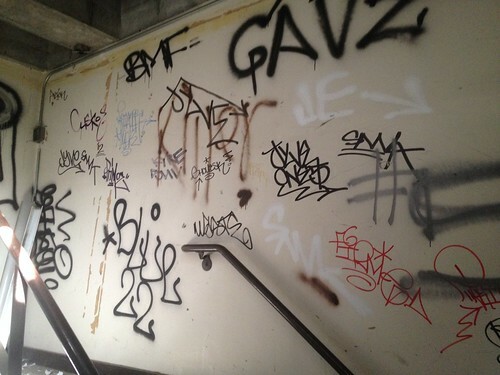 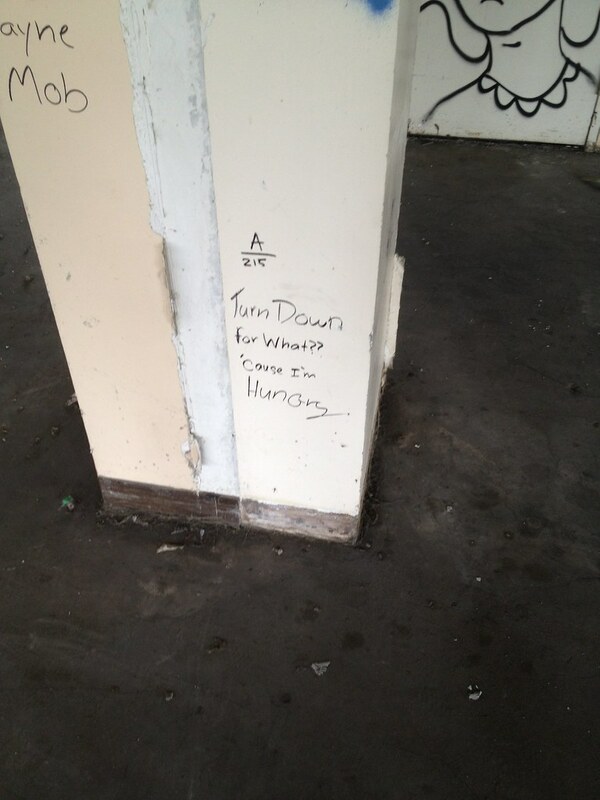 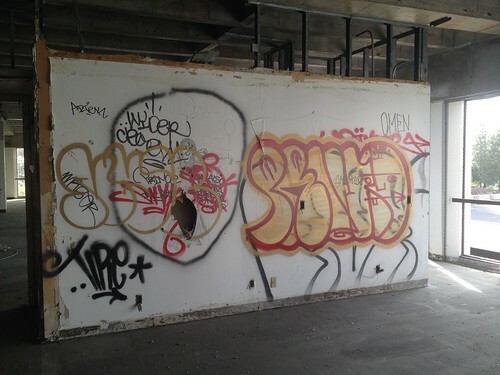 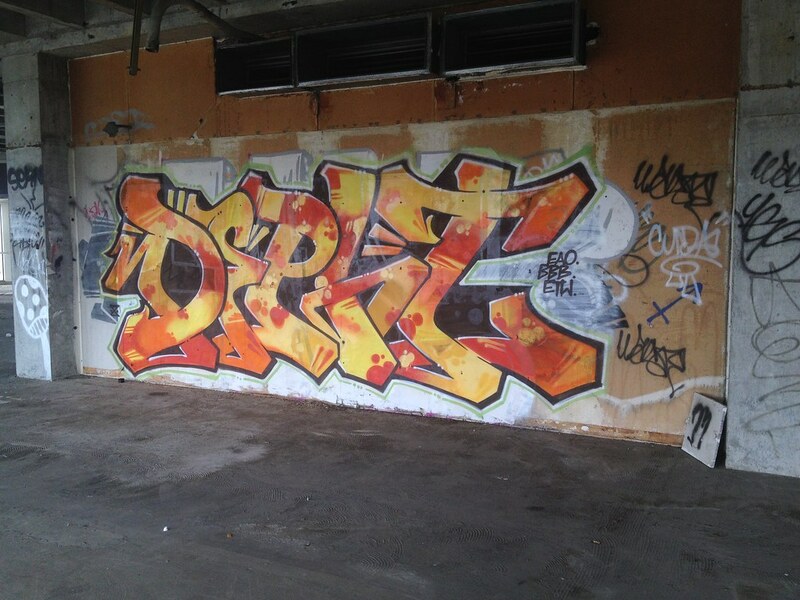 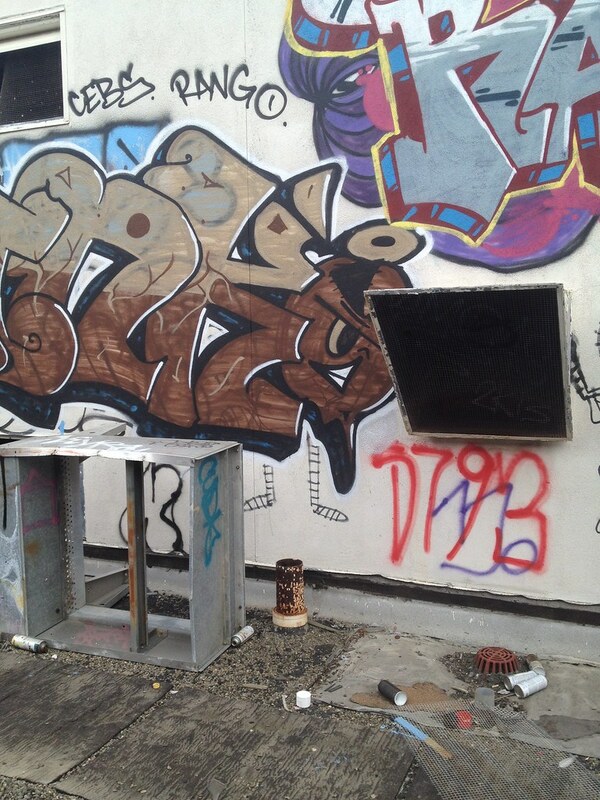 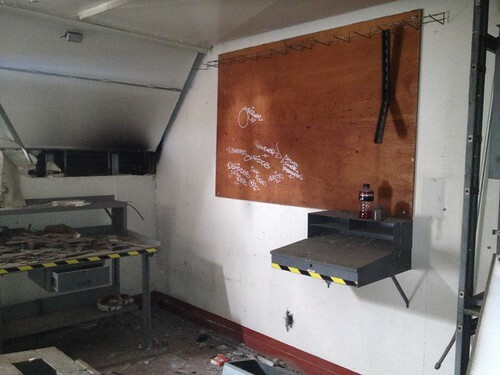 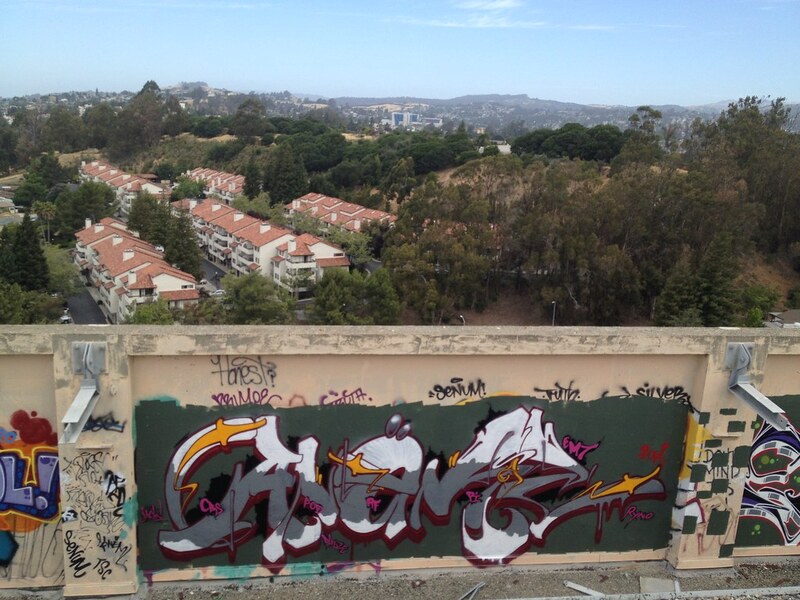 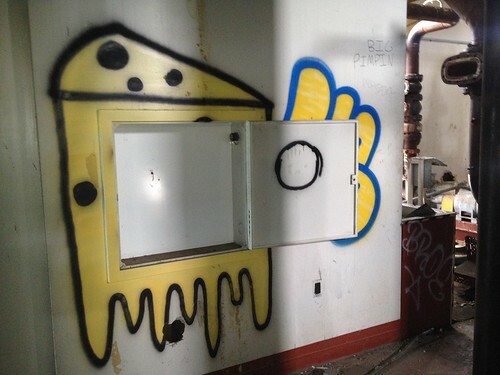 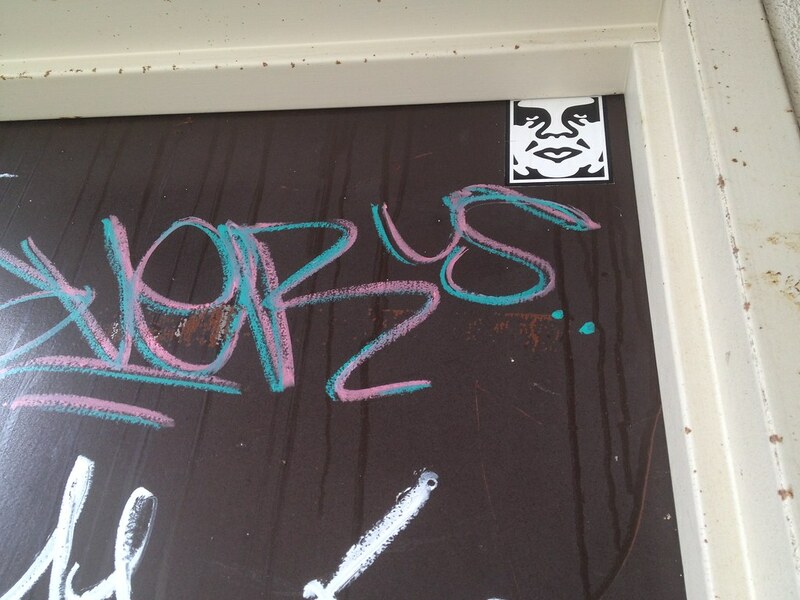 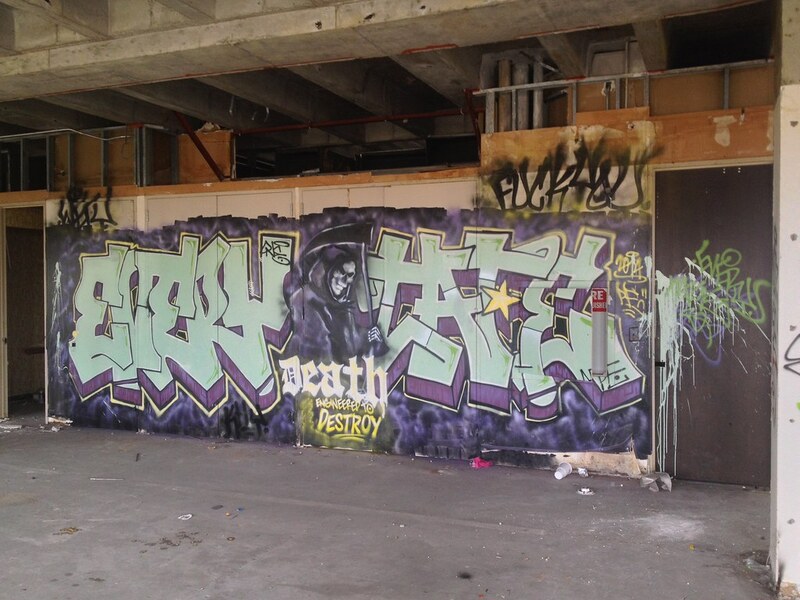 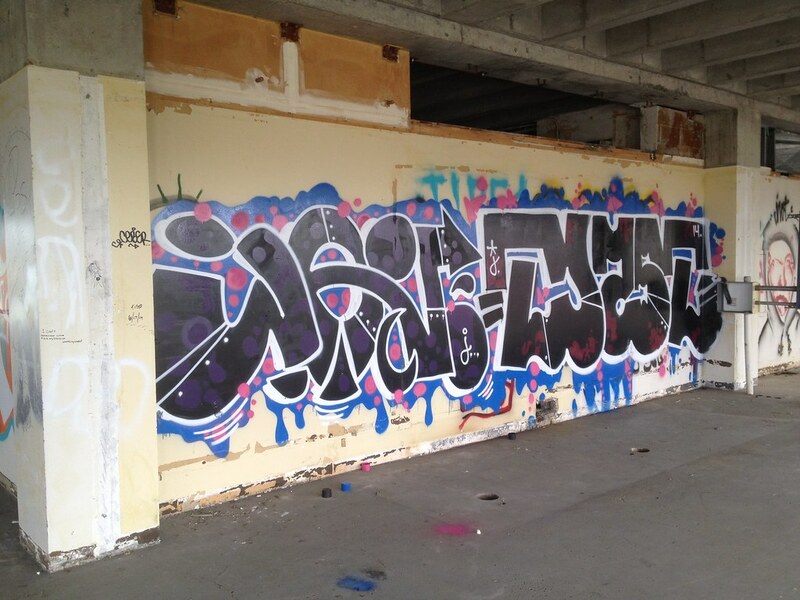 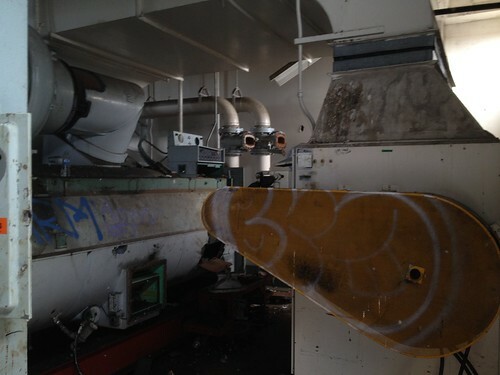 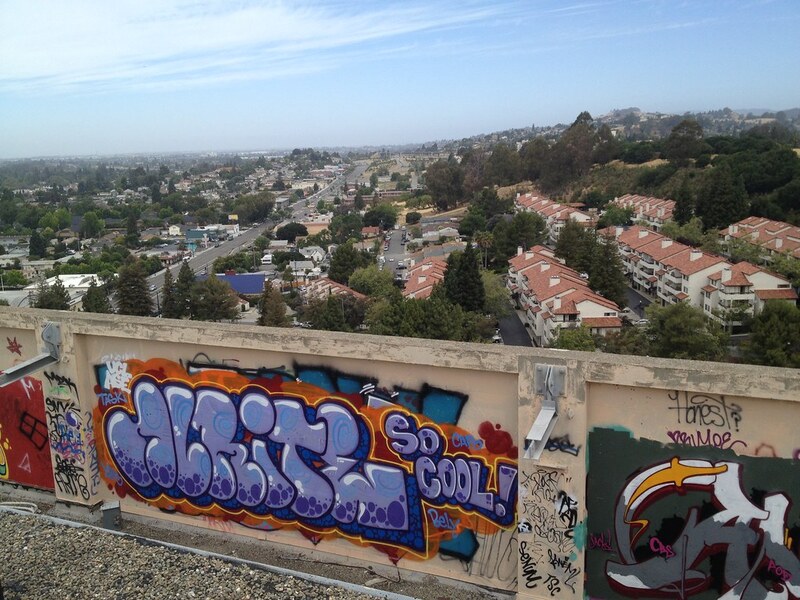 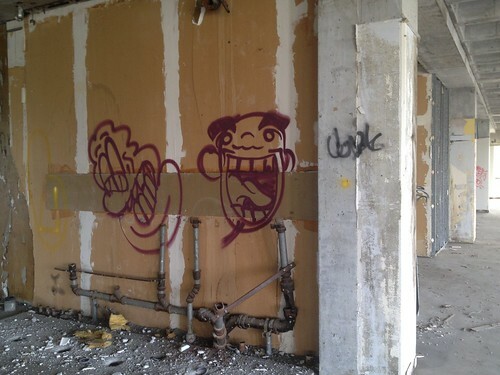 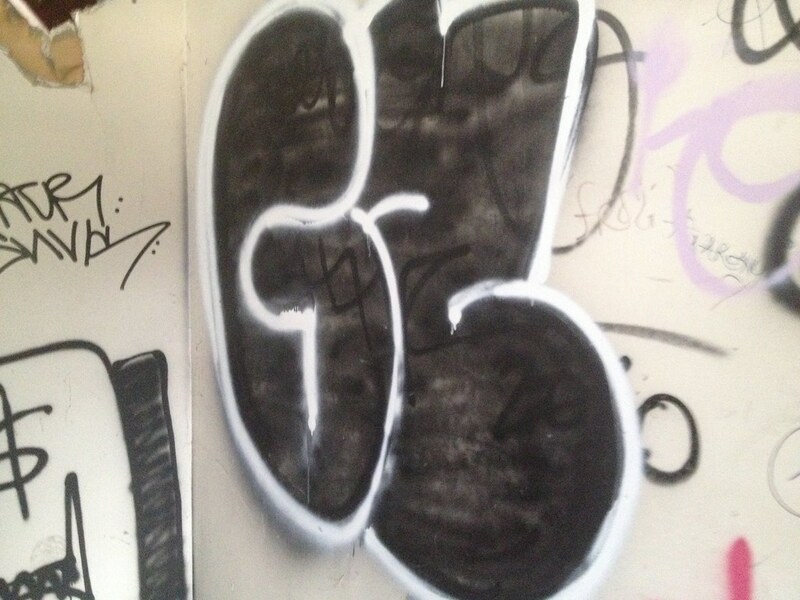 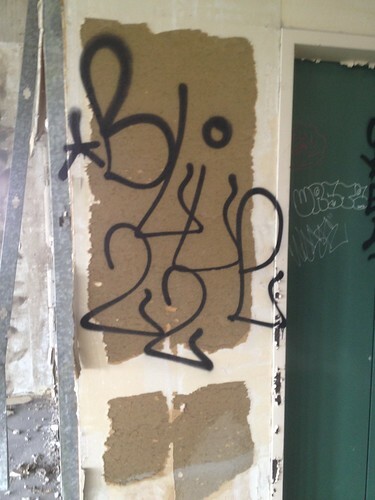 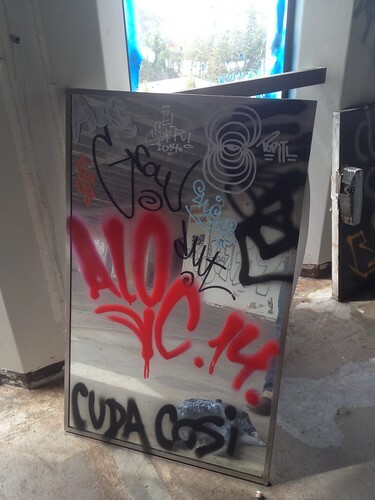 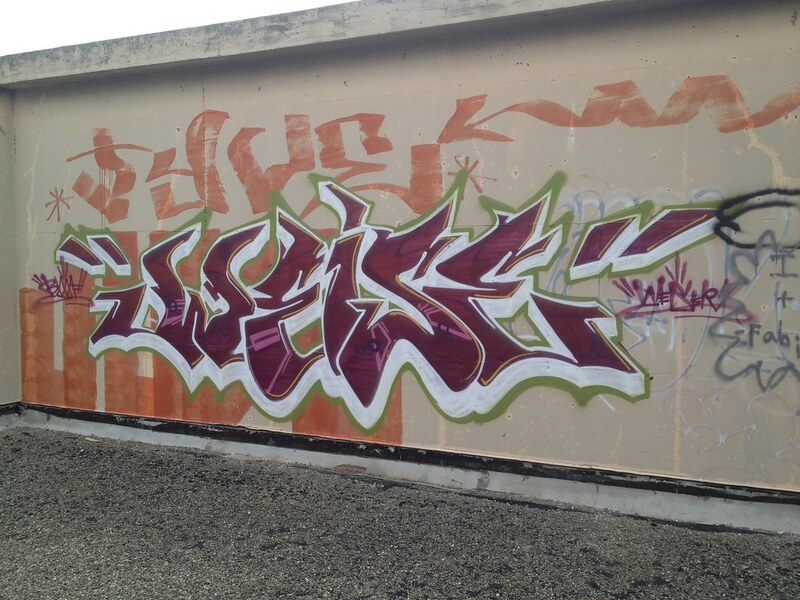 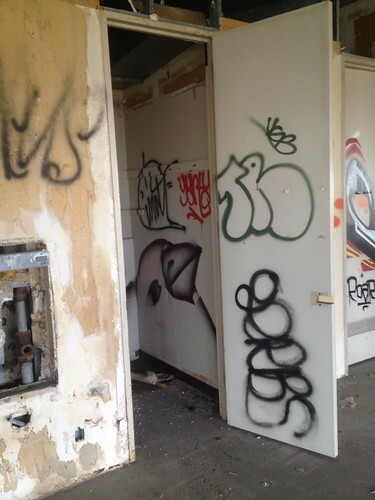 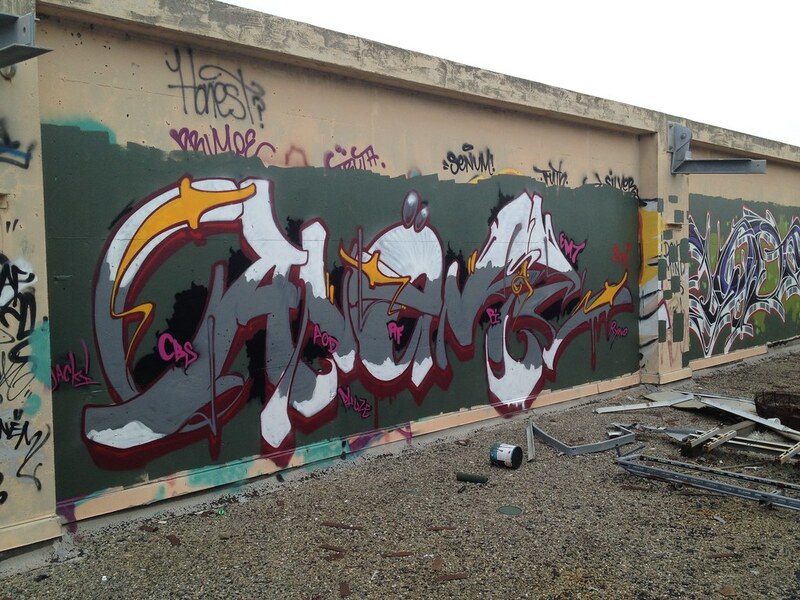 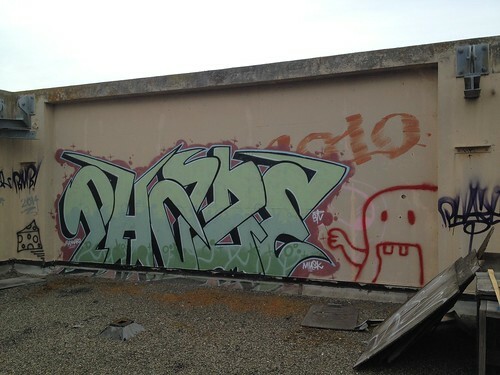 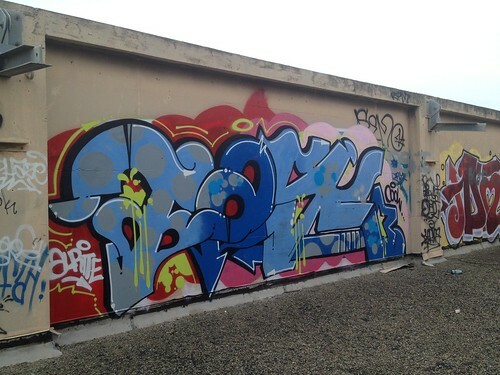 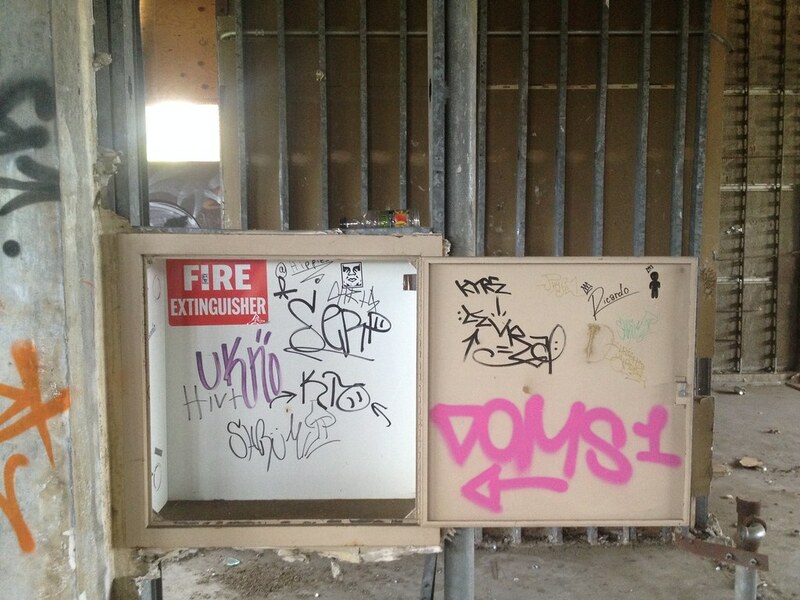 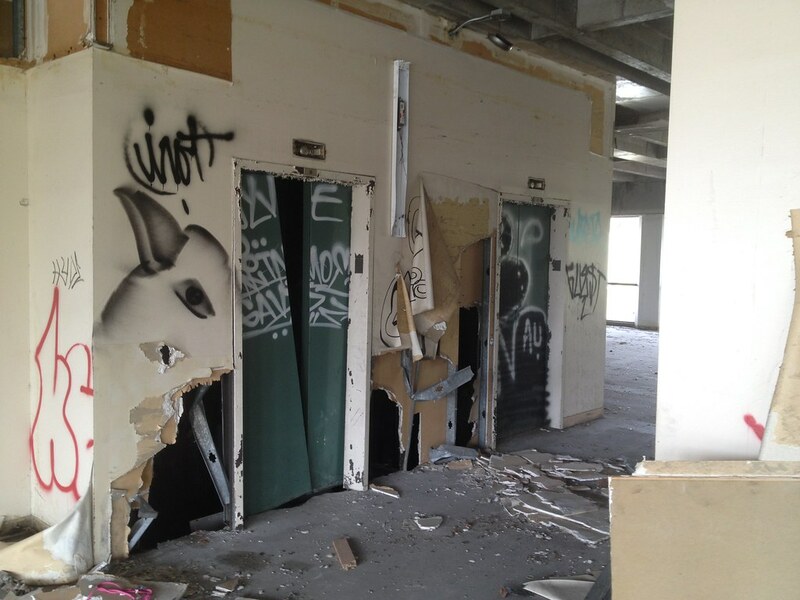 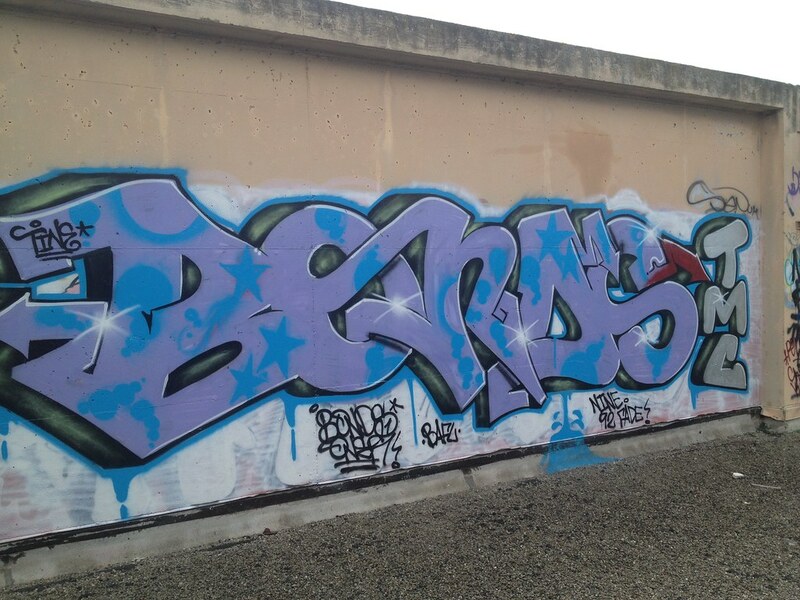 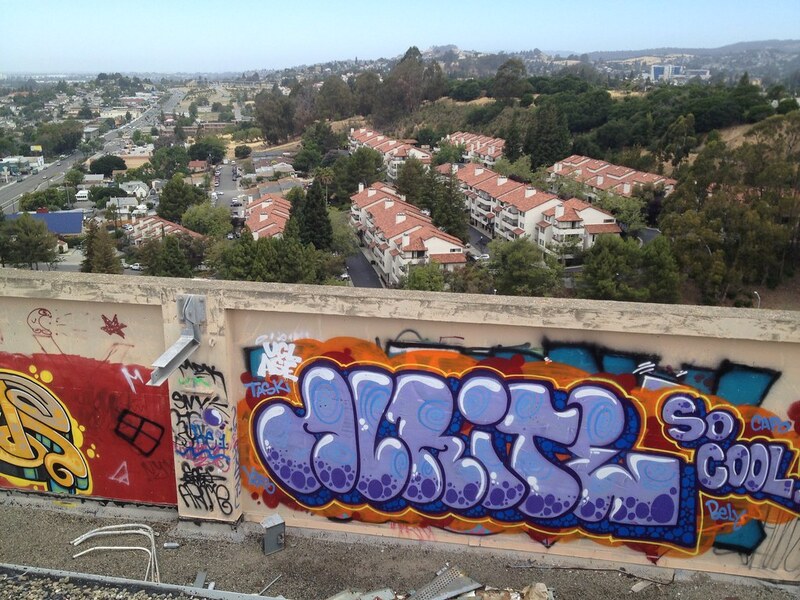 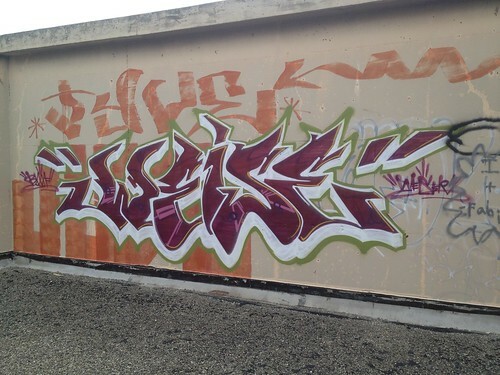 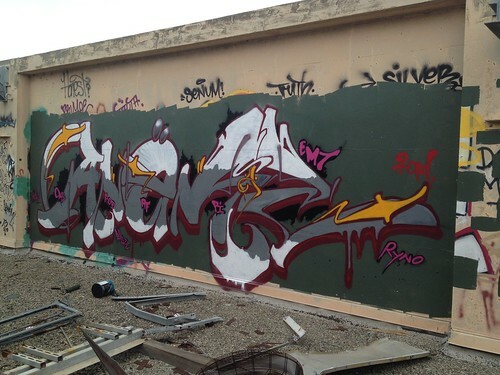 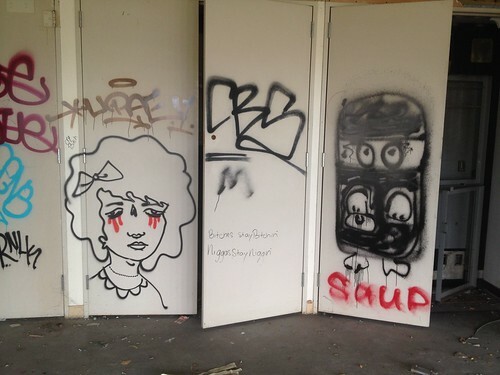 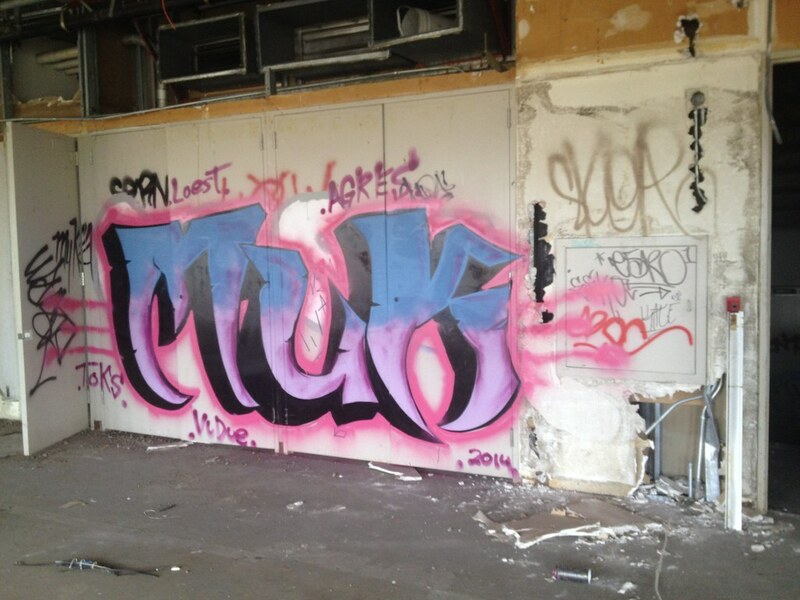 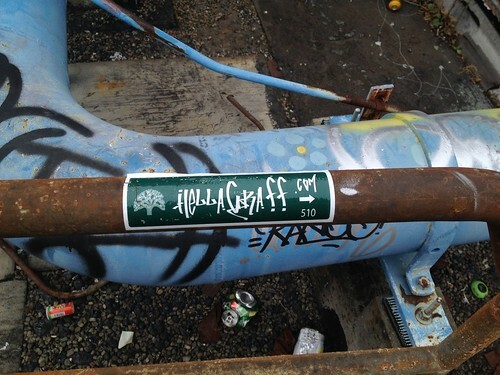 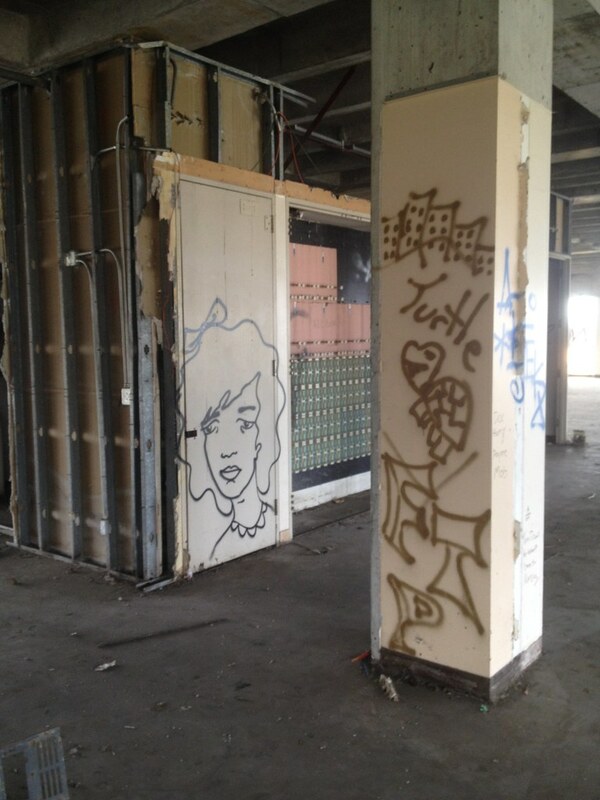 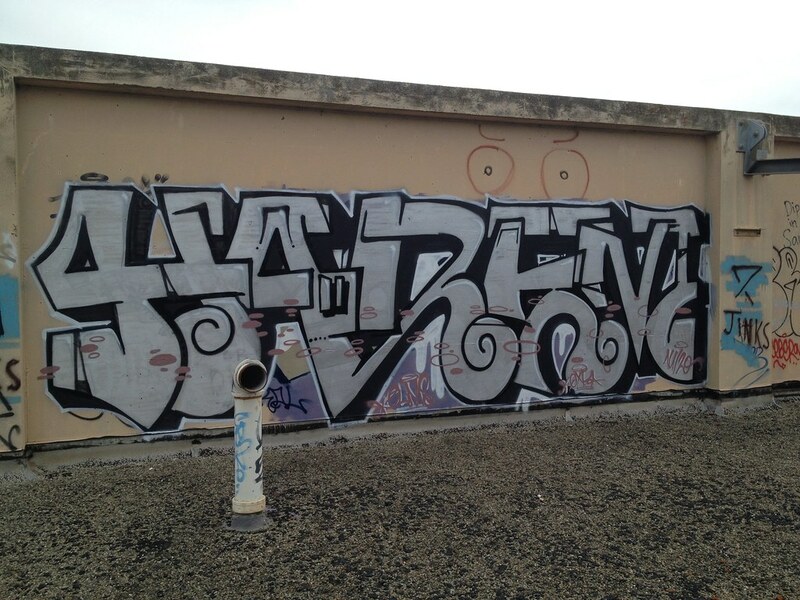 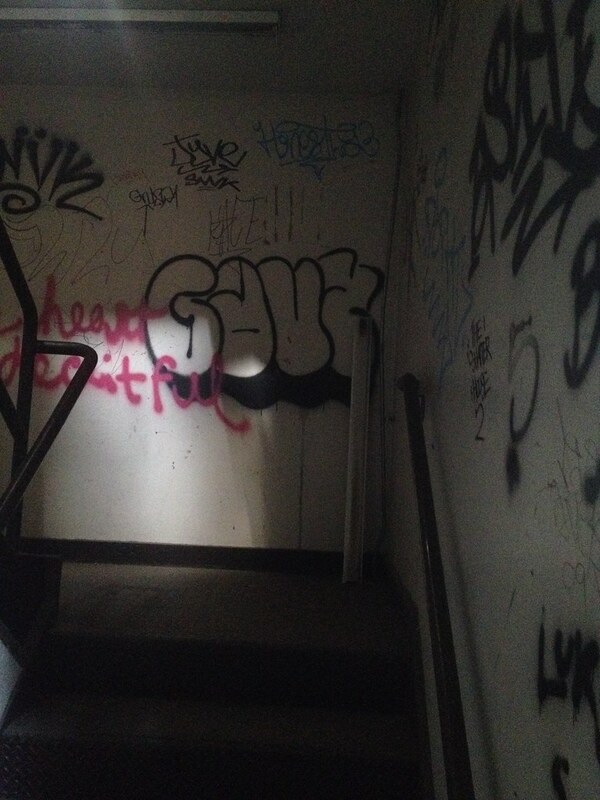 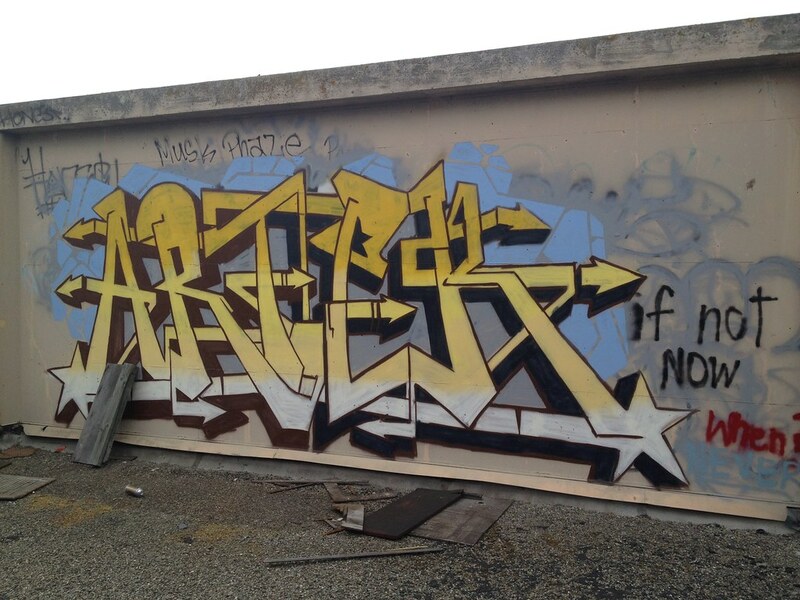 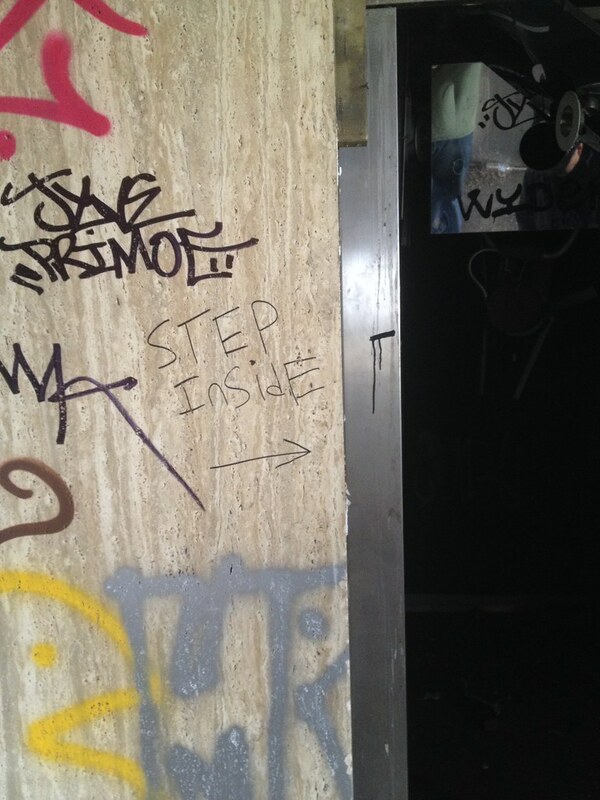 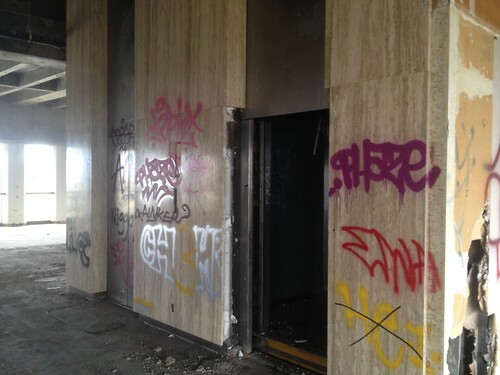 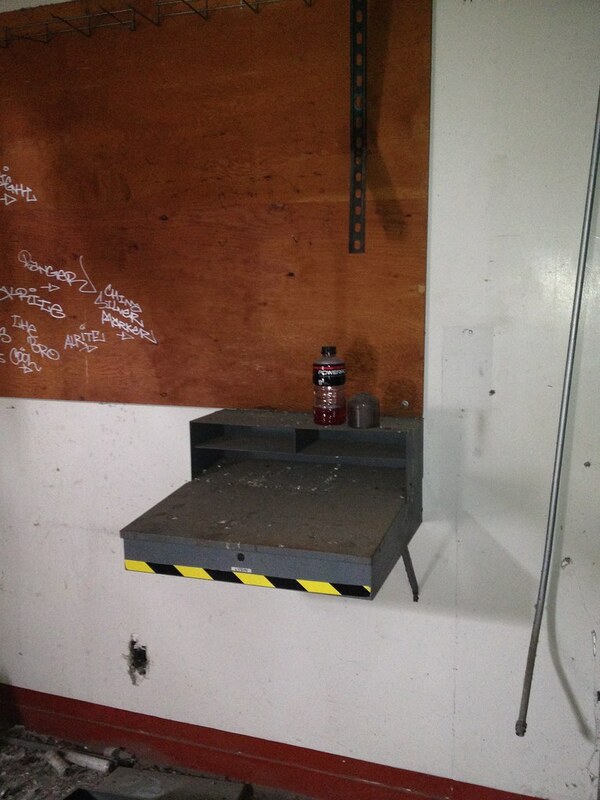 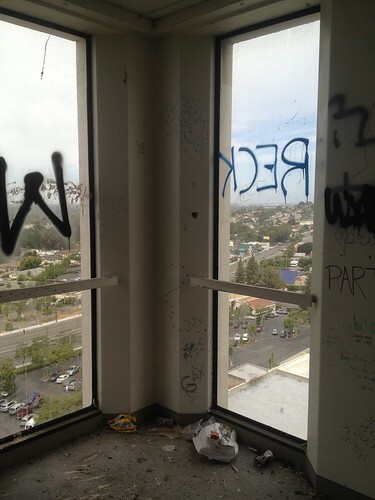 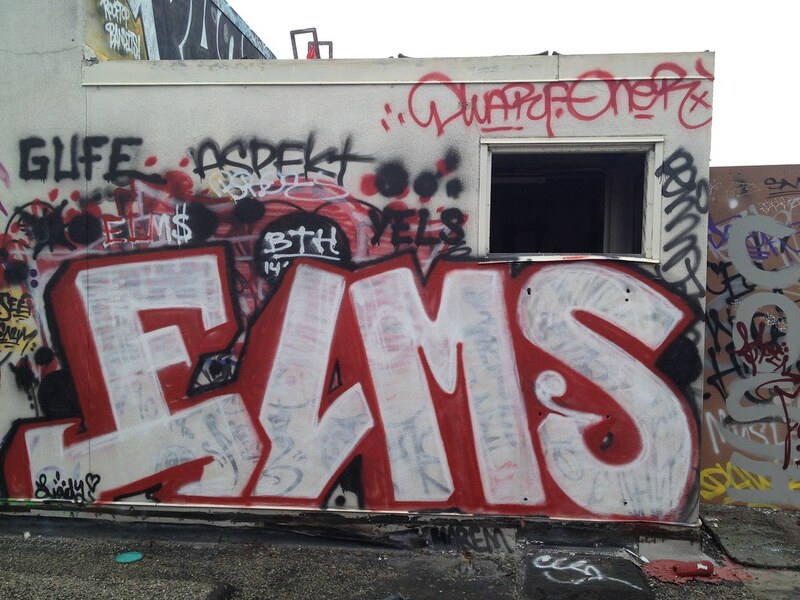 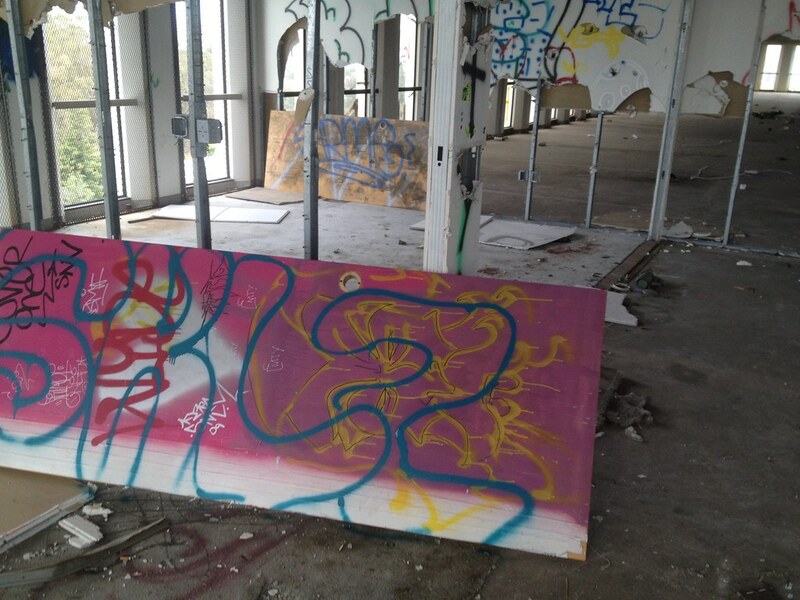 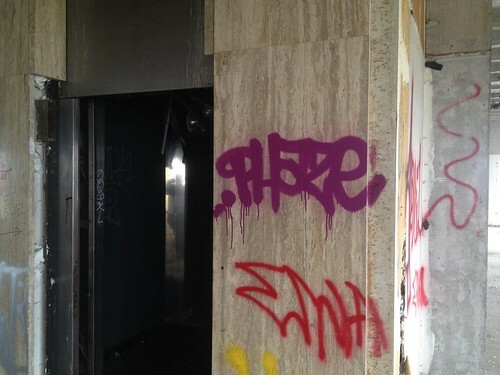 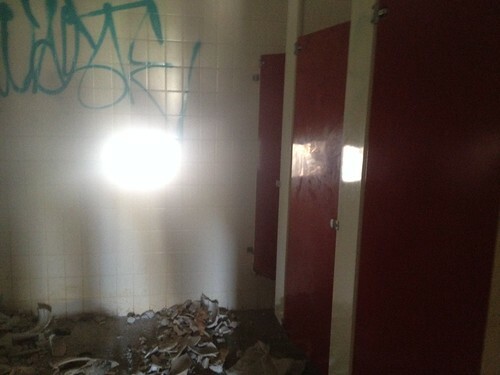 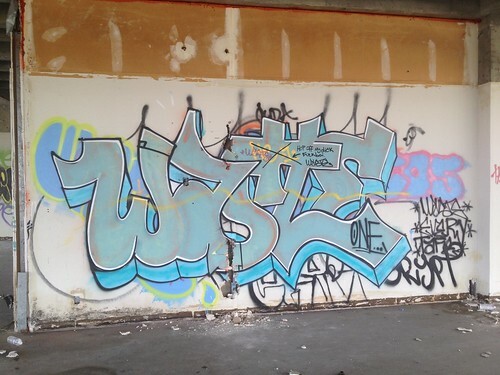 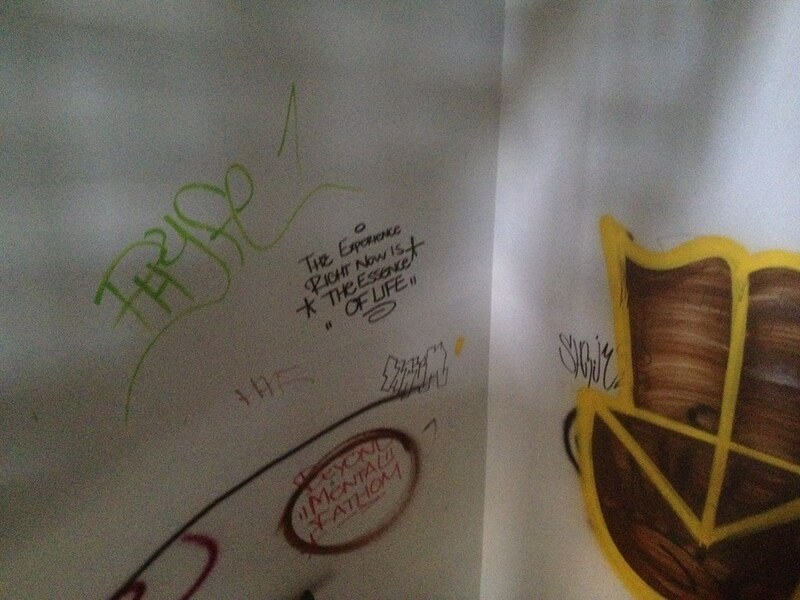 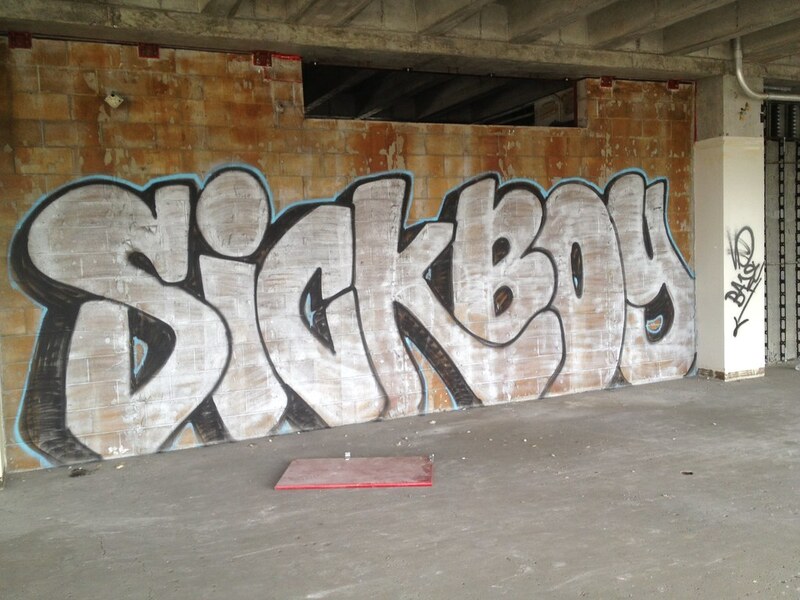 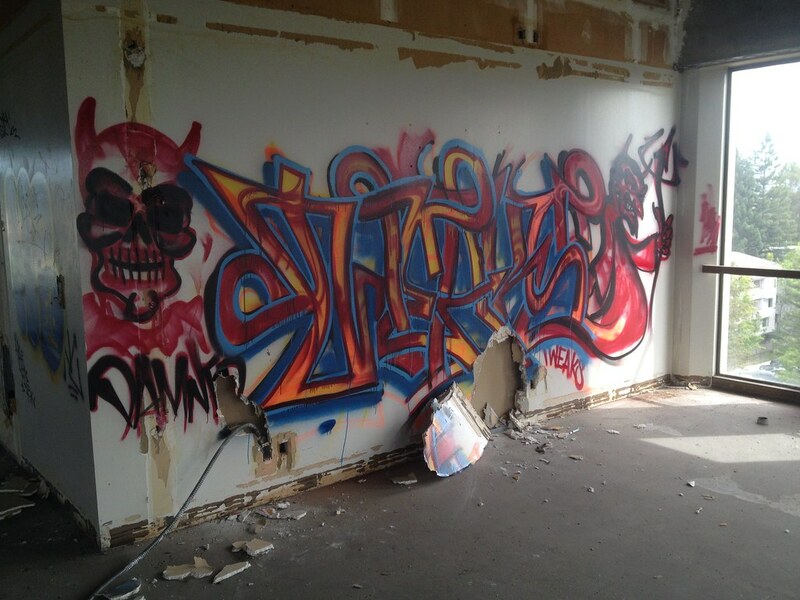 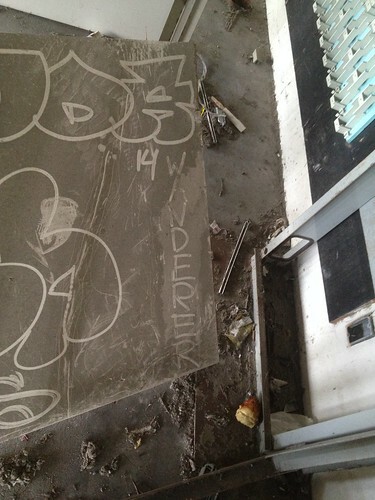 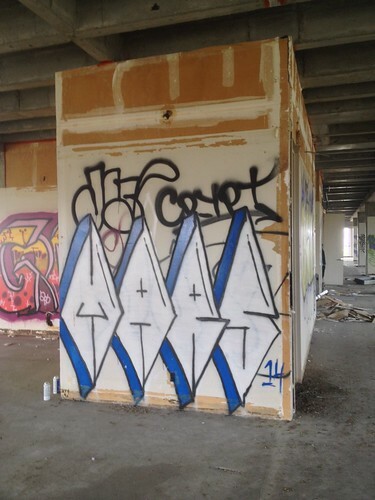 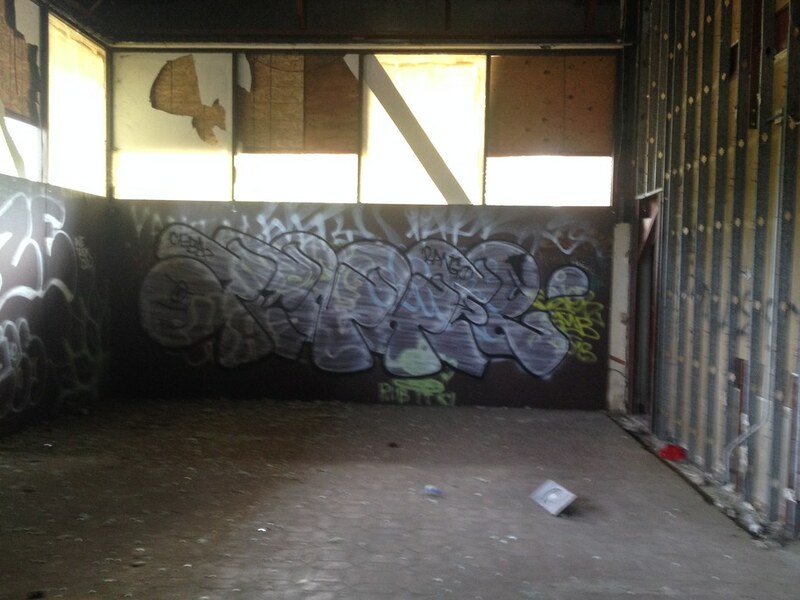 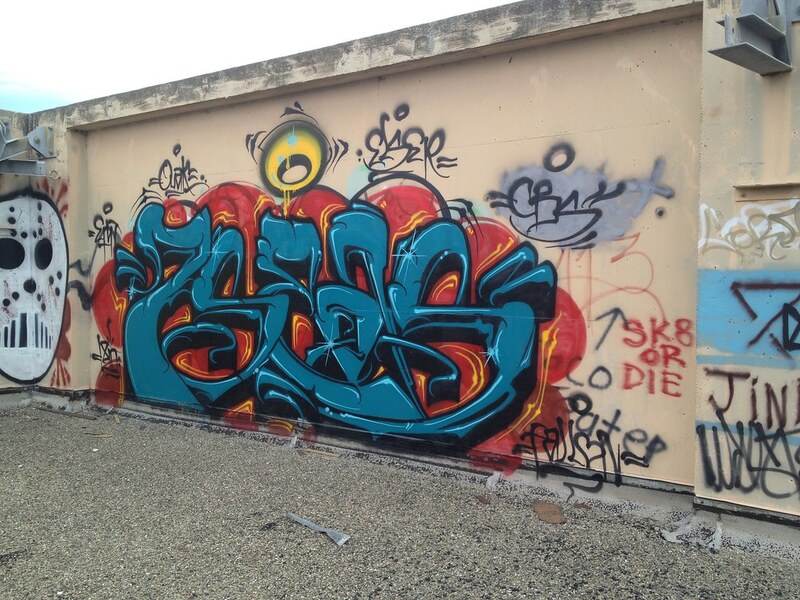 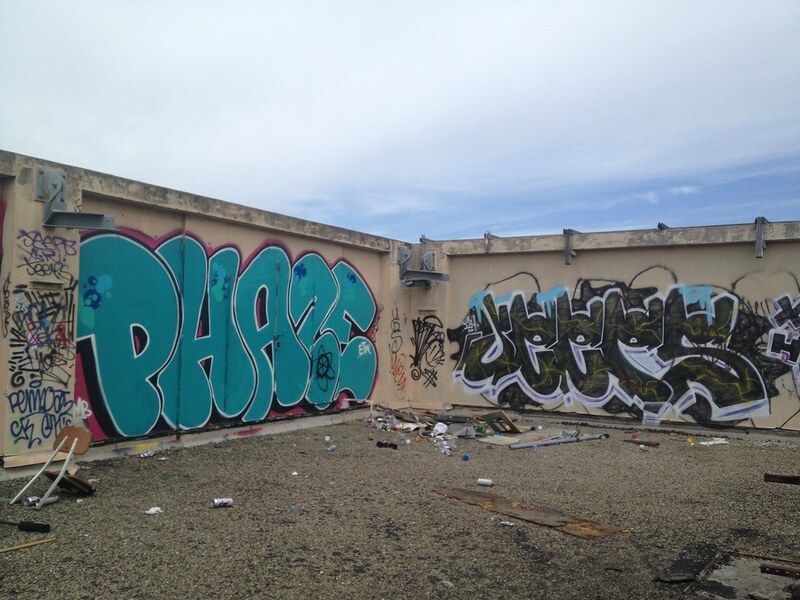 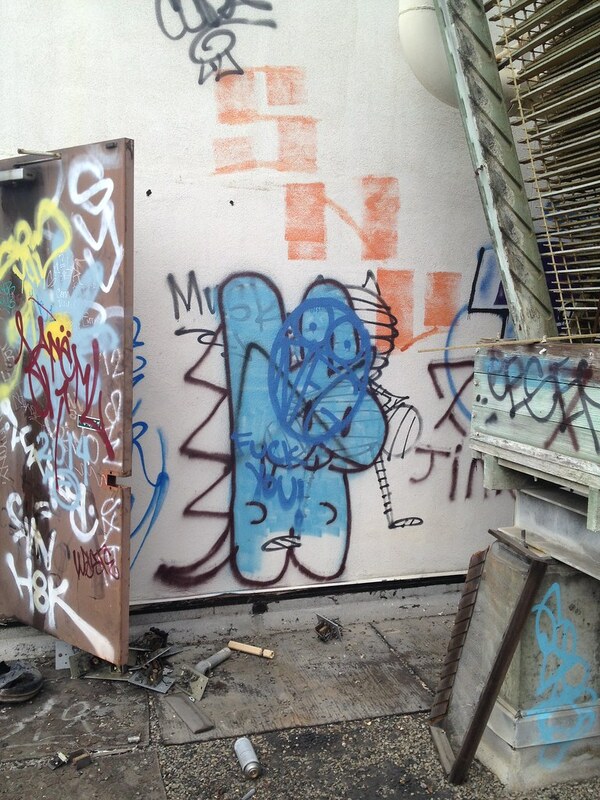 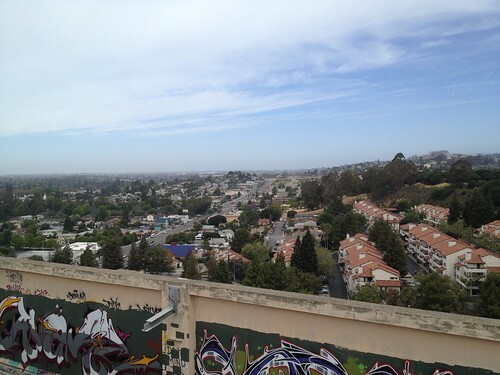 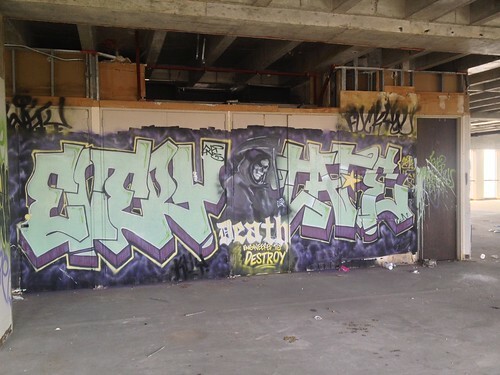 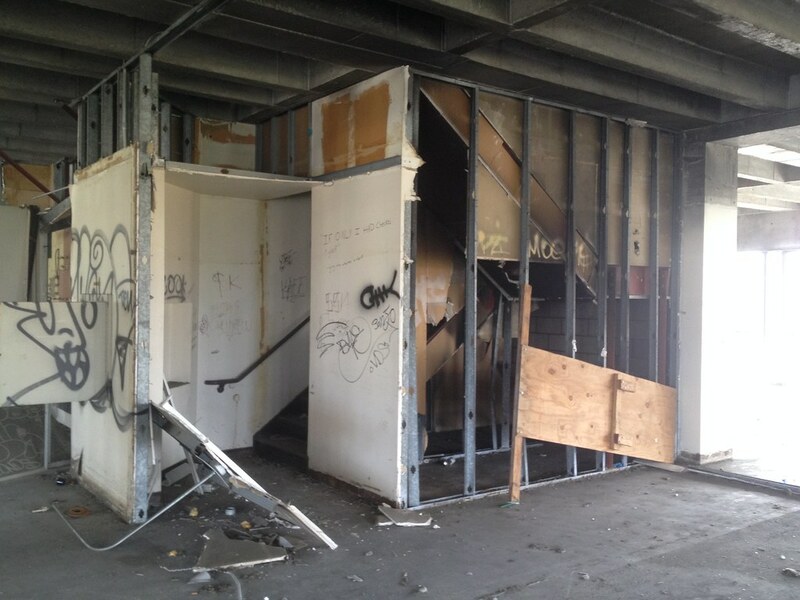 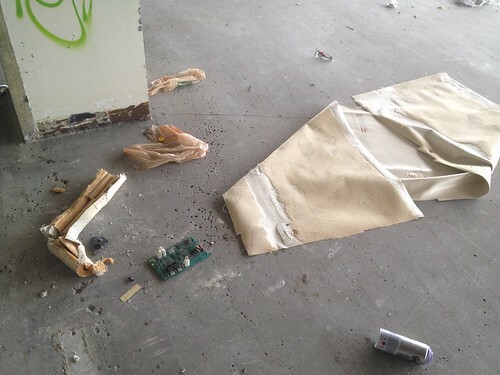 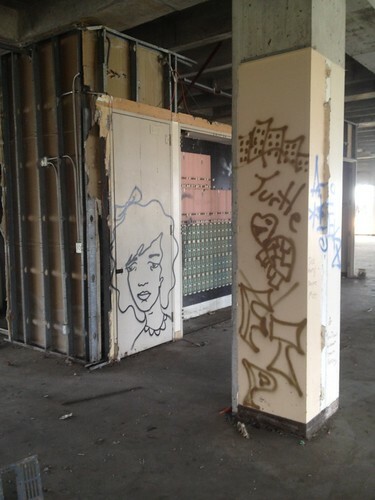 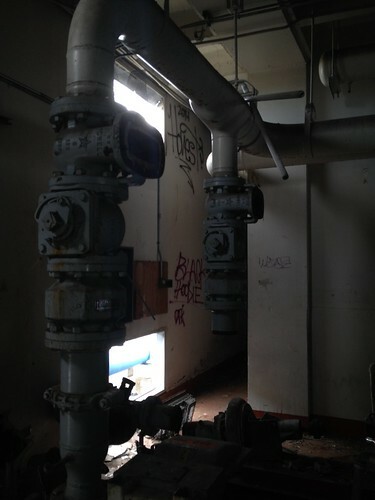 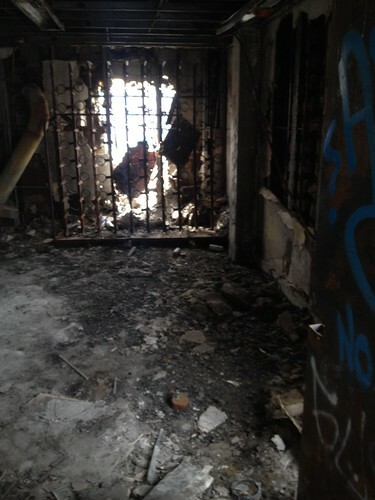 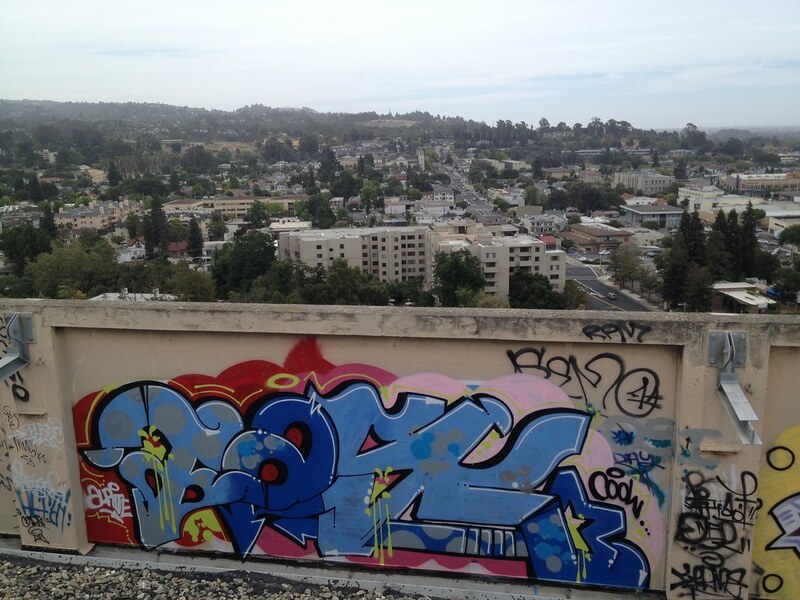 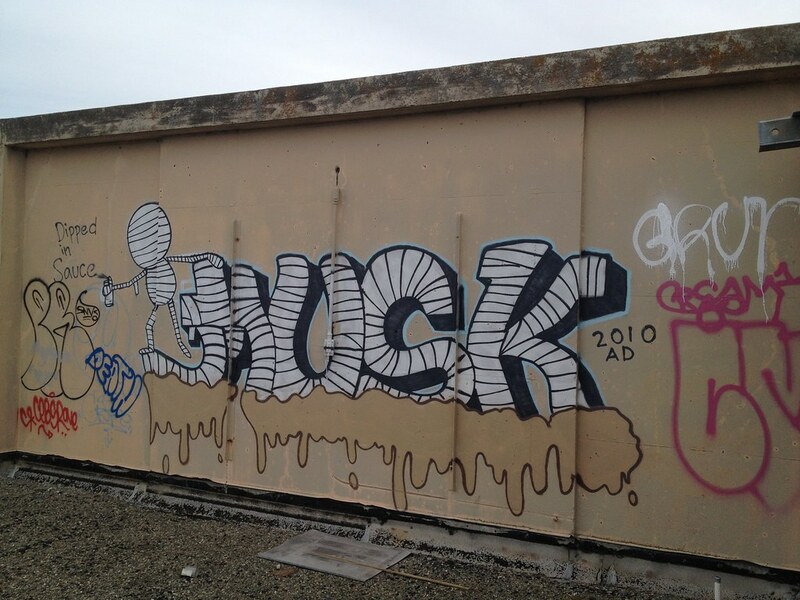 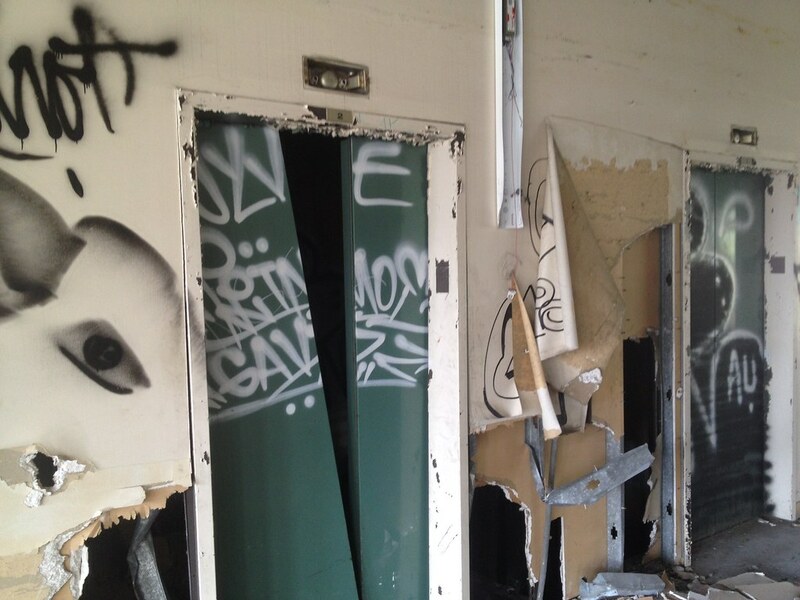 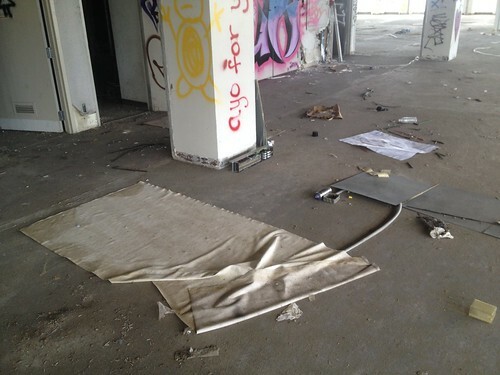 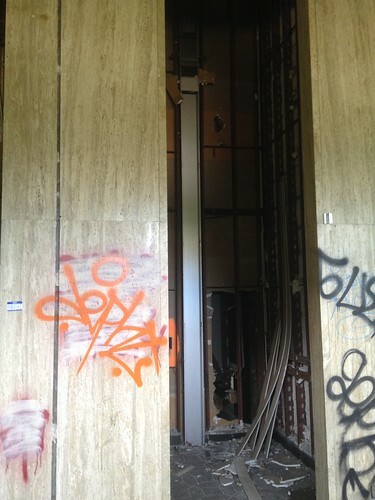 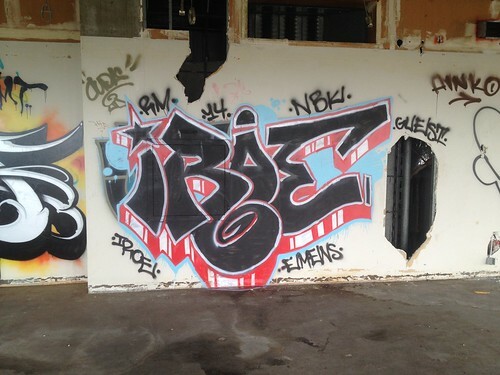 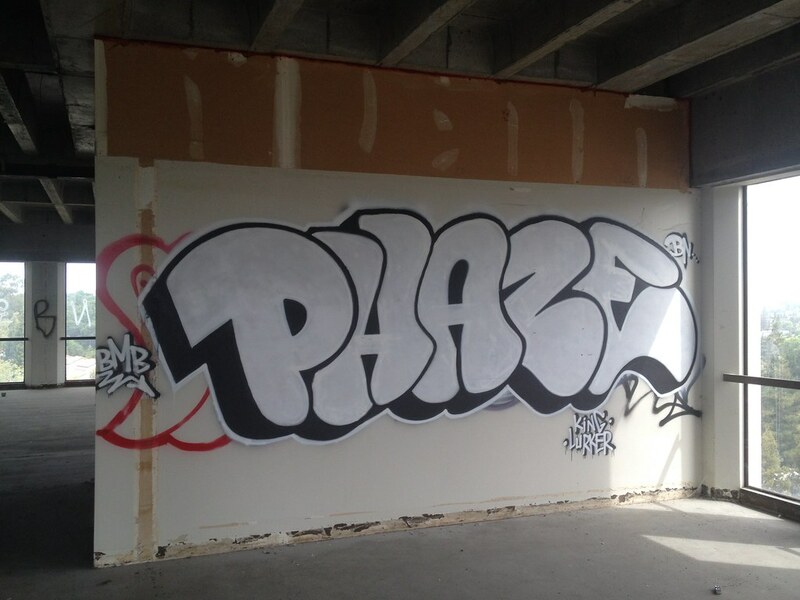 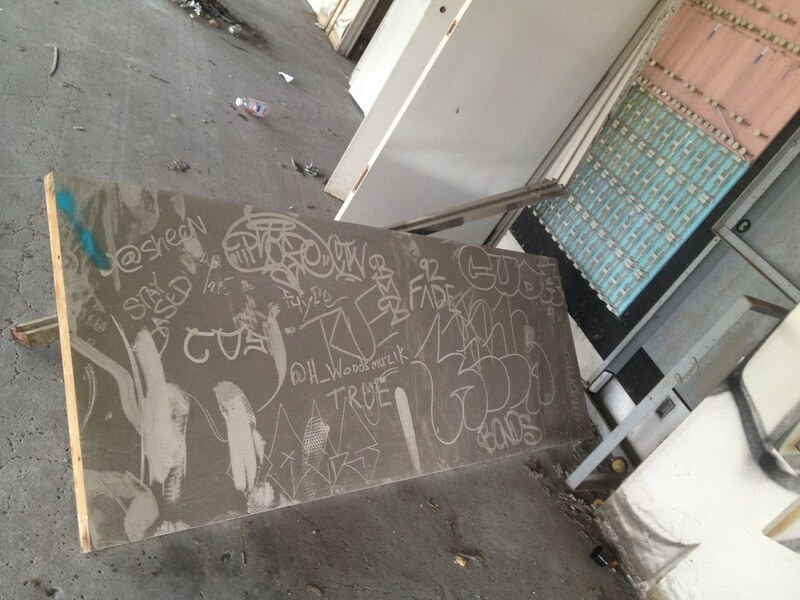 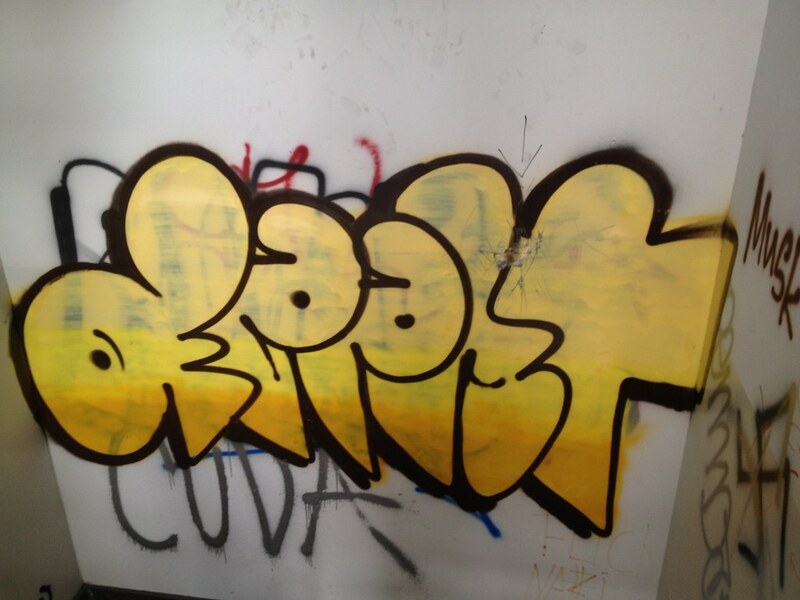 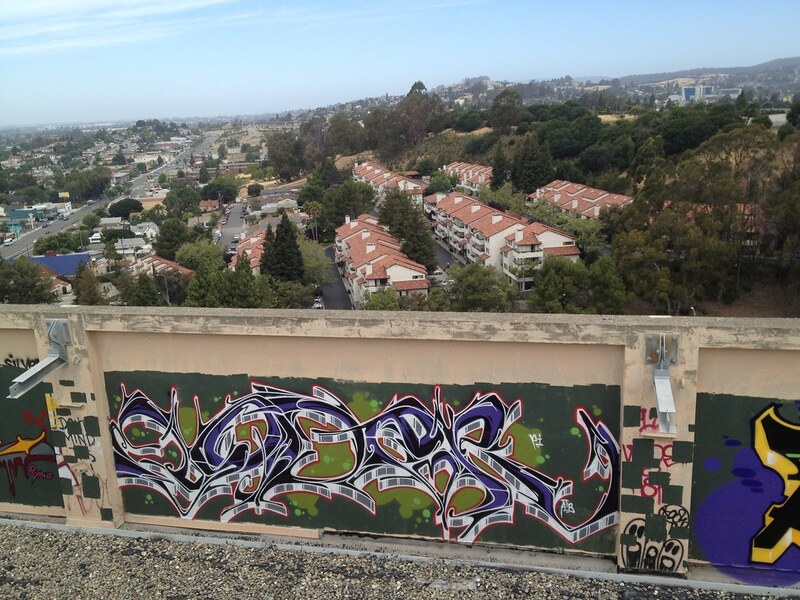 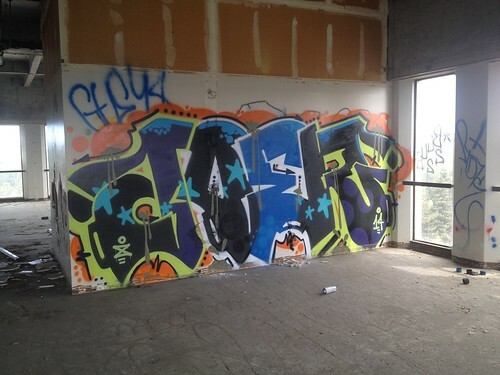 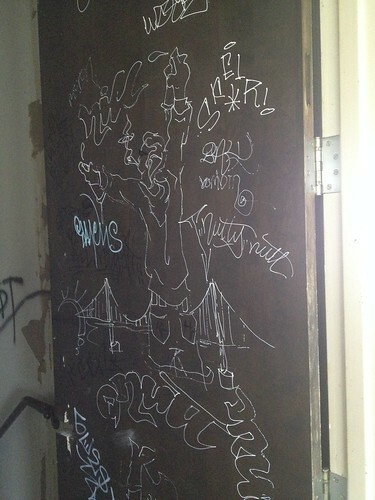 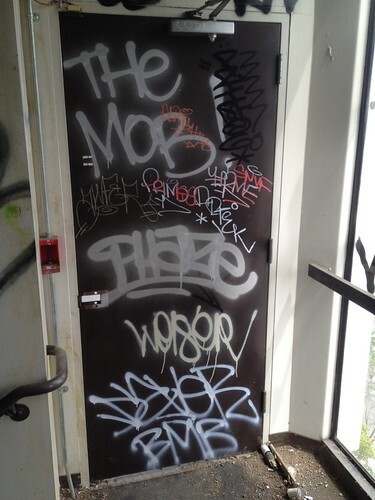 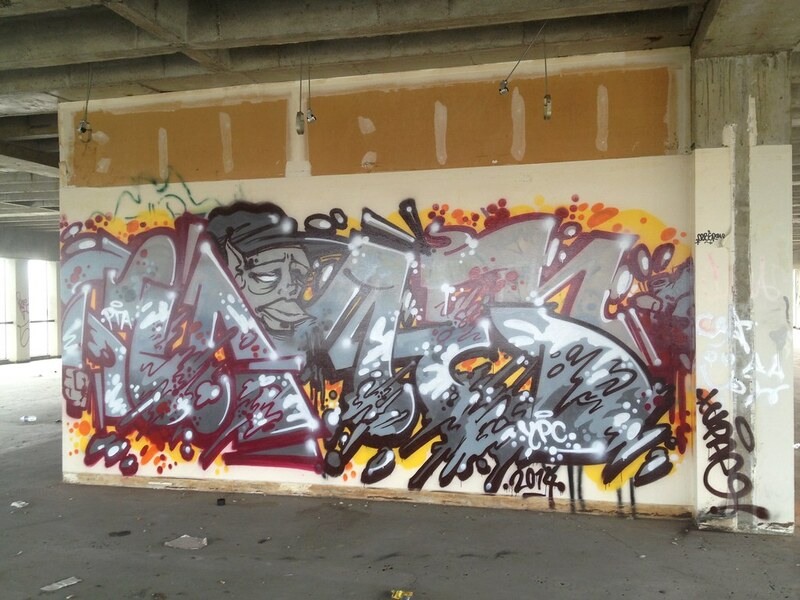 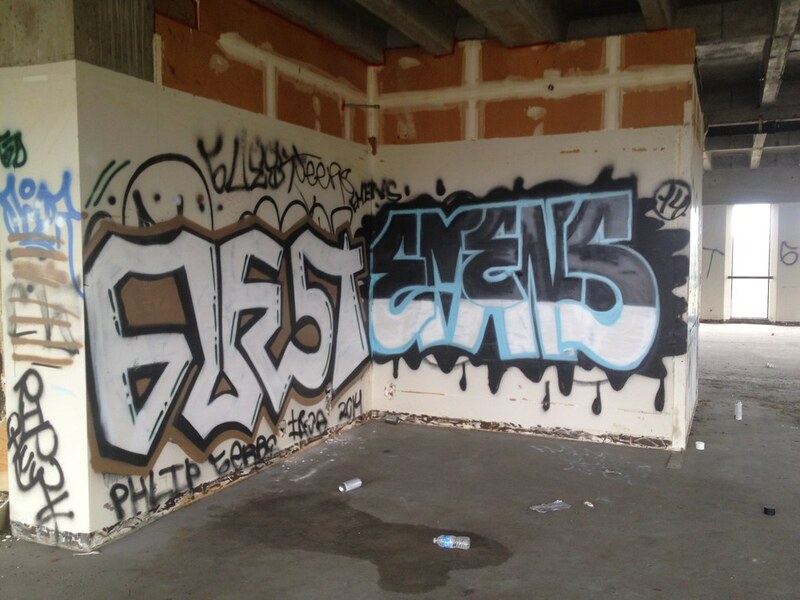 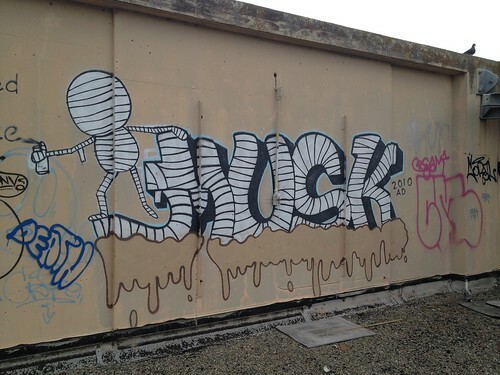 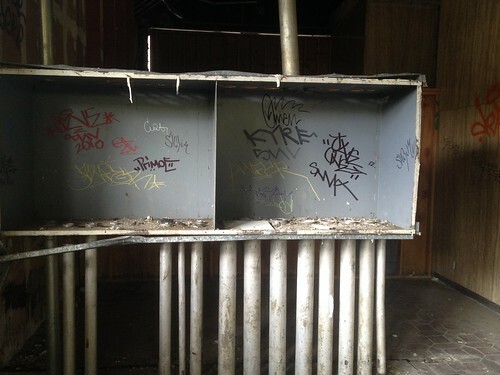 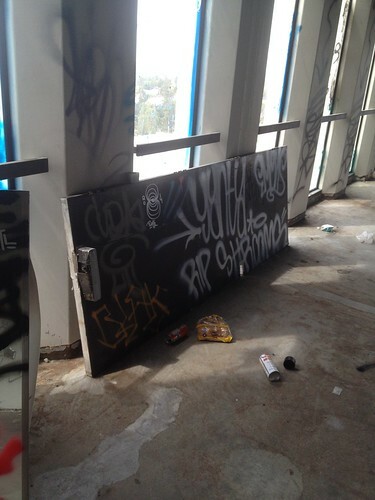 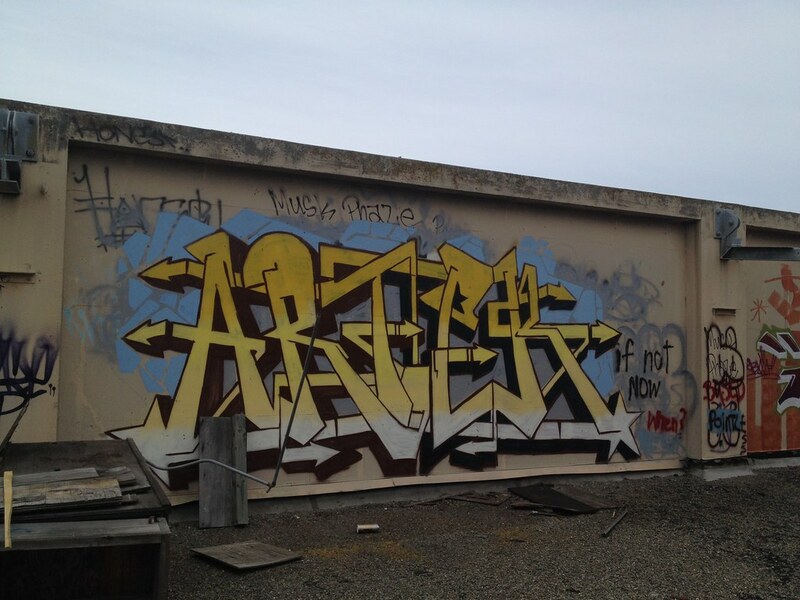 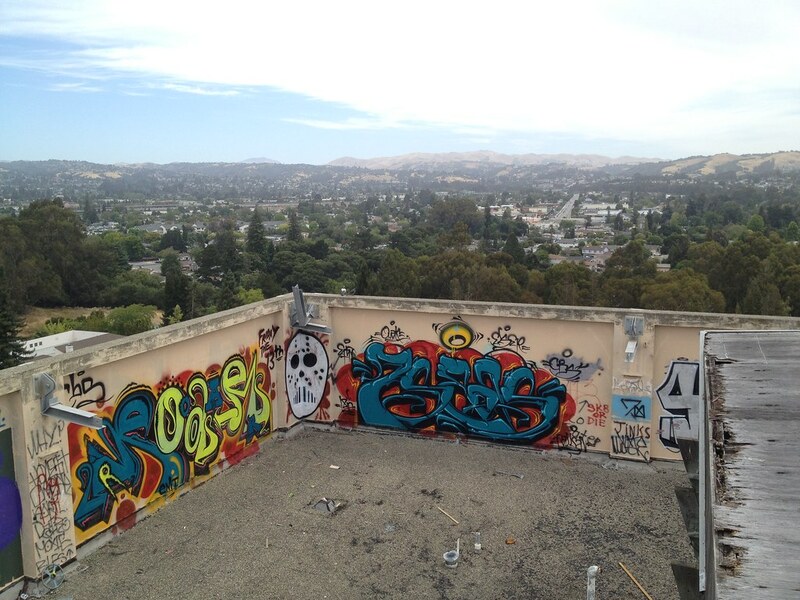 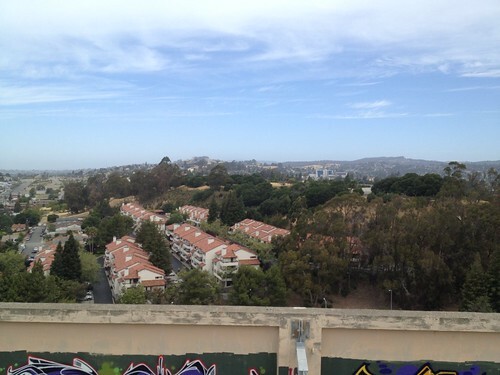 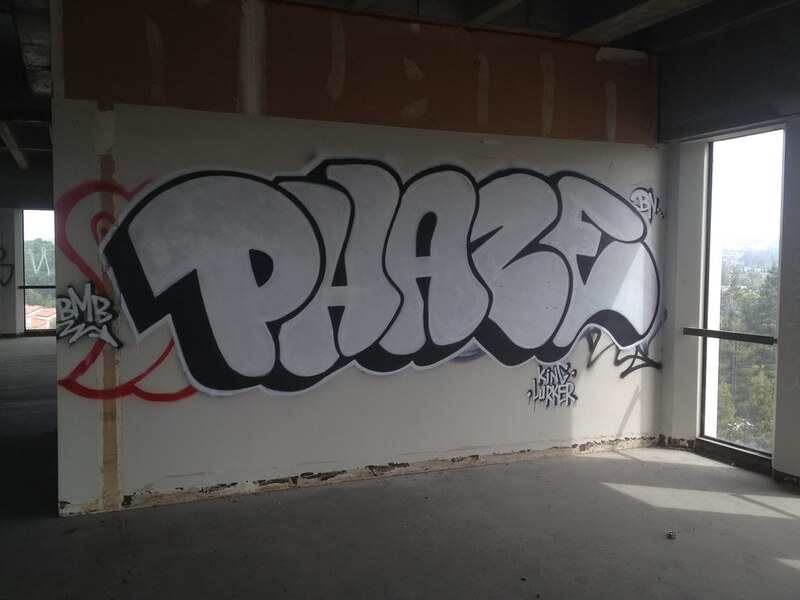 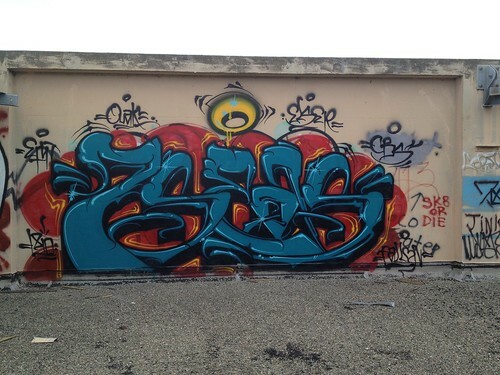 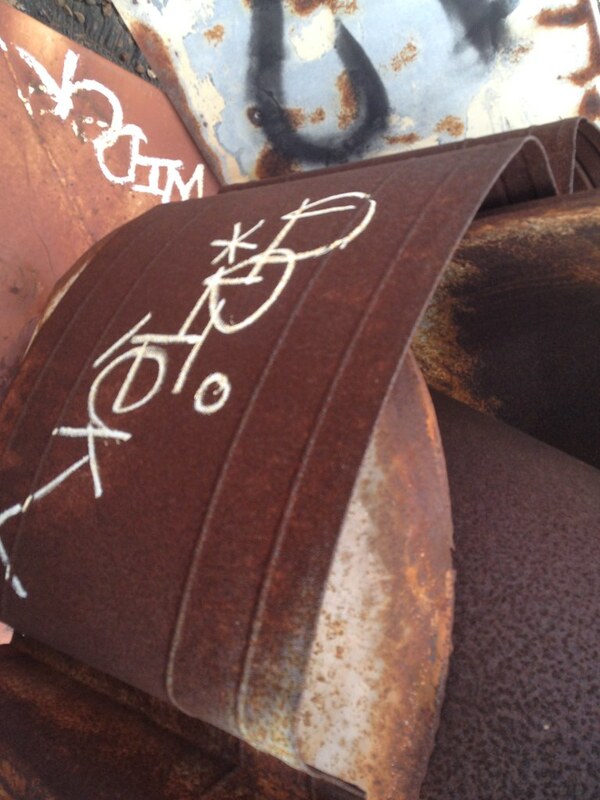 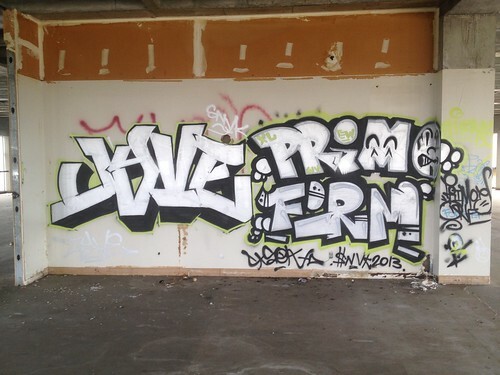 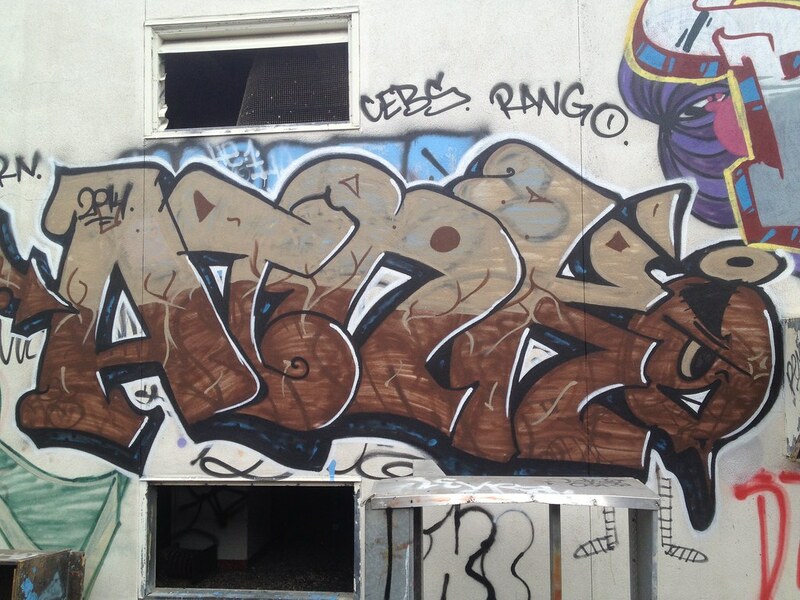 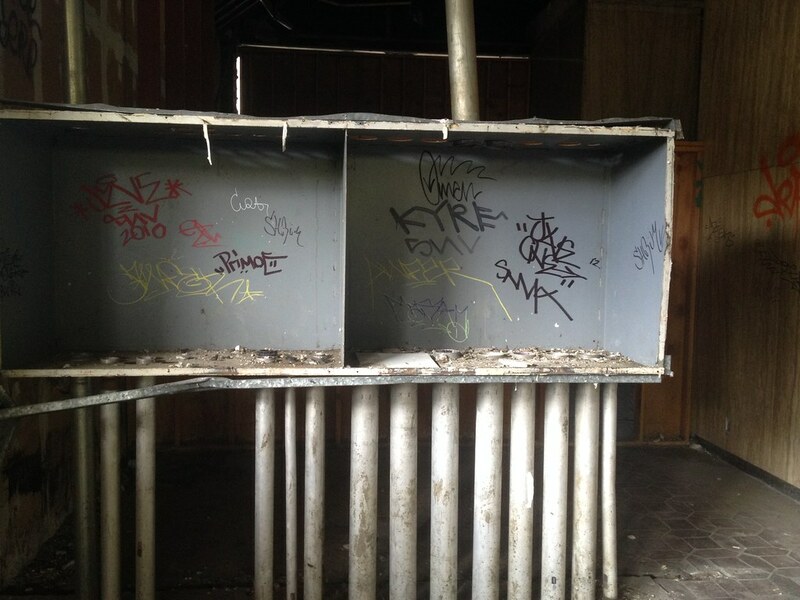 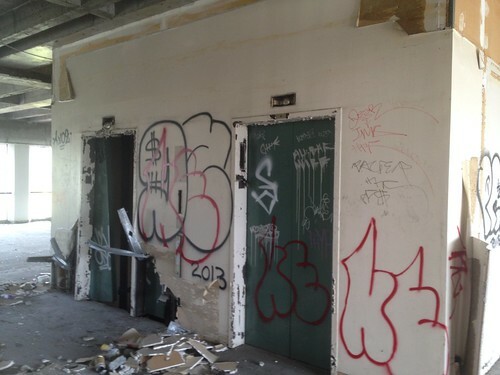 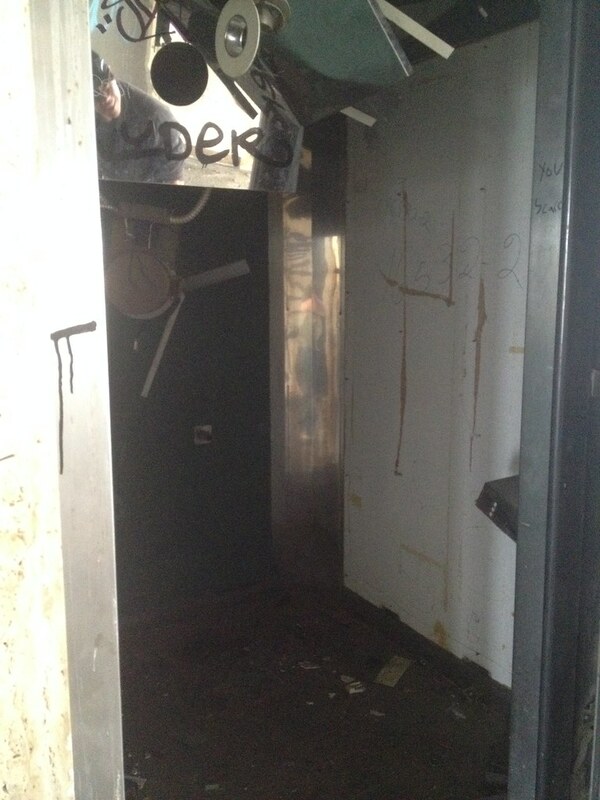 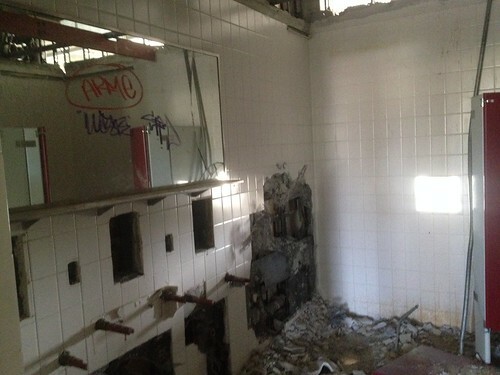 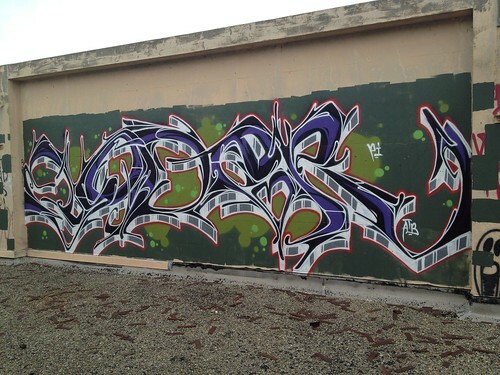 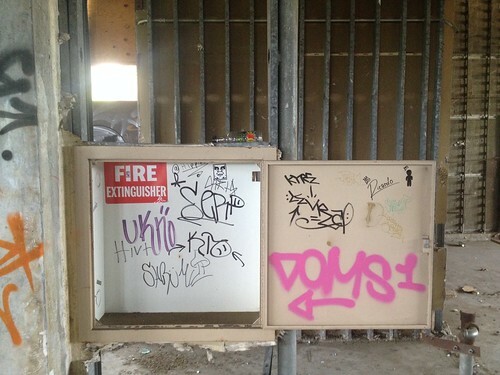 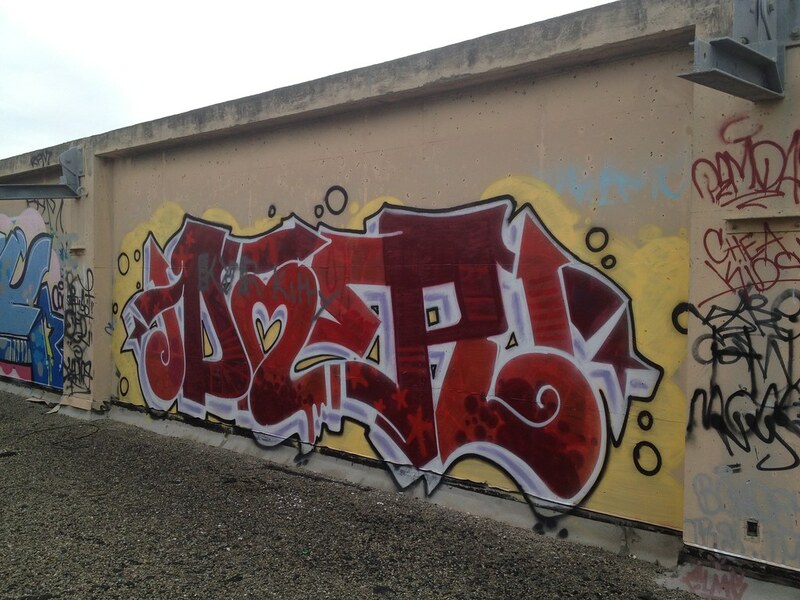 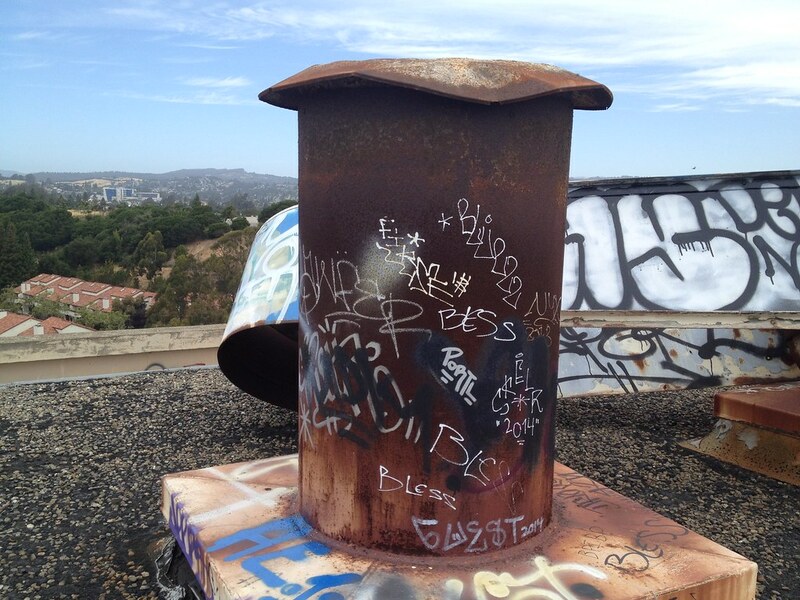 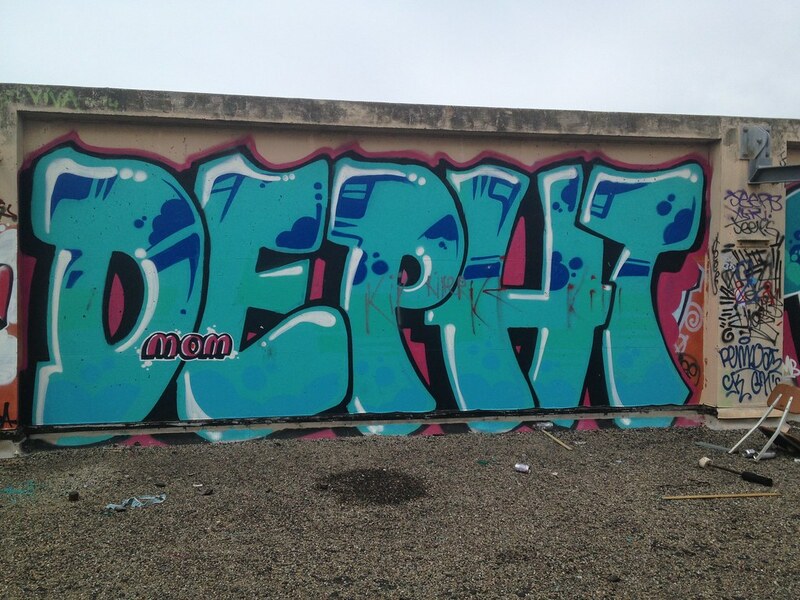 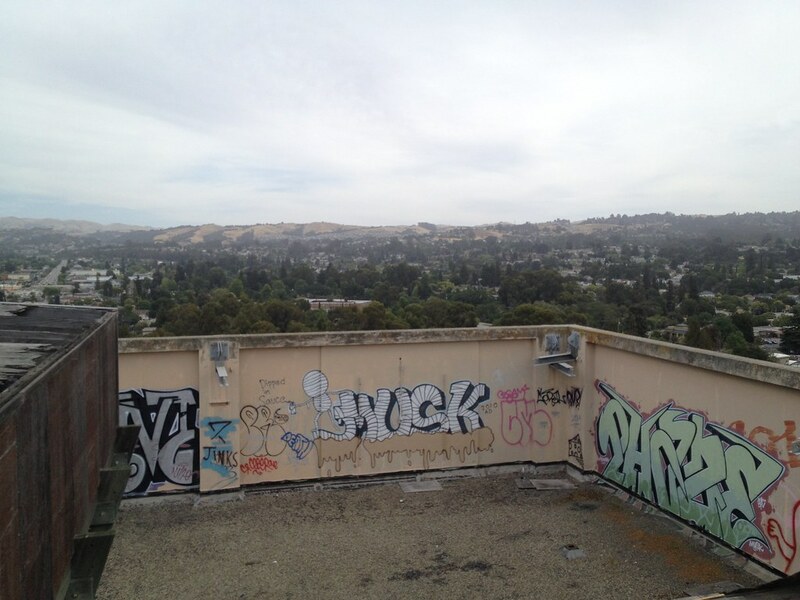 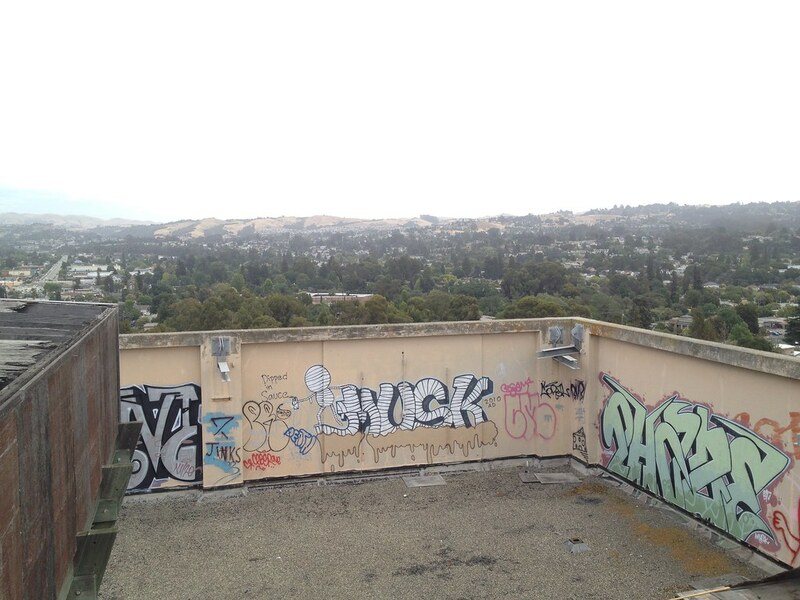 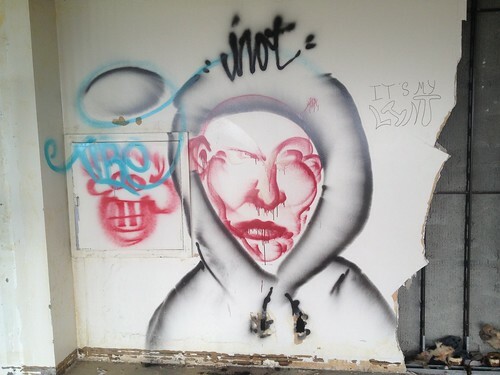 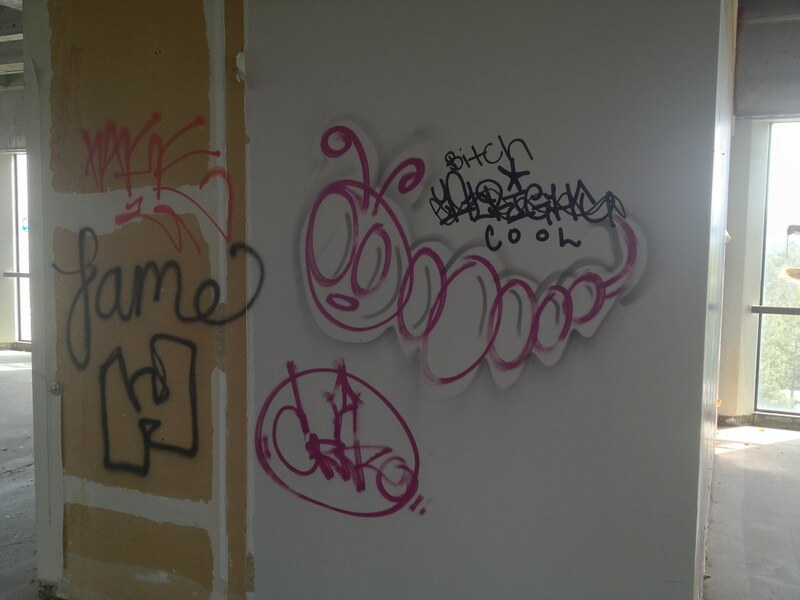 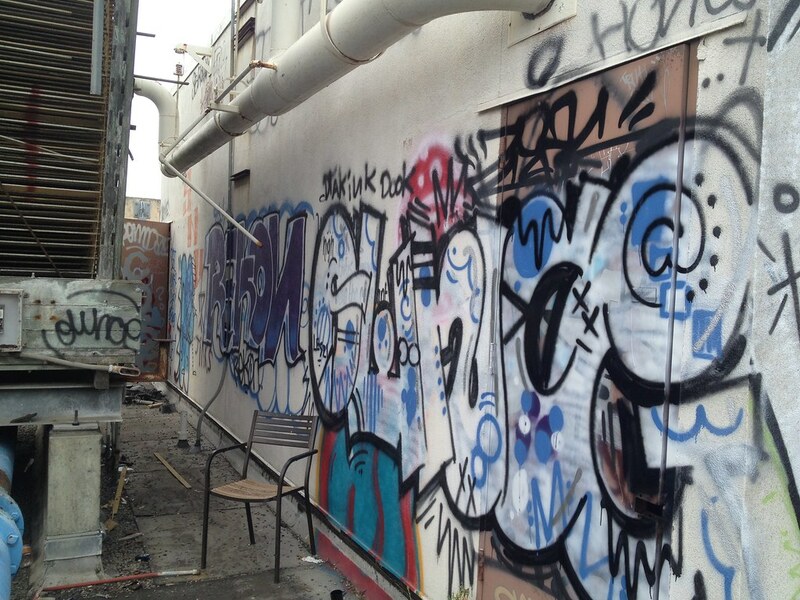 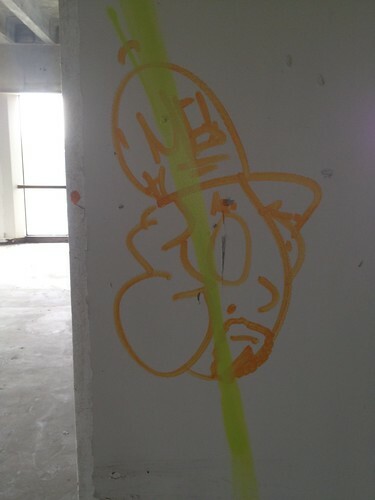 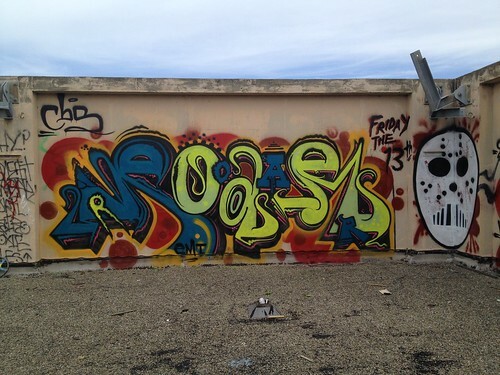 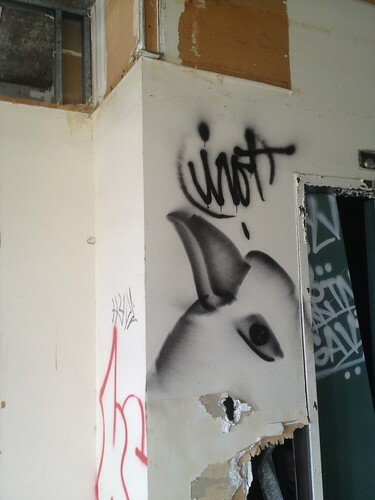 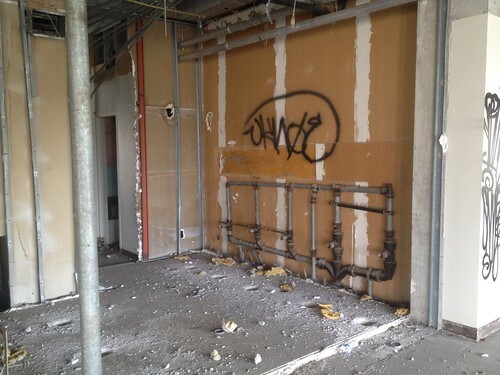 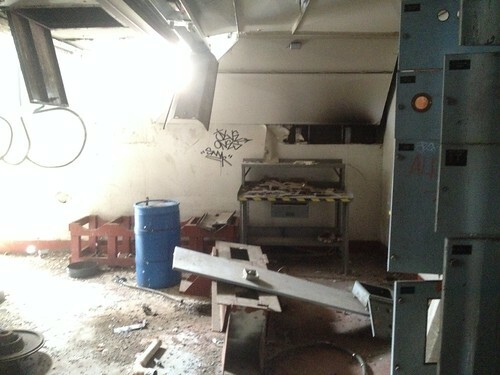 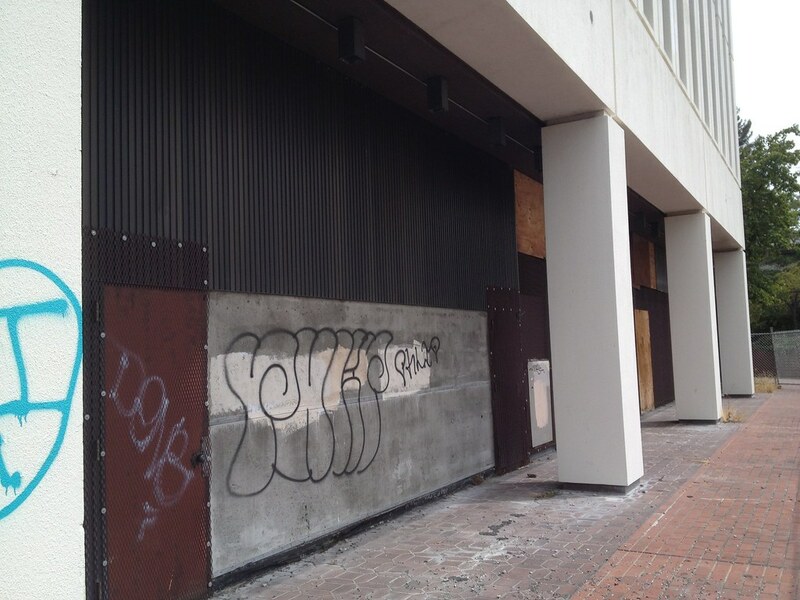 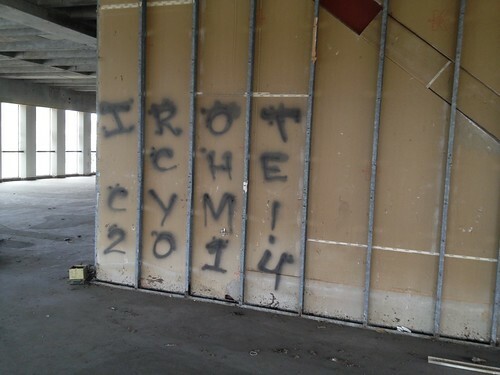 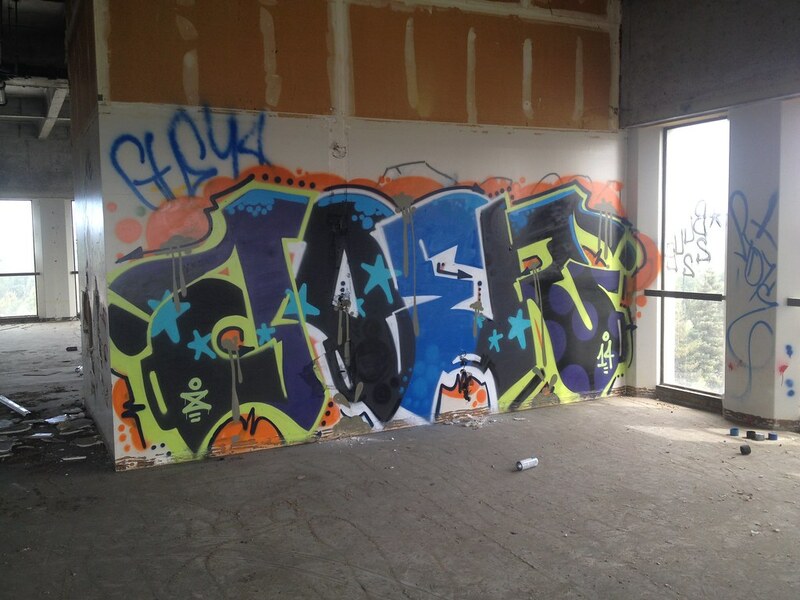 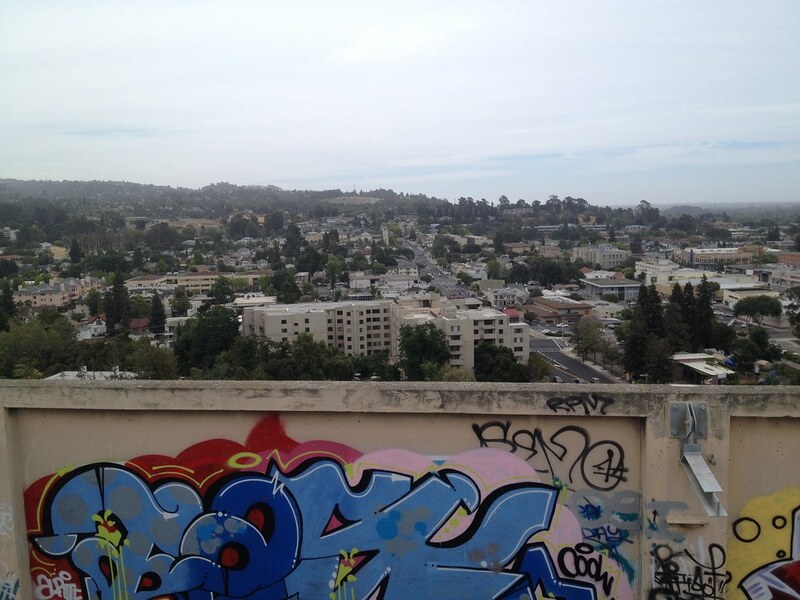 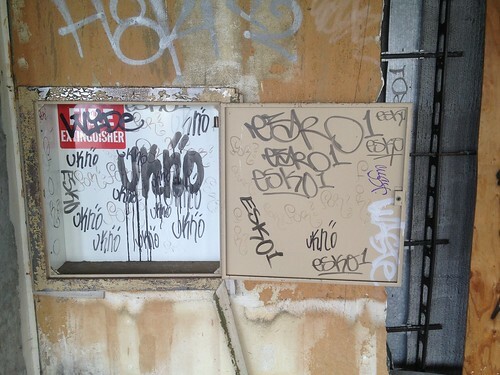 I\'m into urbex and am also a graffiti artist from the south bay area. 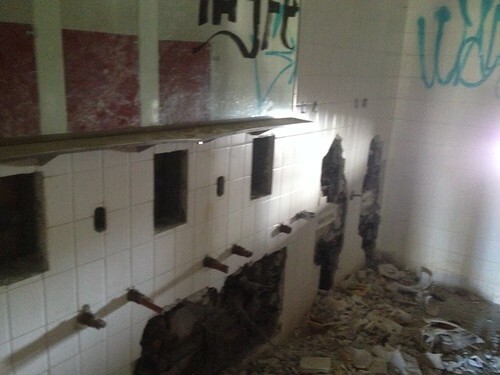 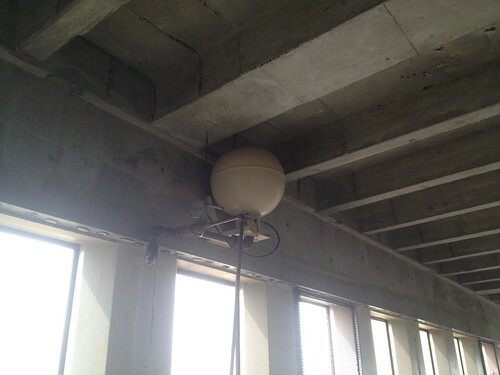 Could you tell me where this spot is? 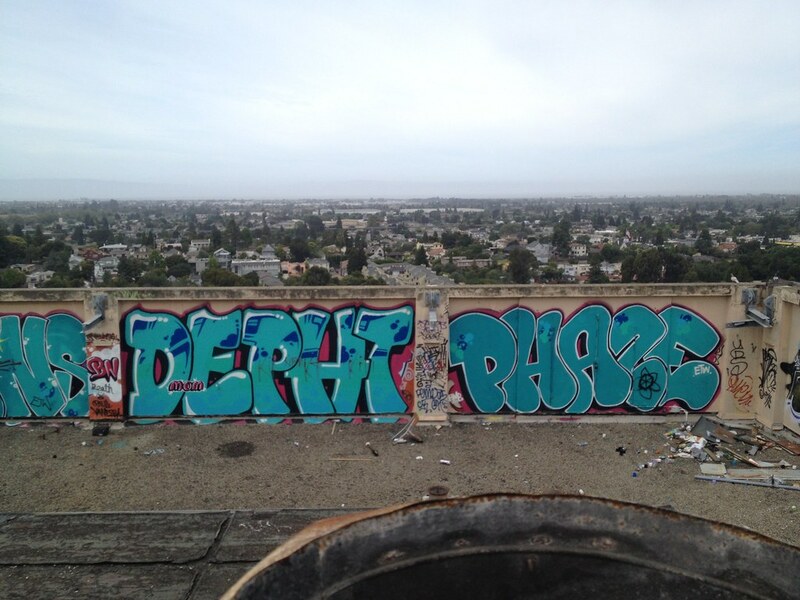 I would definitely be down to give you some good spots in the bay area in exchange for this one, and of course id keep the spot a secret. hmu if you have something I don\'t and want to trade. Crazy. Where was this exactly? 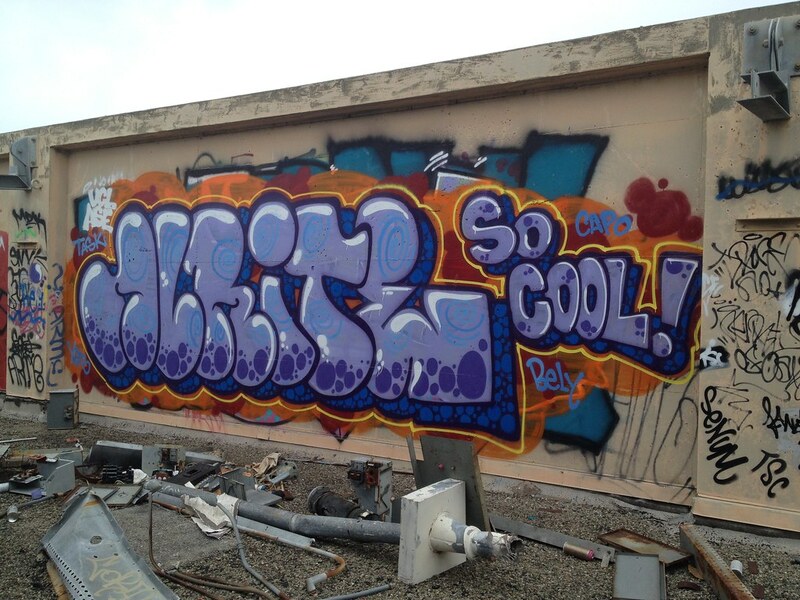 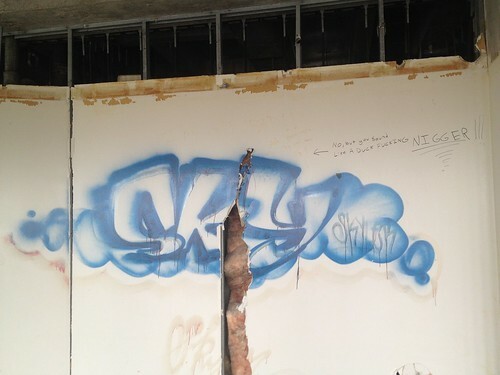 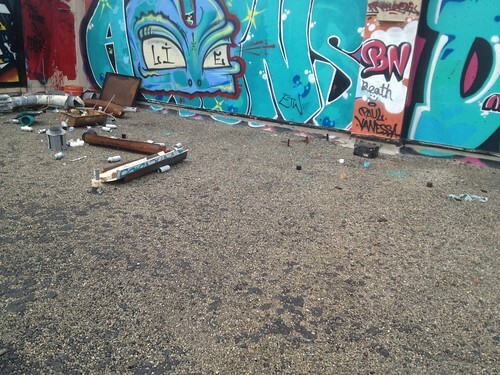 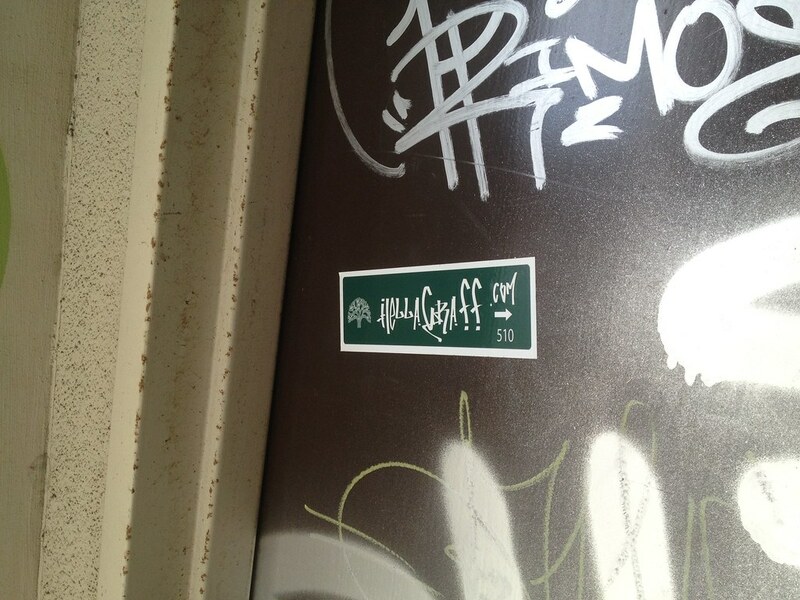 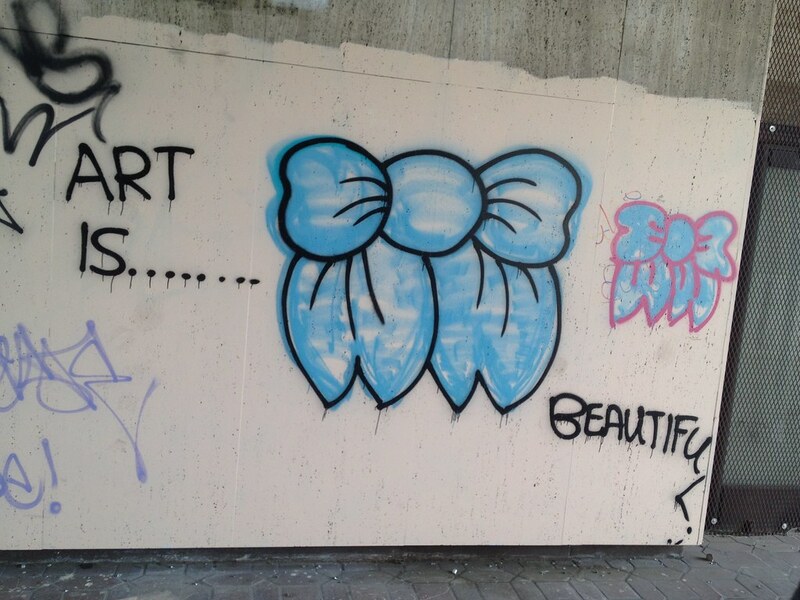 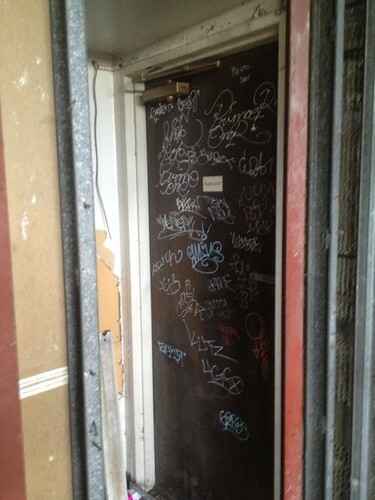 I went straight to the photos when you mentioned graffiti. Most of my spots are all in Northern California / the SF Bay Area!